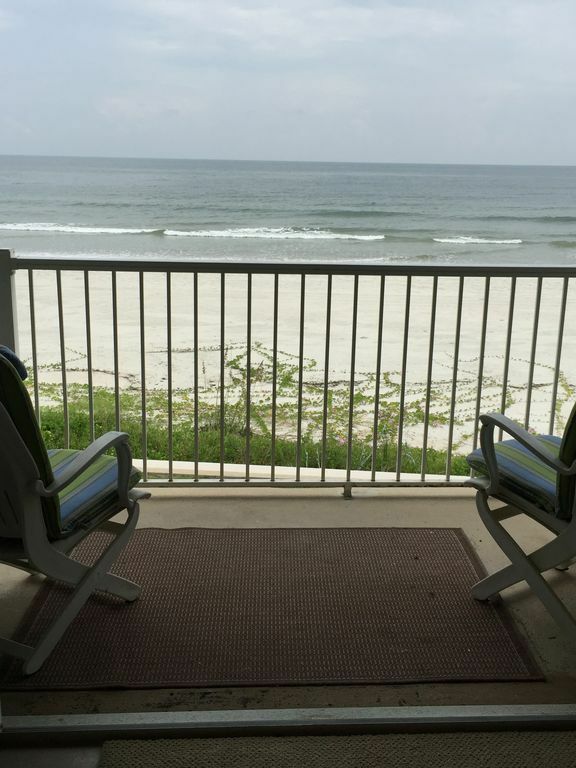 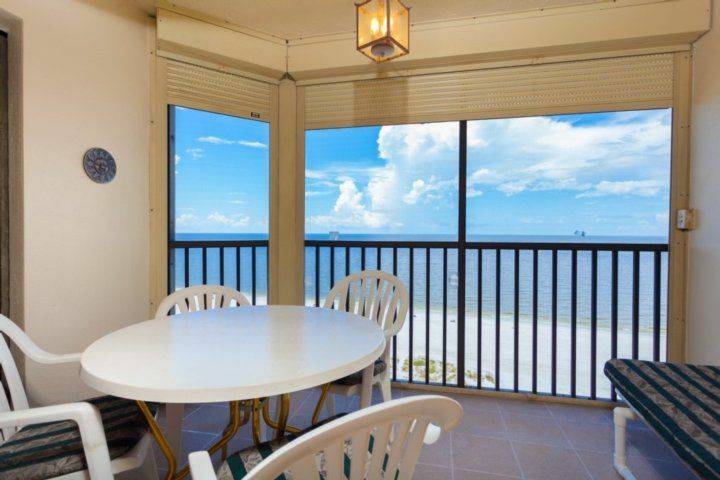 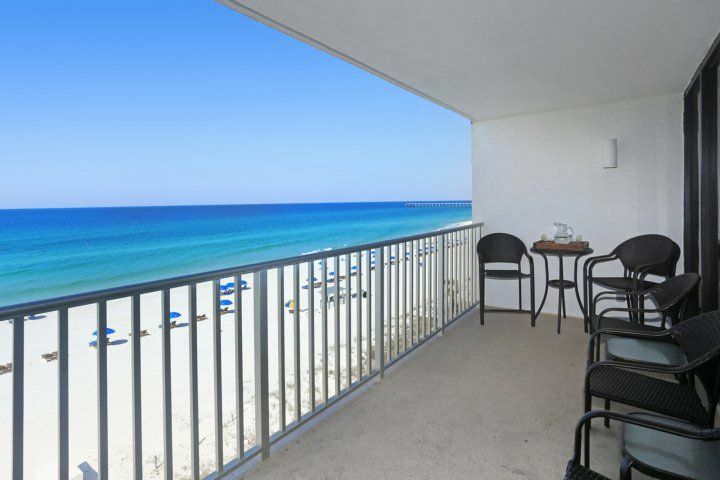 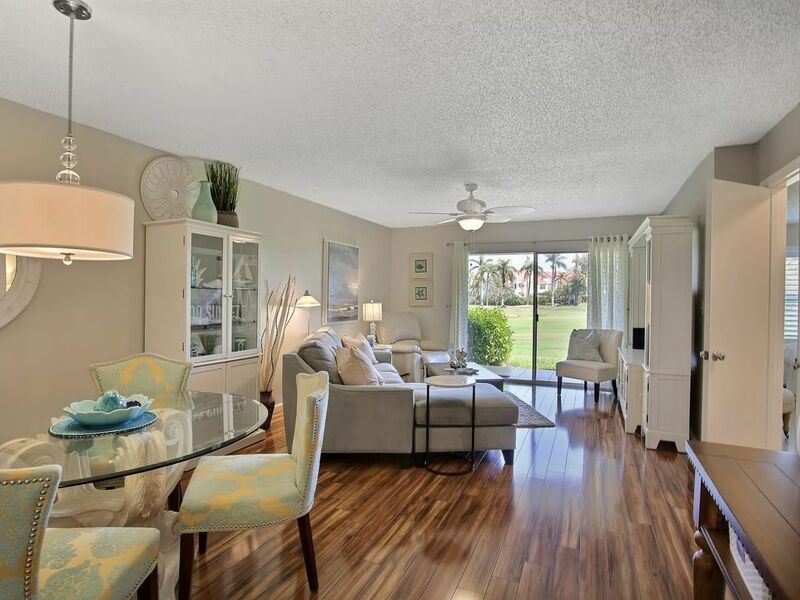 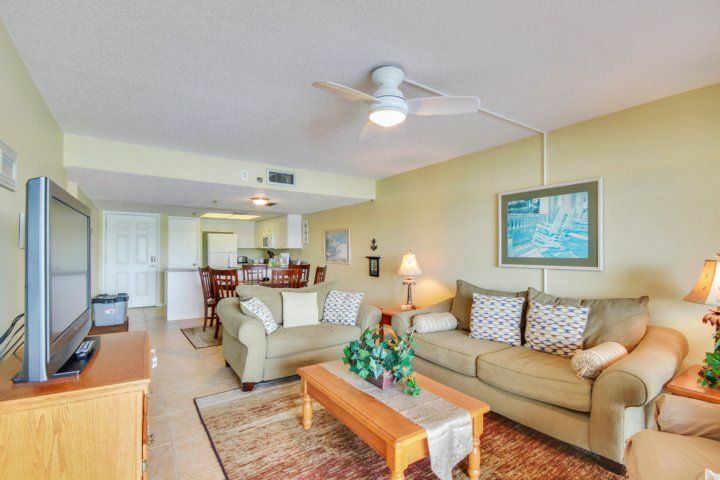 Beat a path to the beach every day from your own breezy lanai when you stay at this ground-floor condo in a lovely resort. 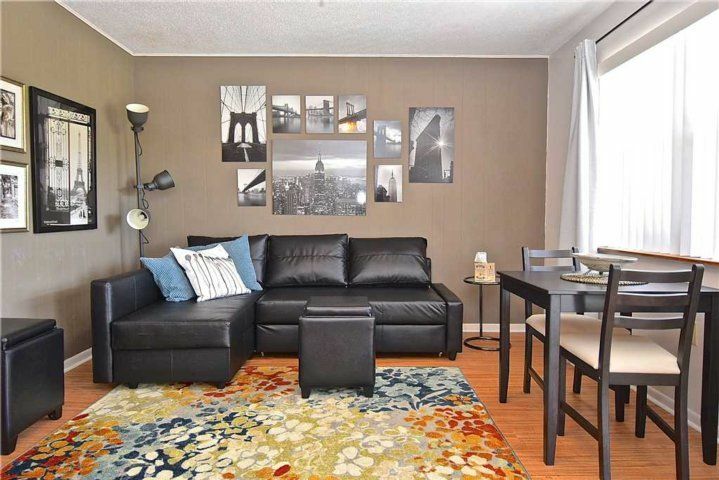 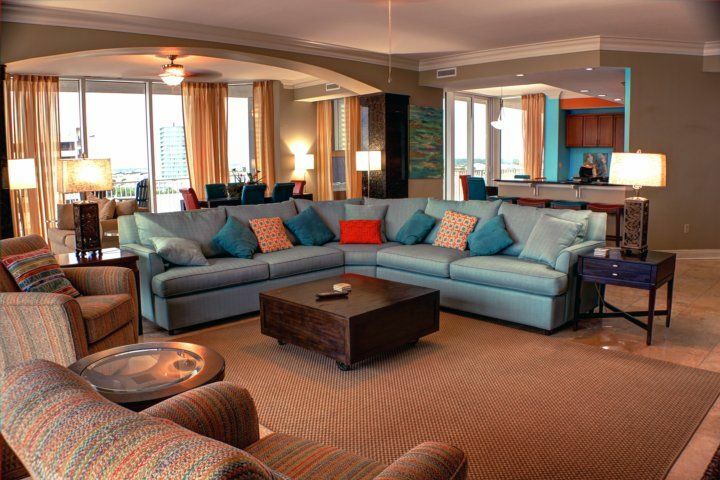 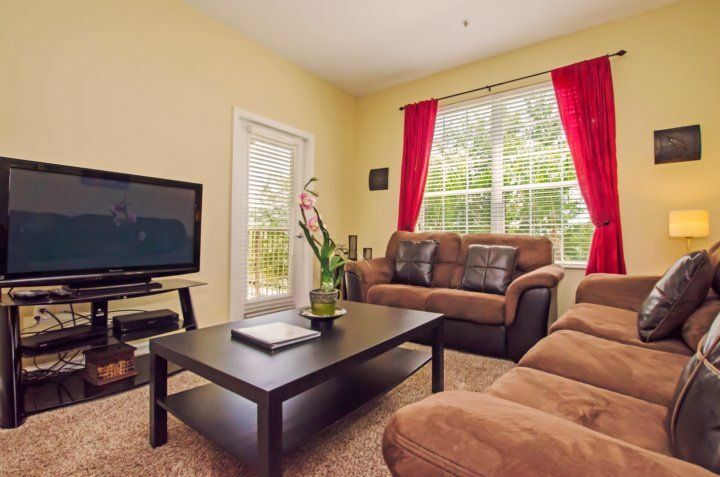 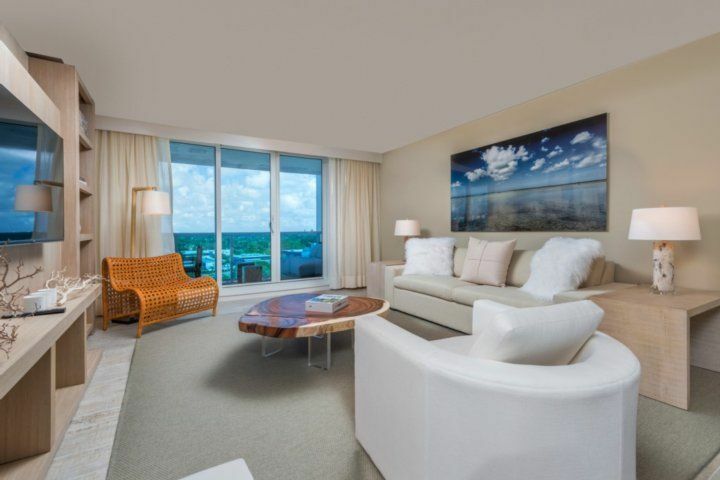 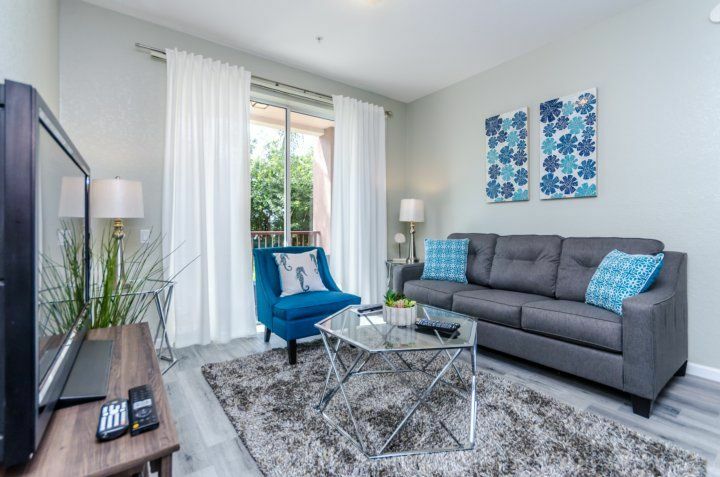 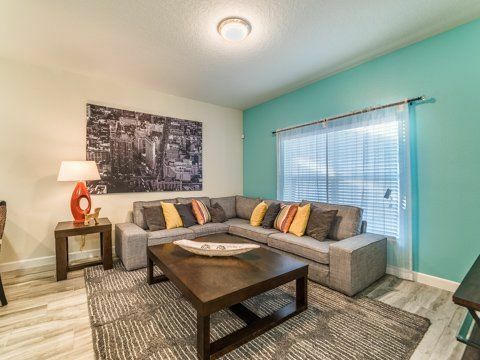 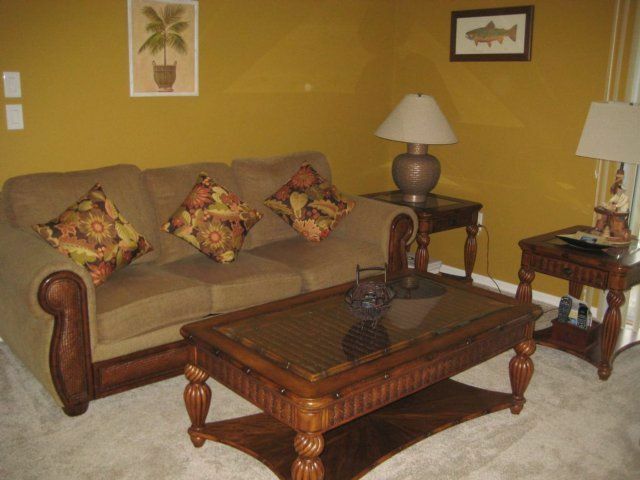 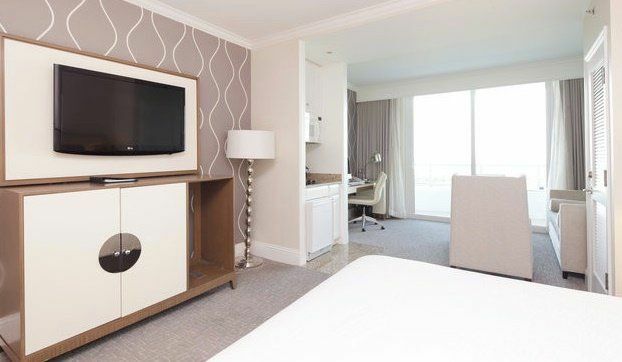 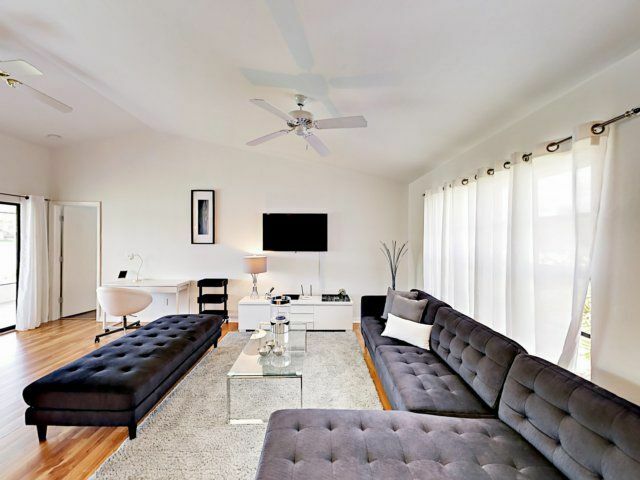 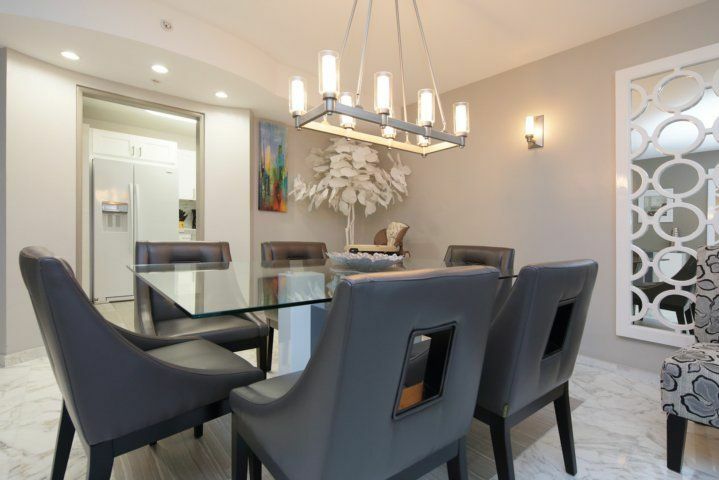 The latest technology, comfy furnishings, and the perfect location await you! 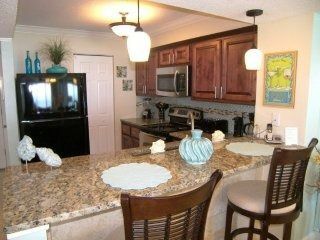 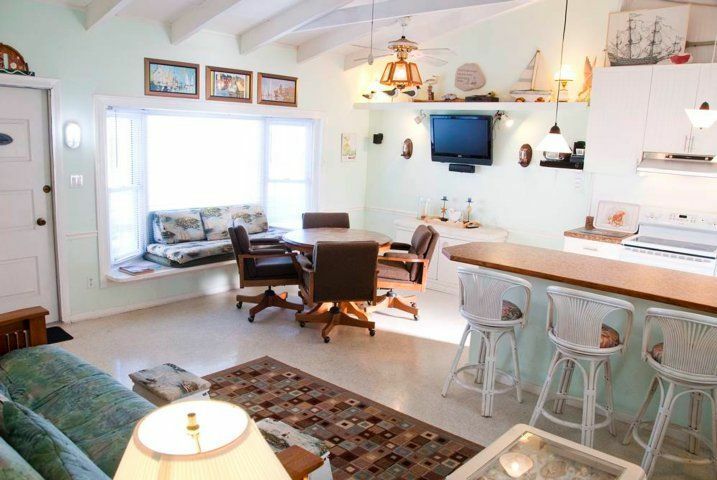 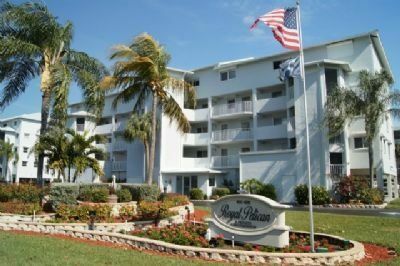 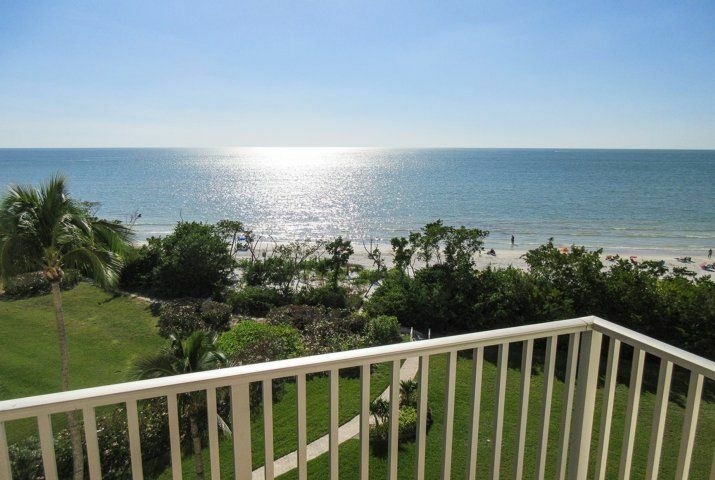 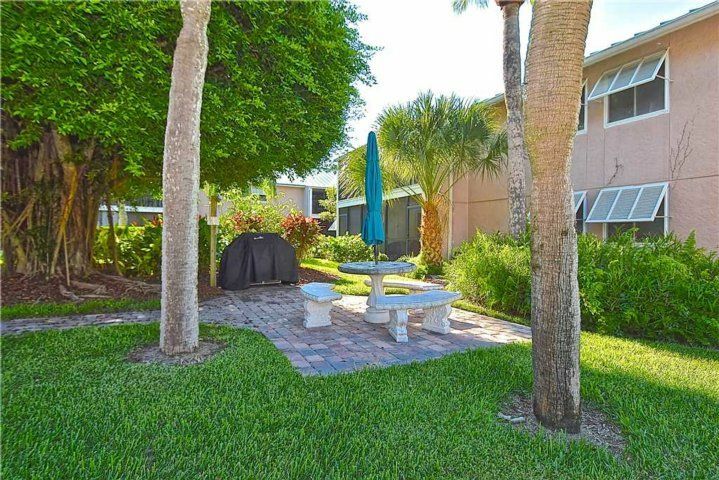 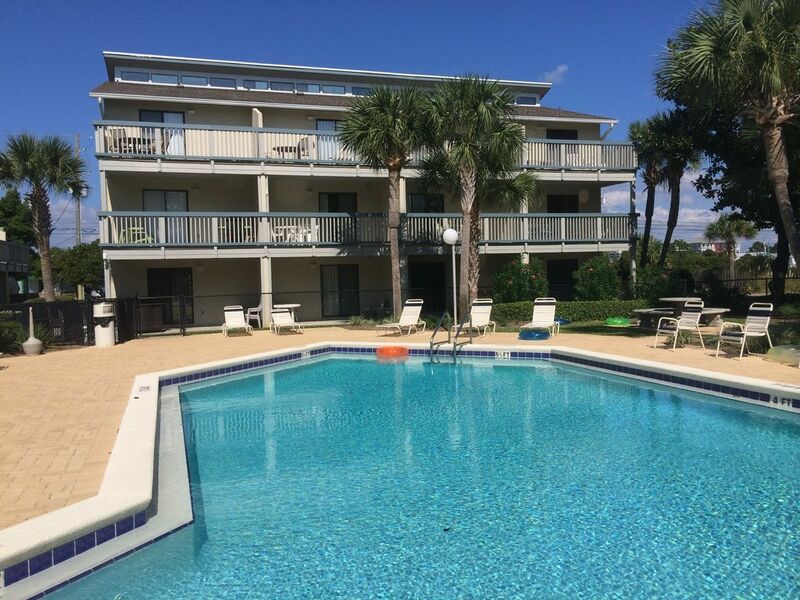 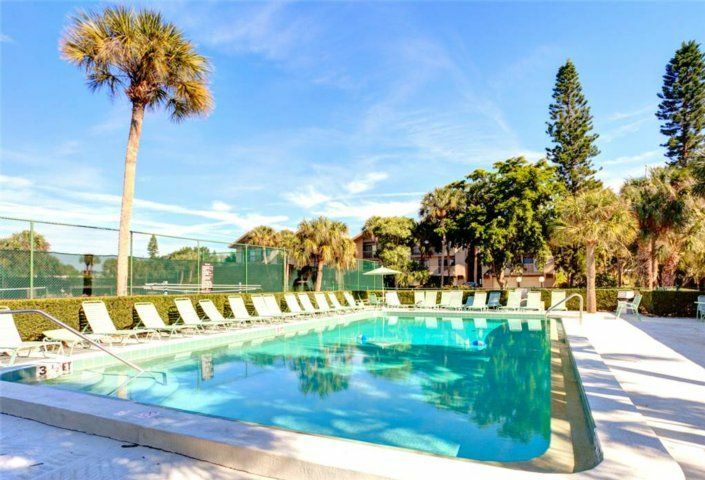 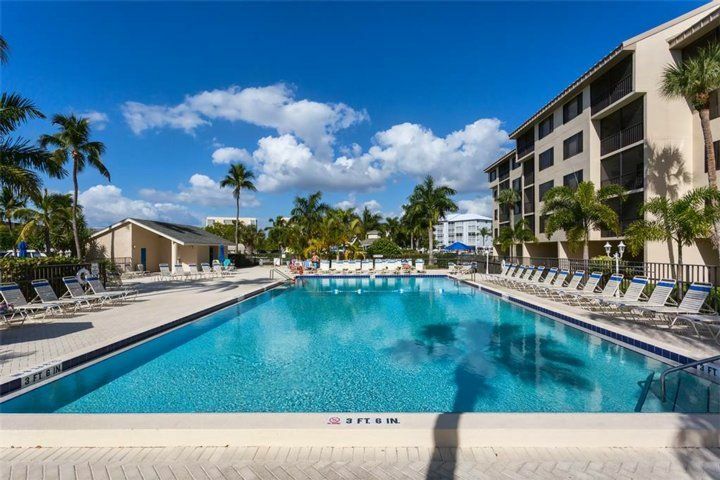 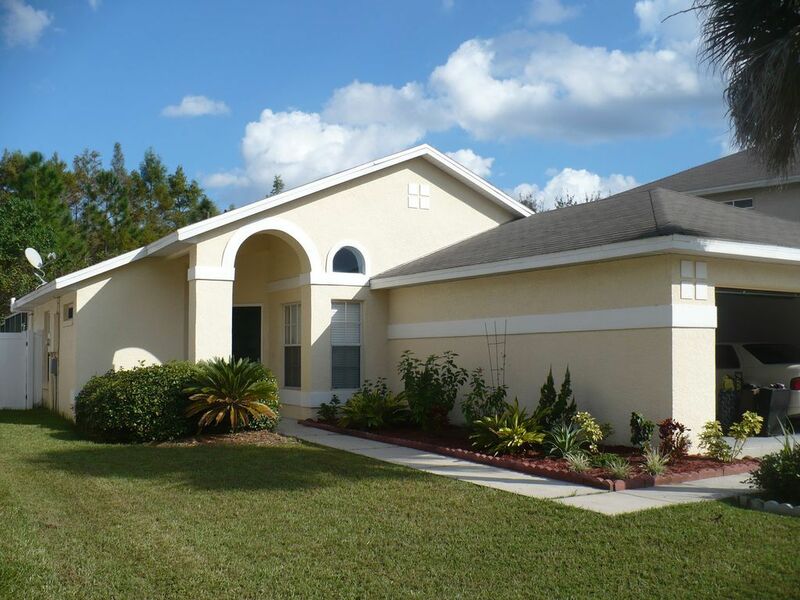 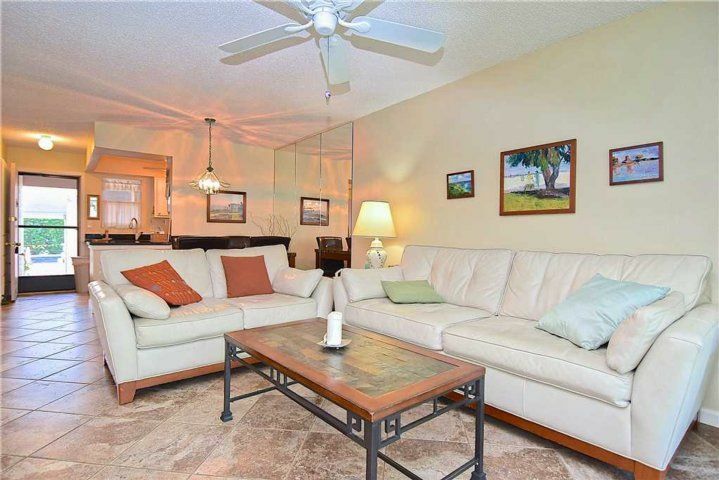 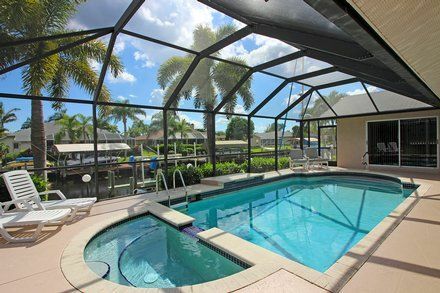 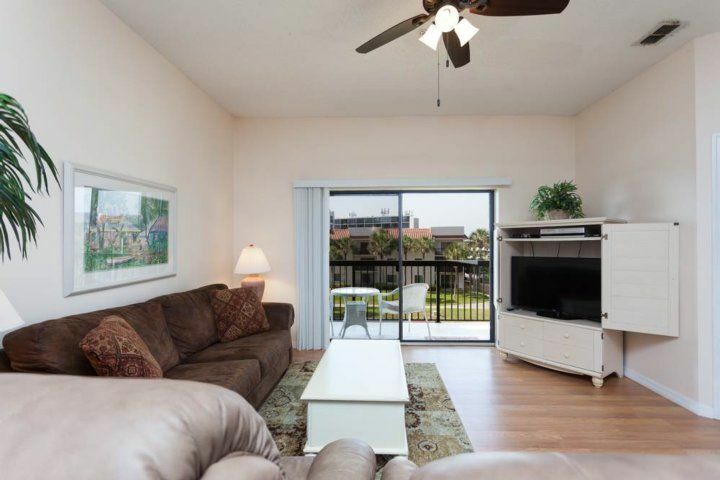 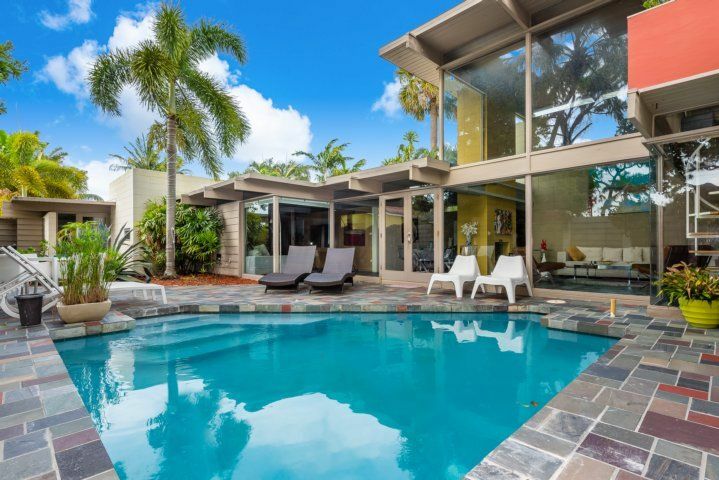 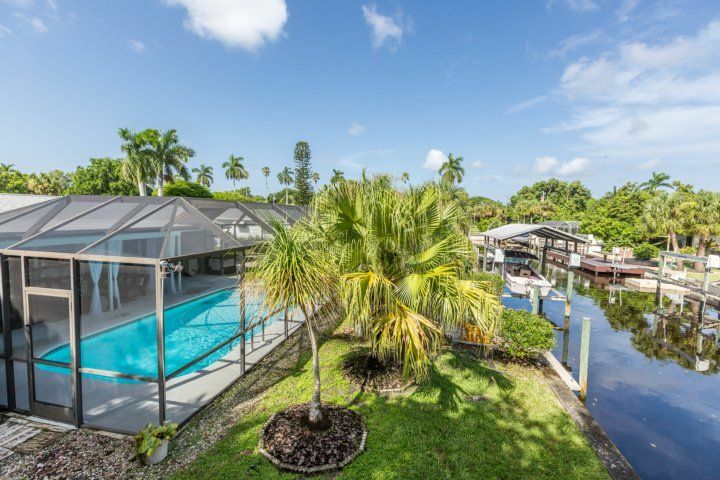 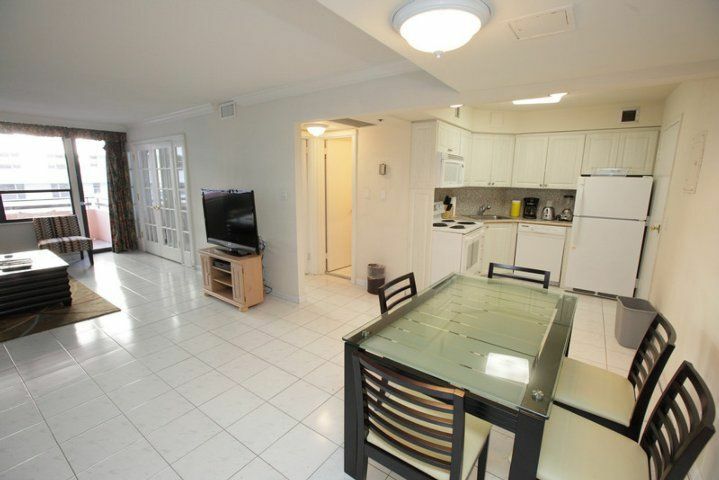 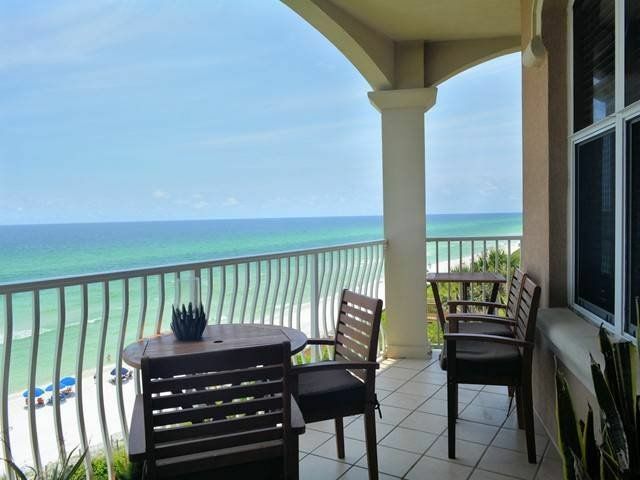 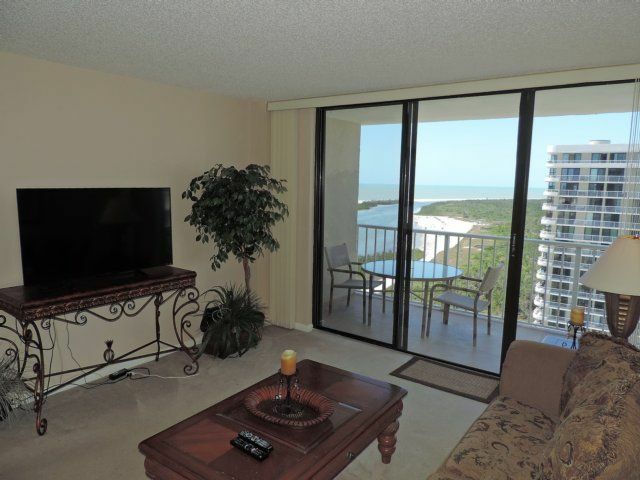 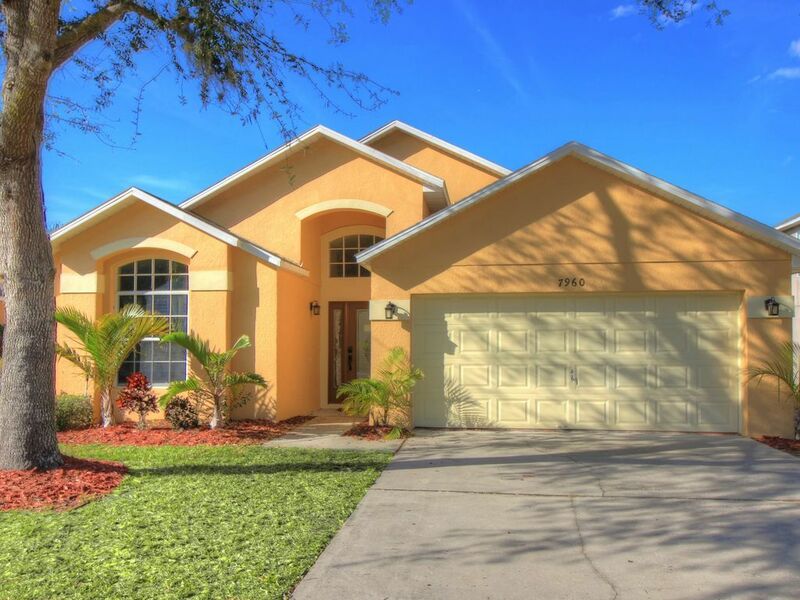 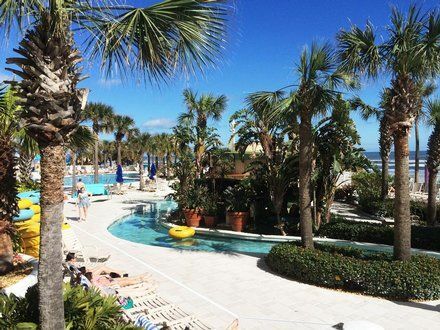 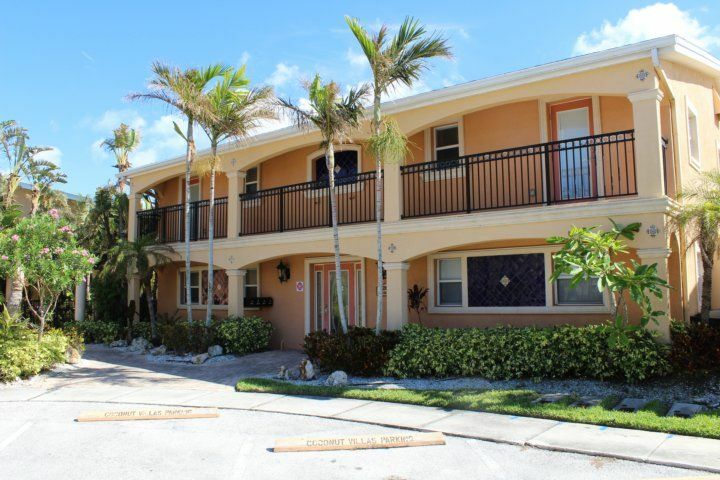 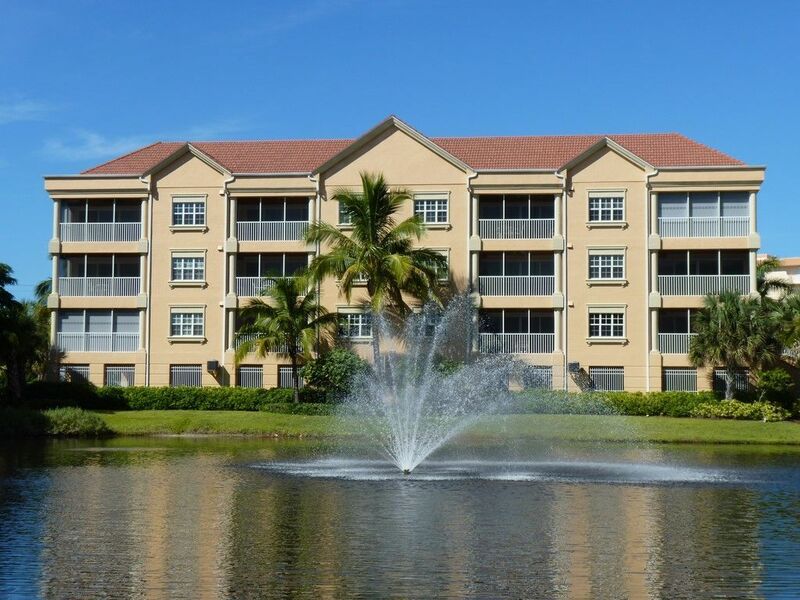 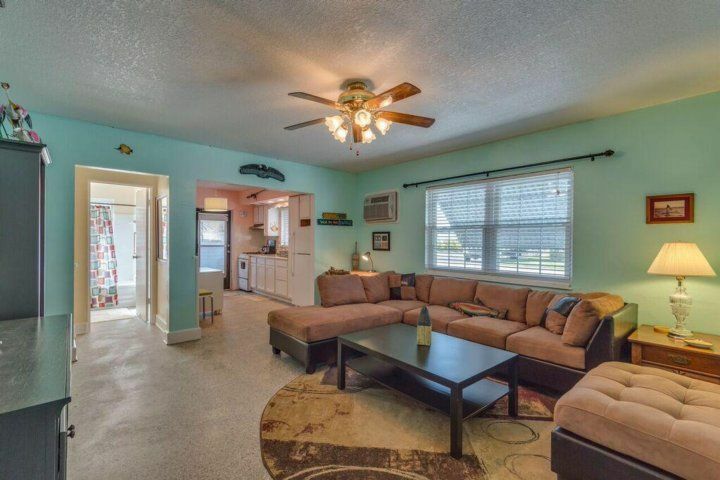 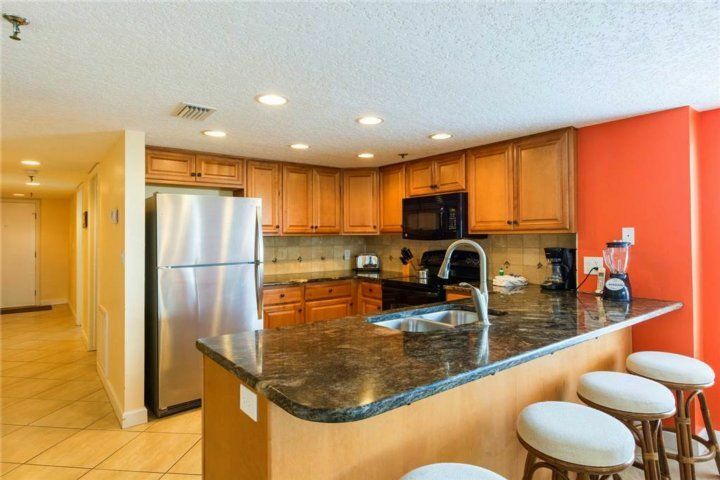 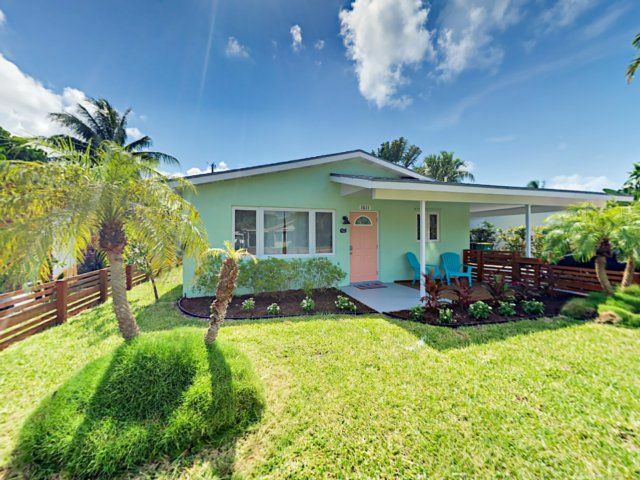 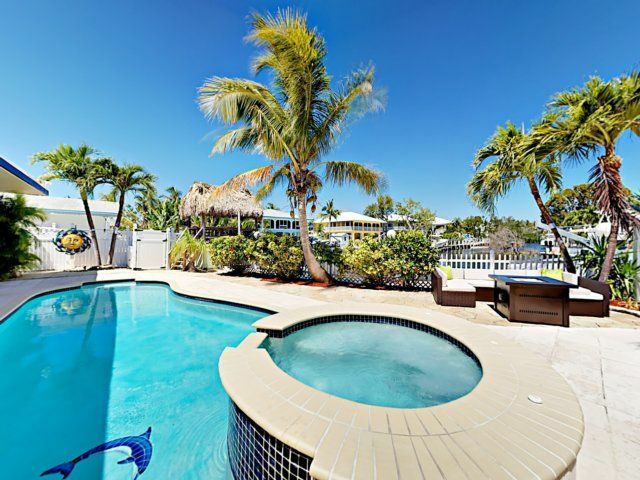 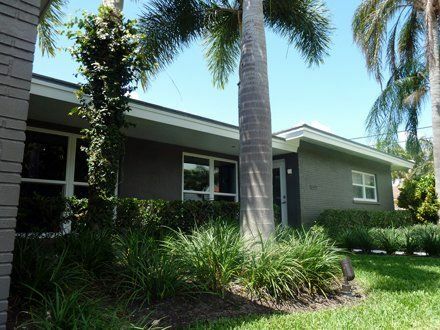 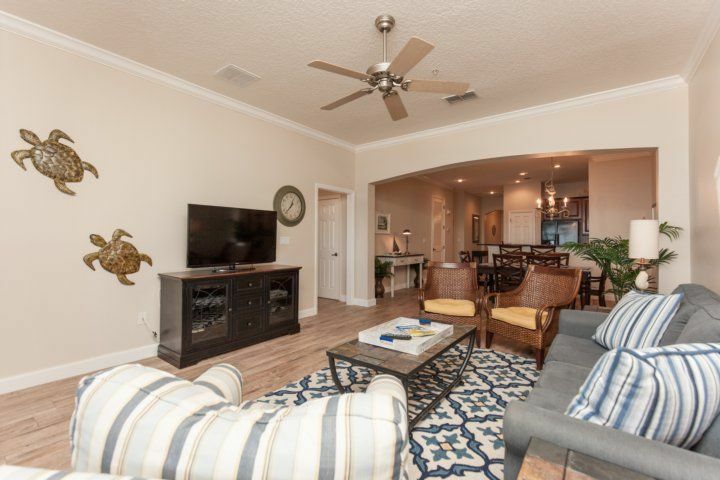 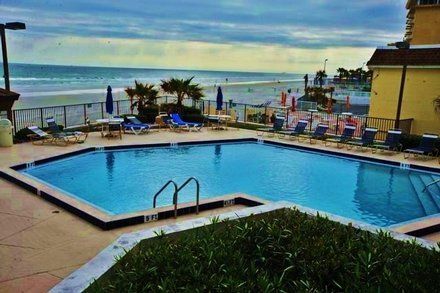 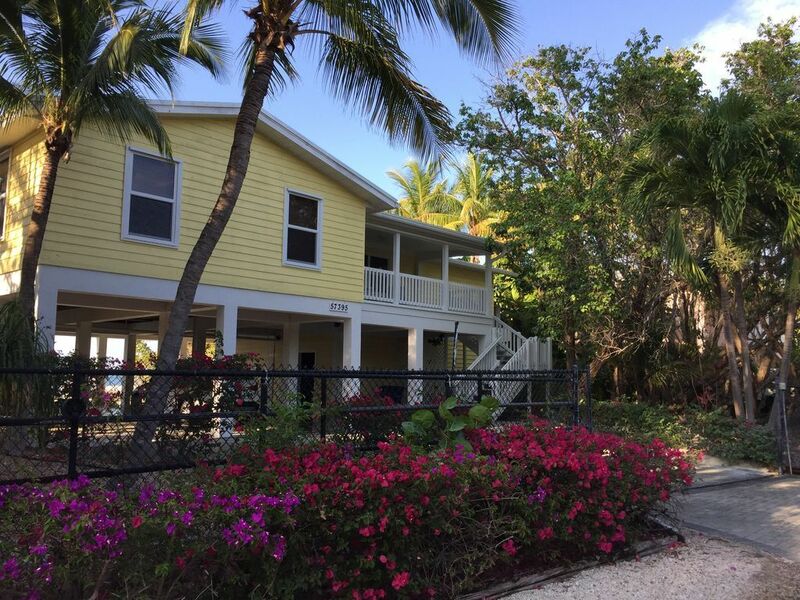 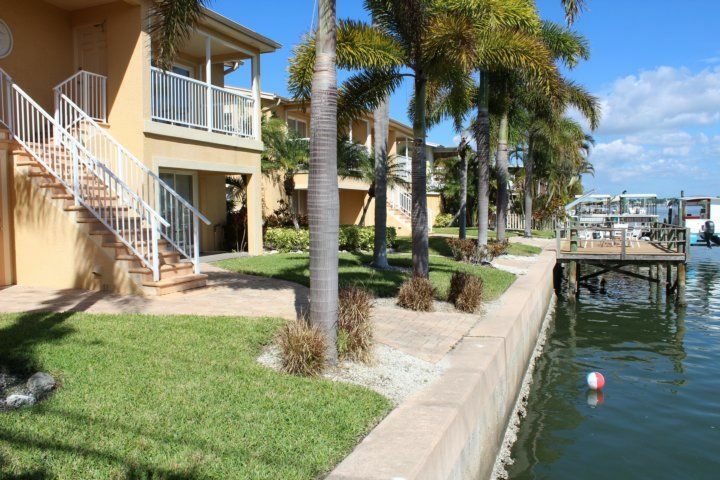 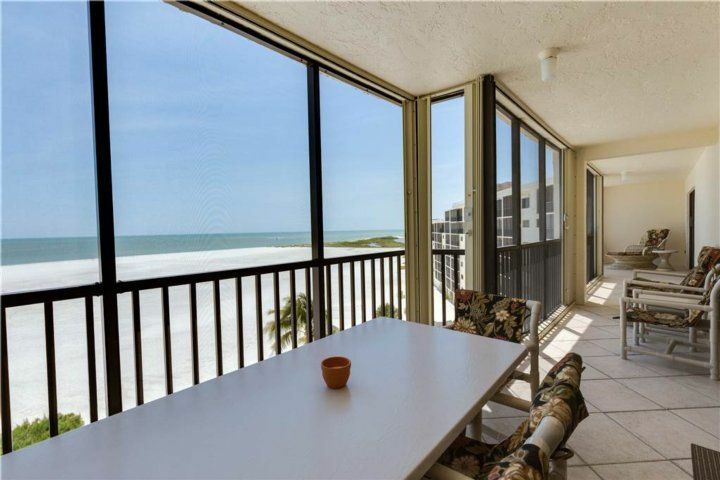 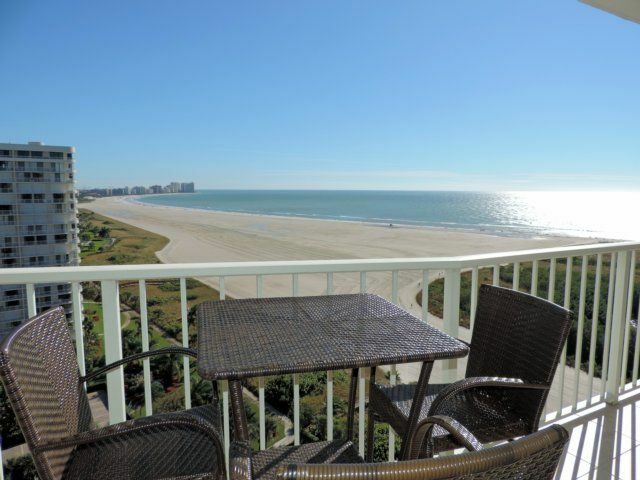 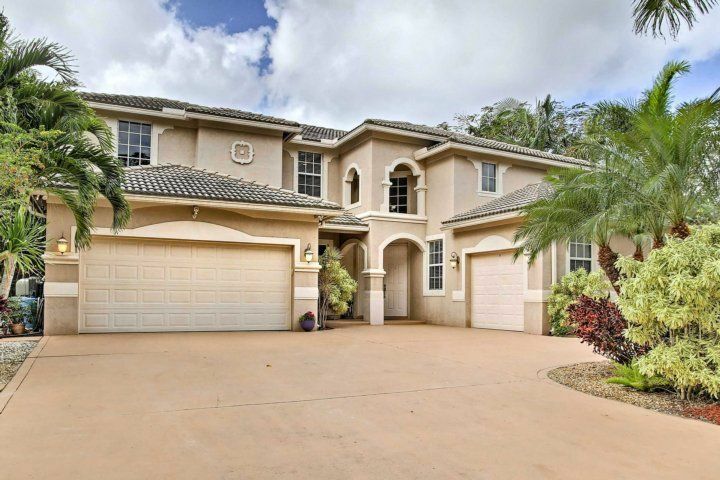 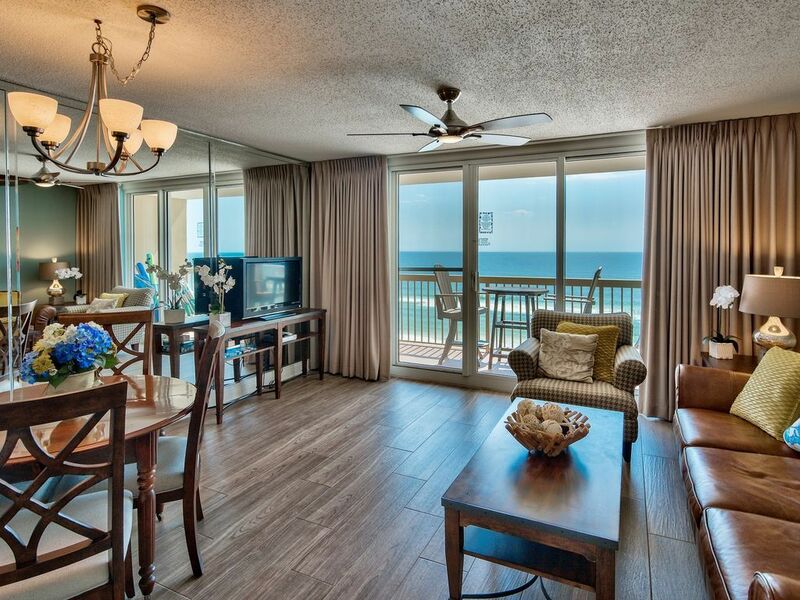 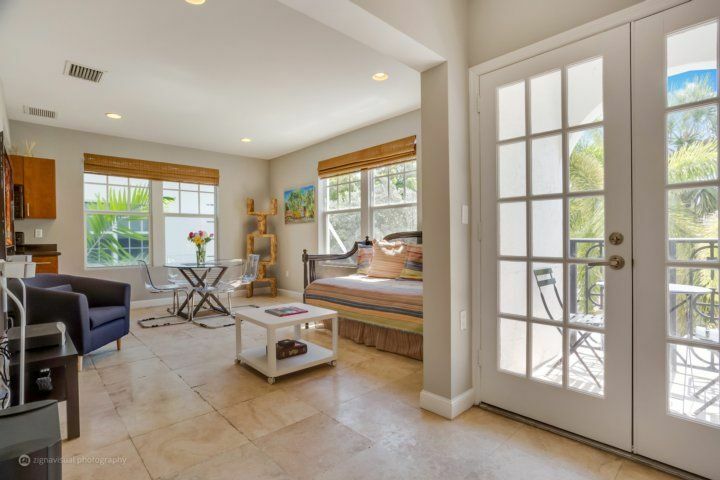 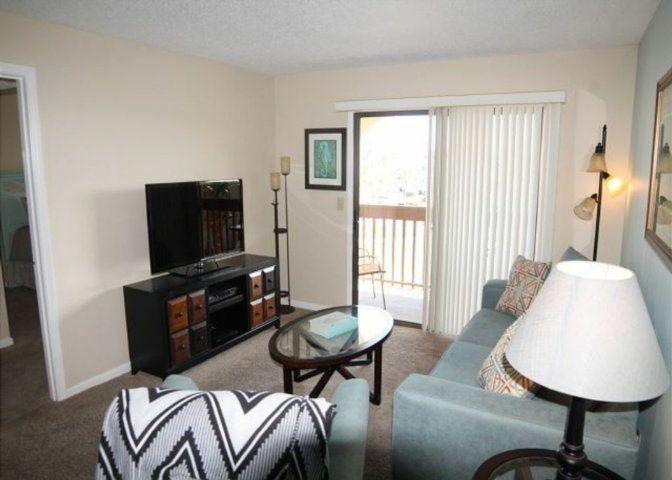 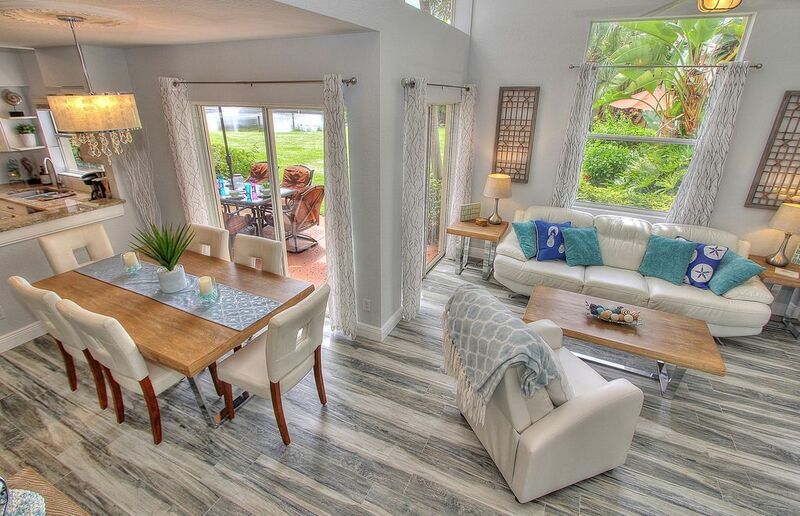 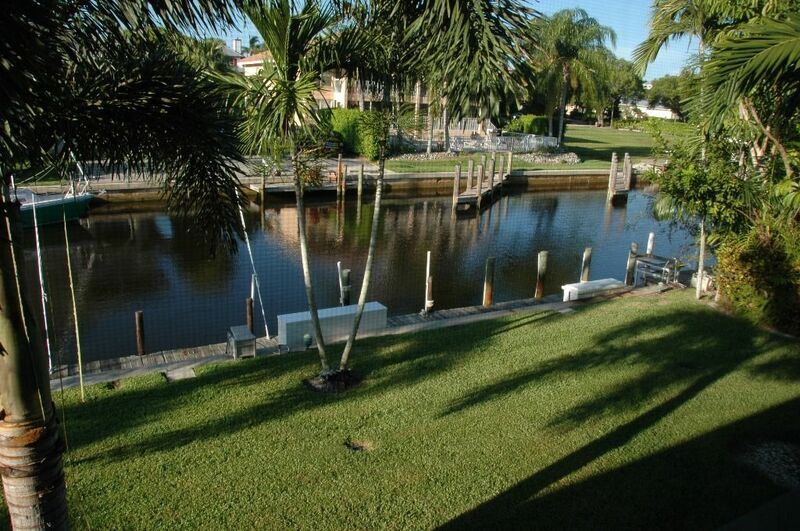 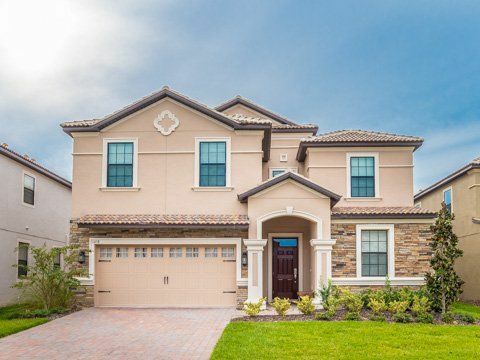 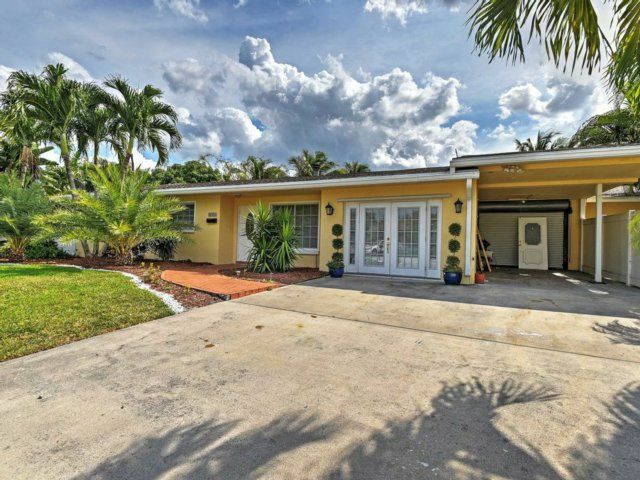 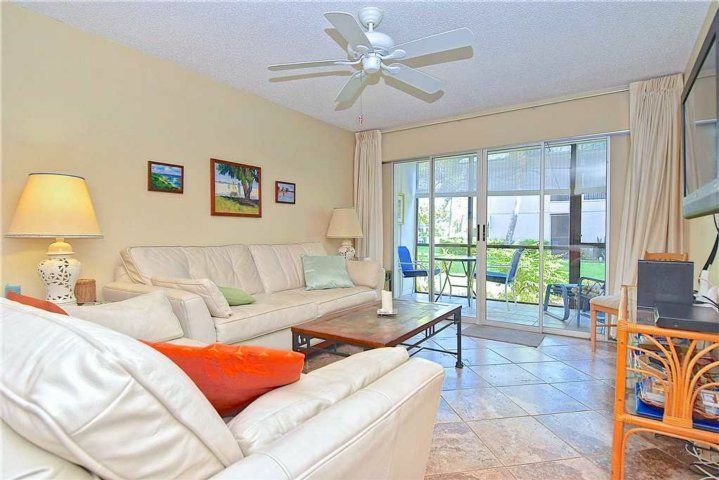 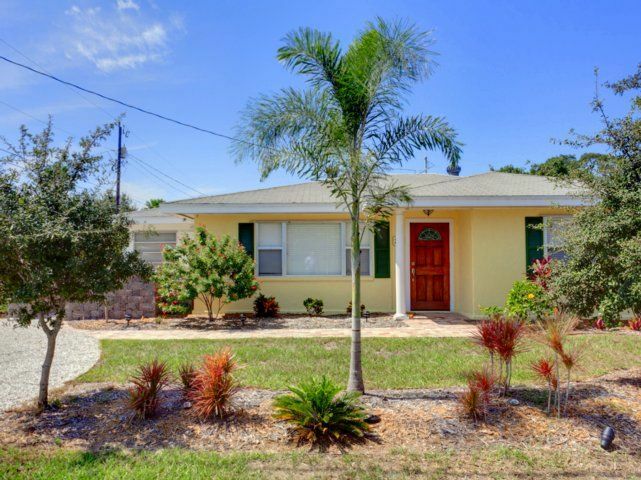 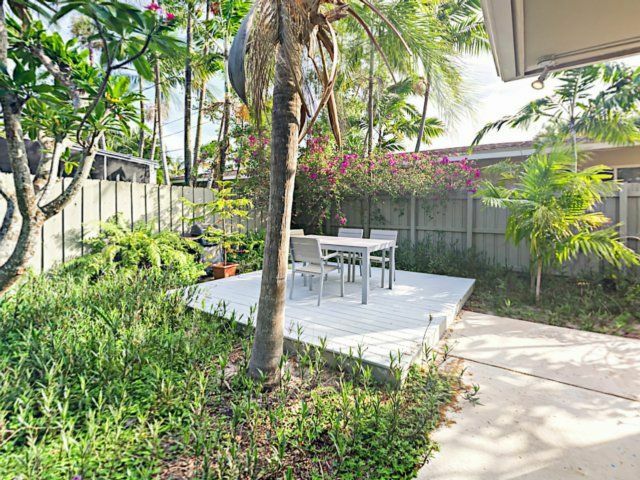 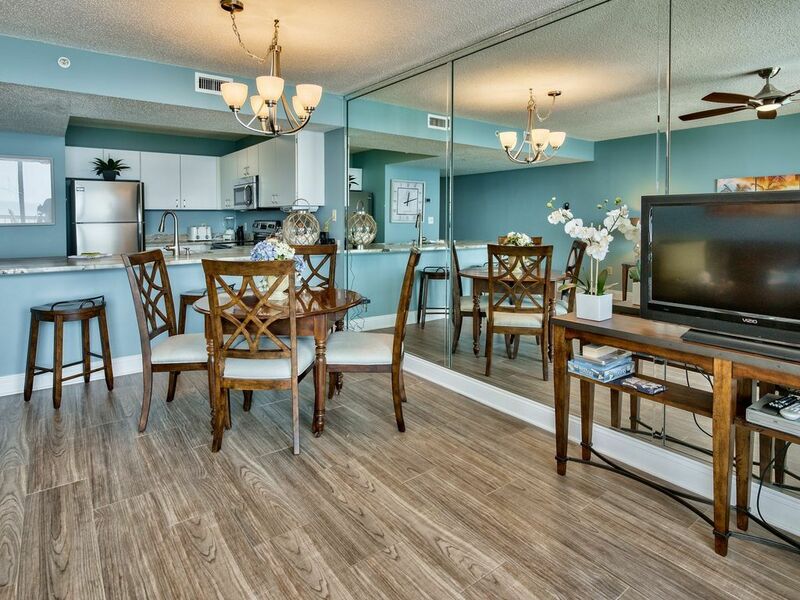 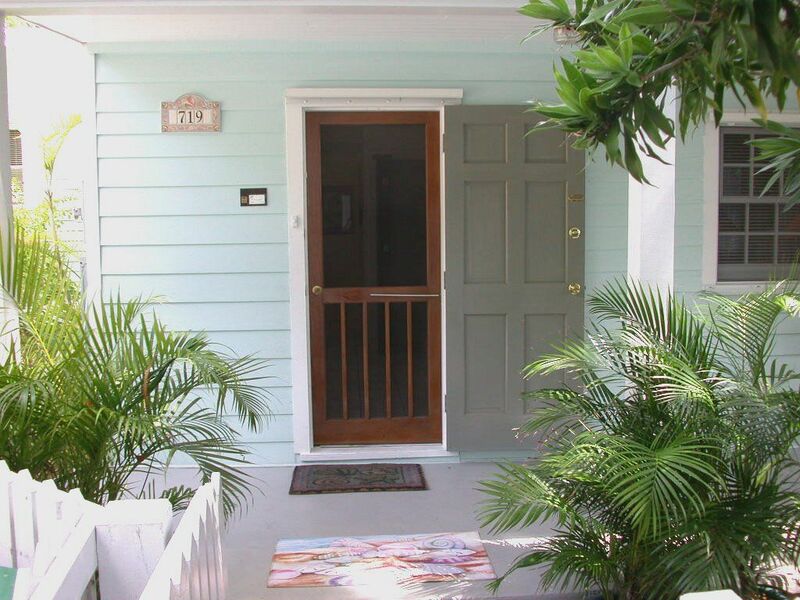 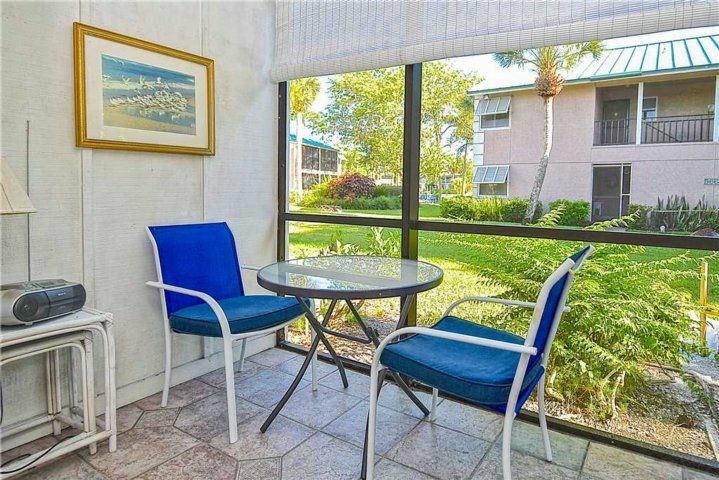 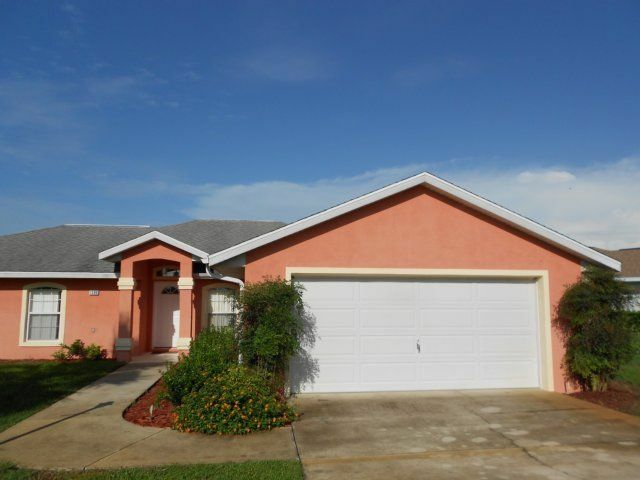 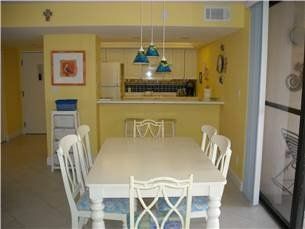 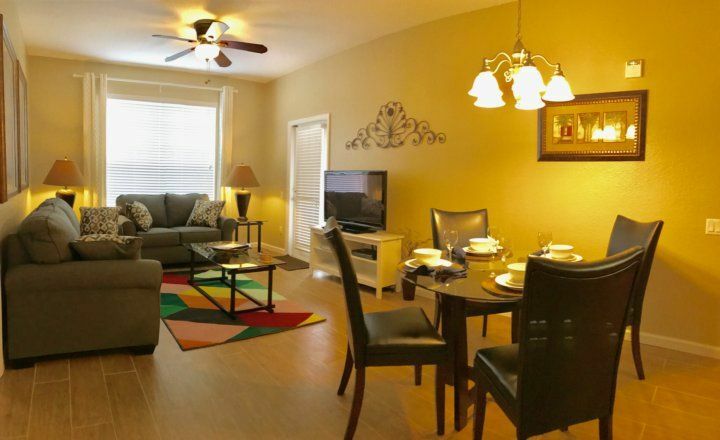 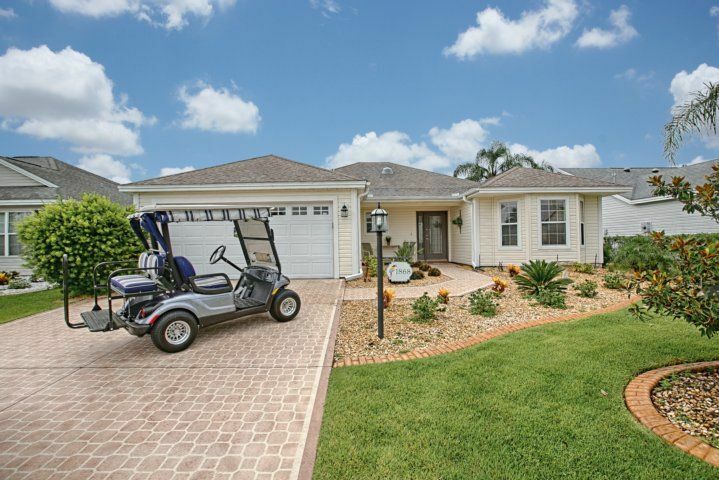 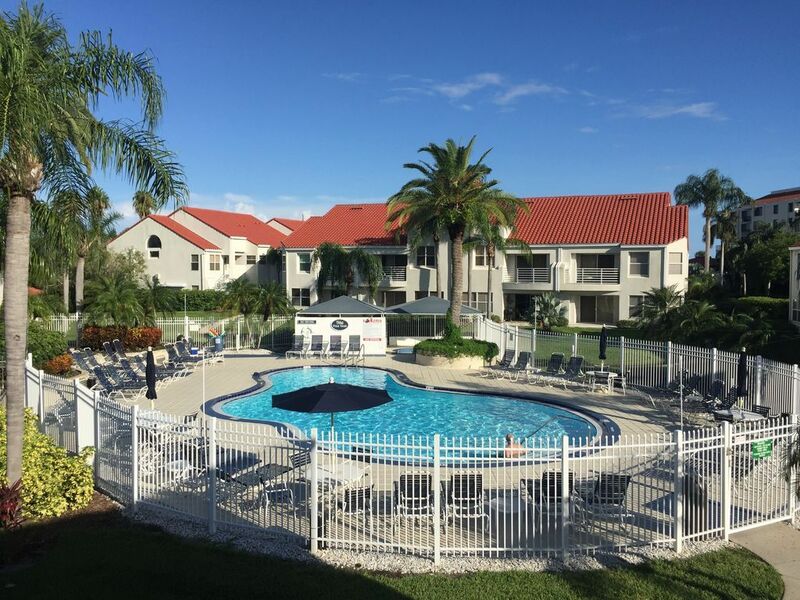 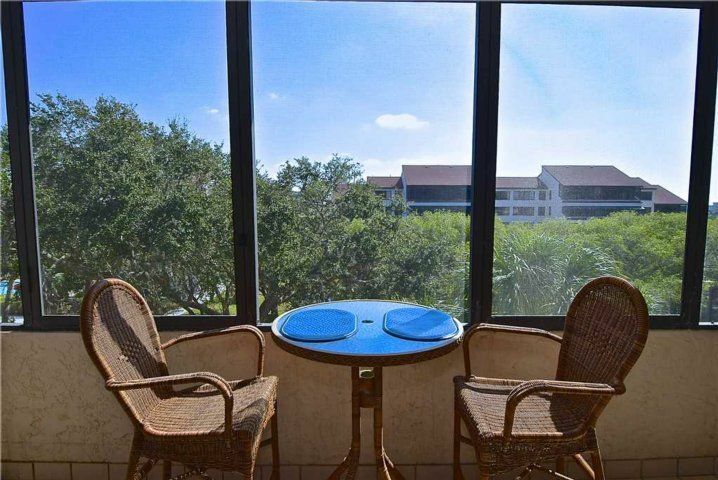 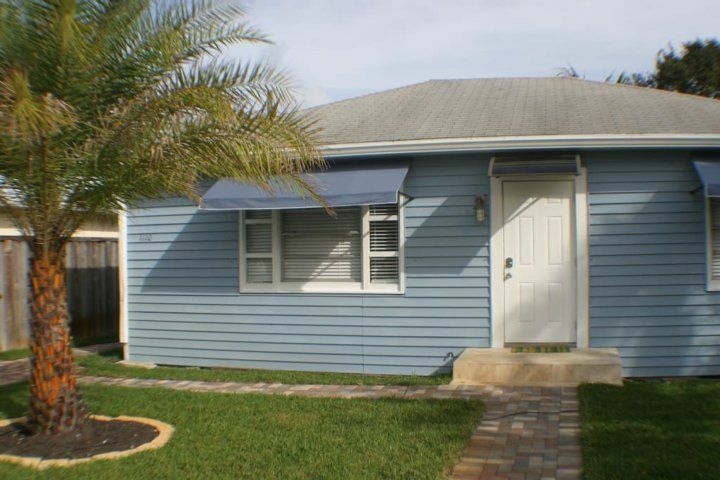 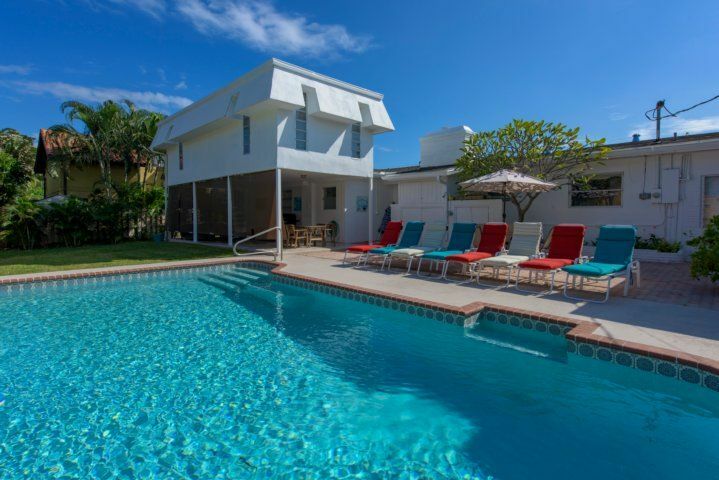 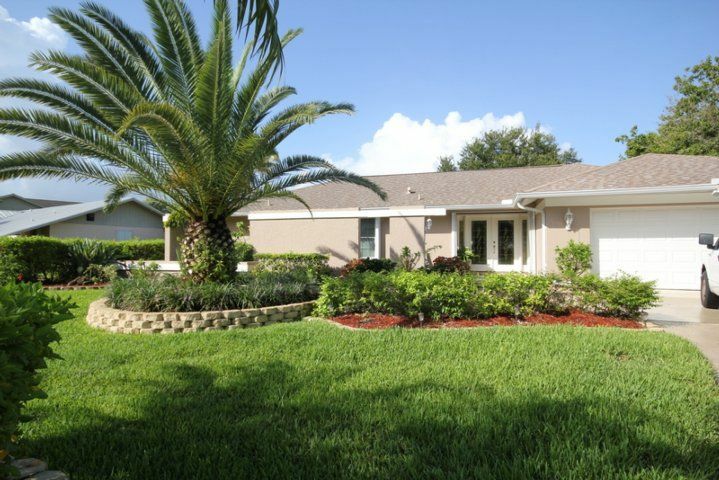 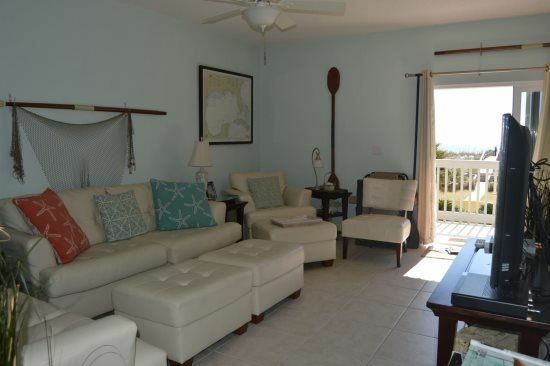 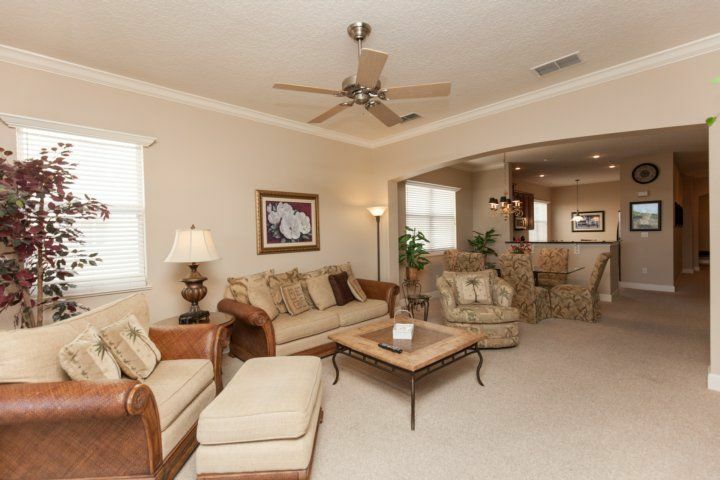 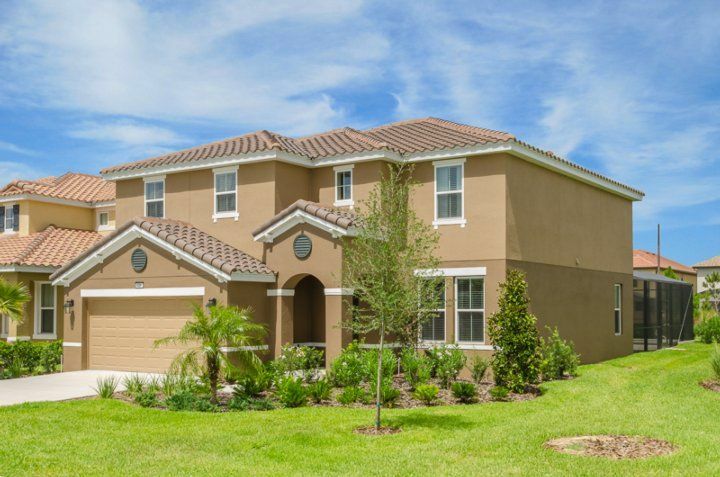 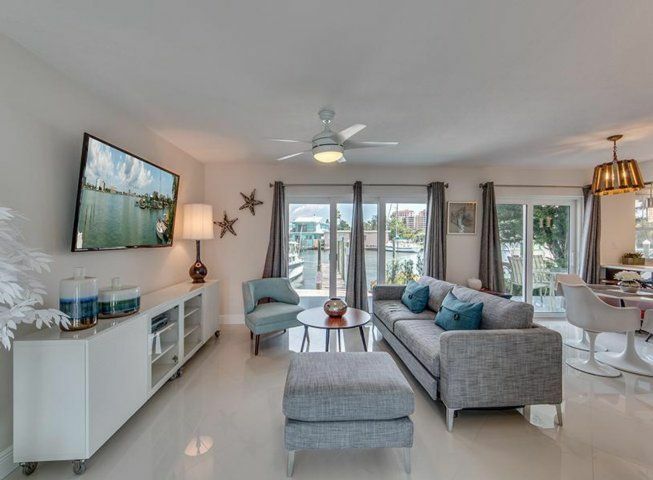 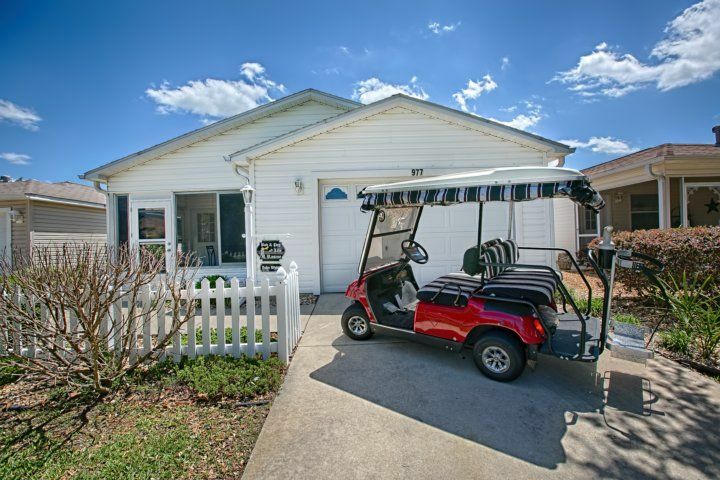 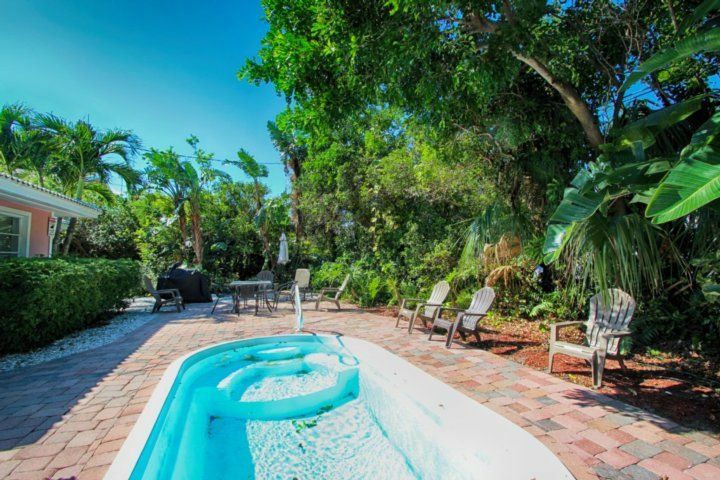 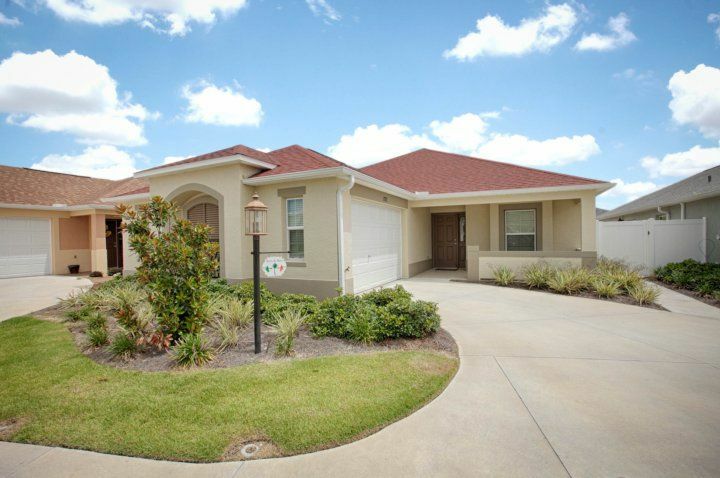 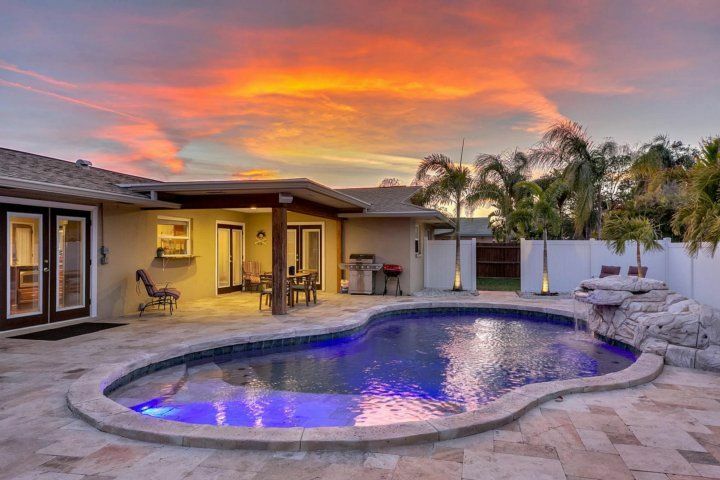 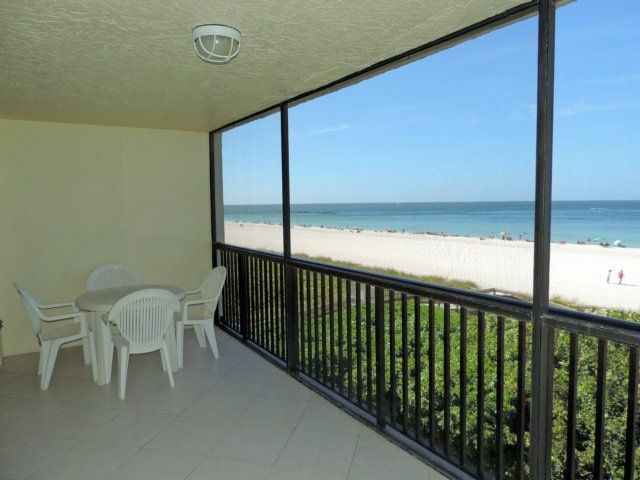 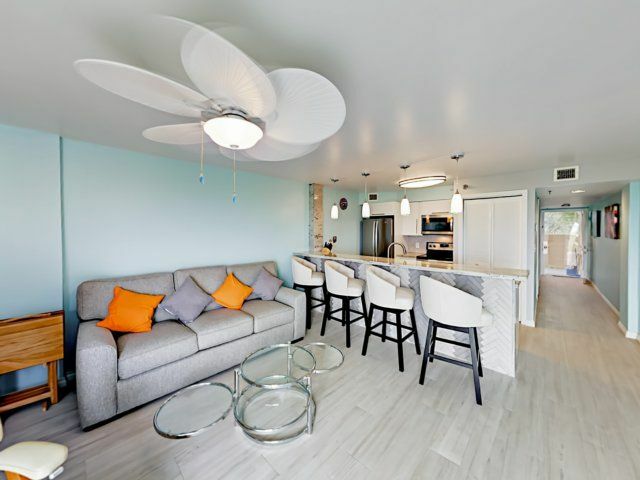 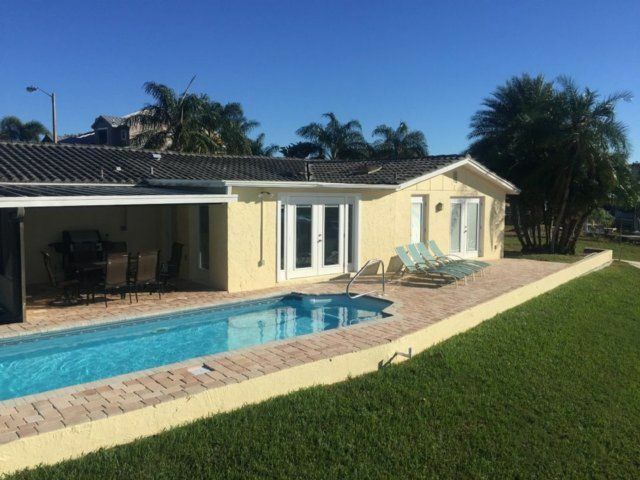 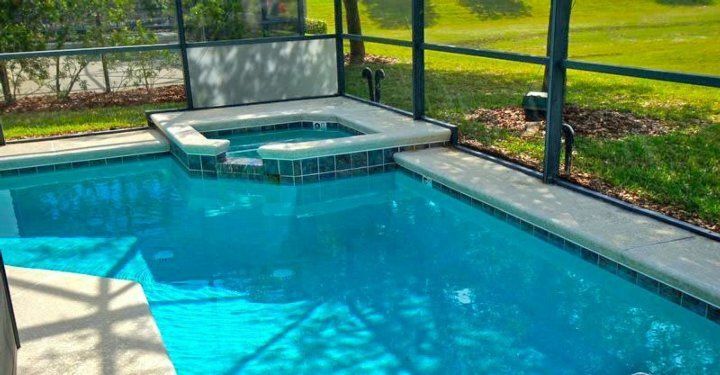 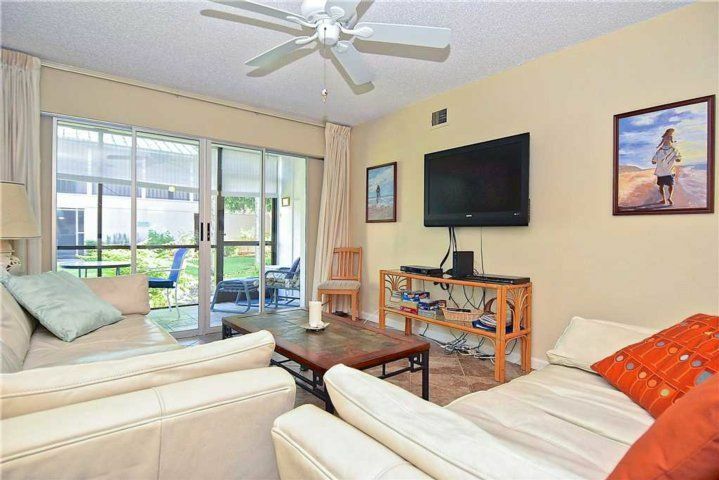 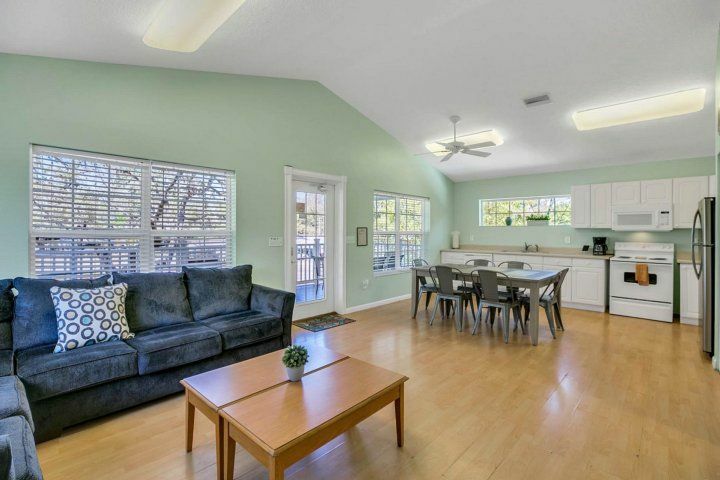 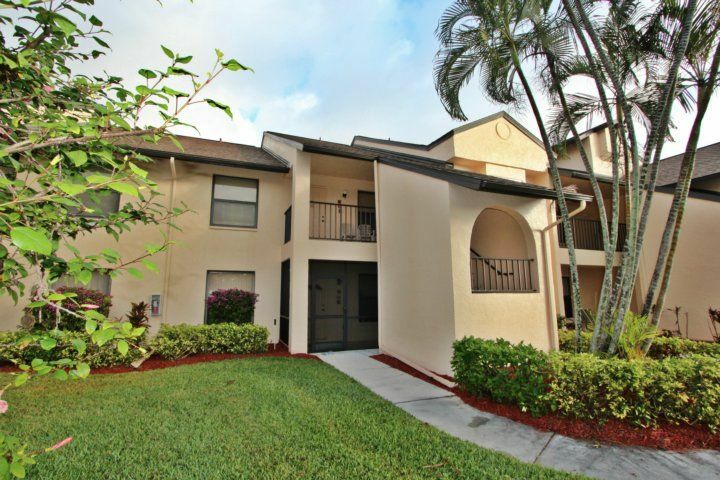 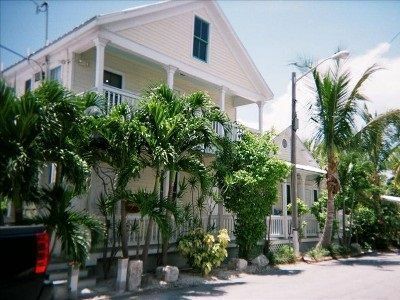 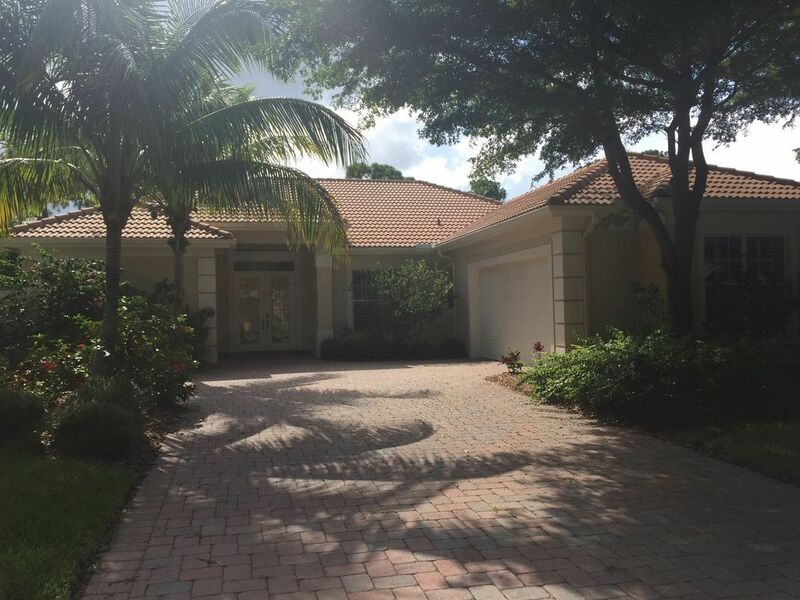 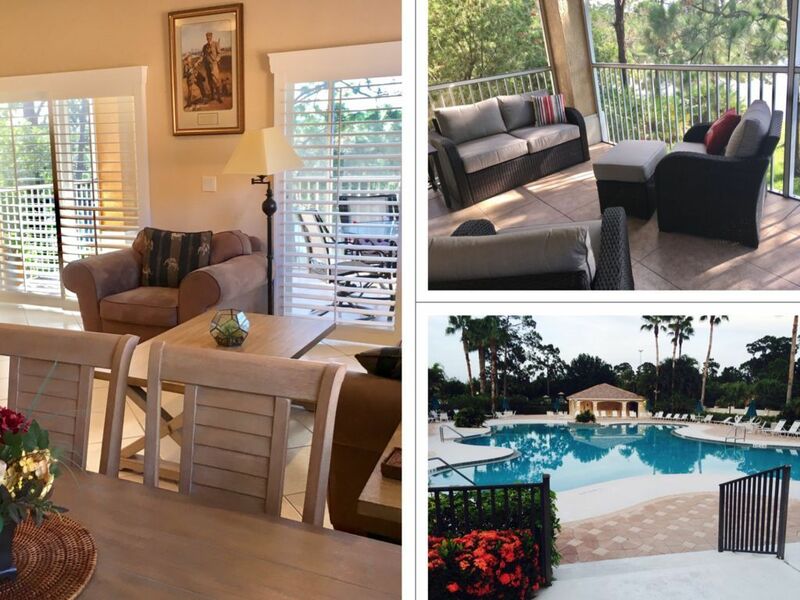 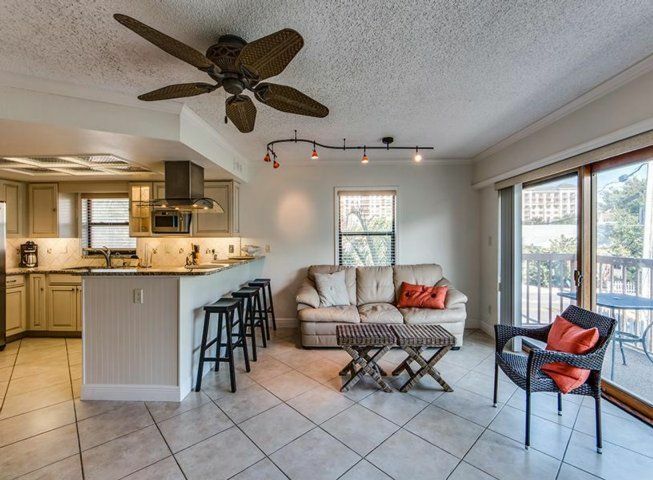 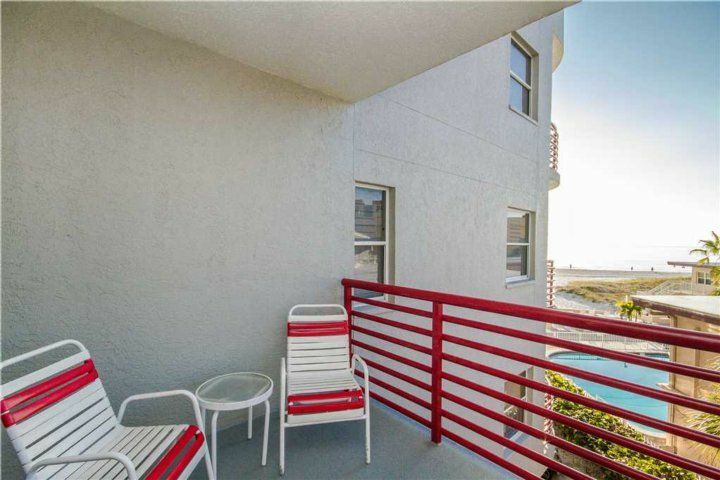 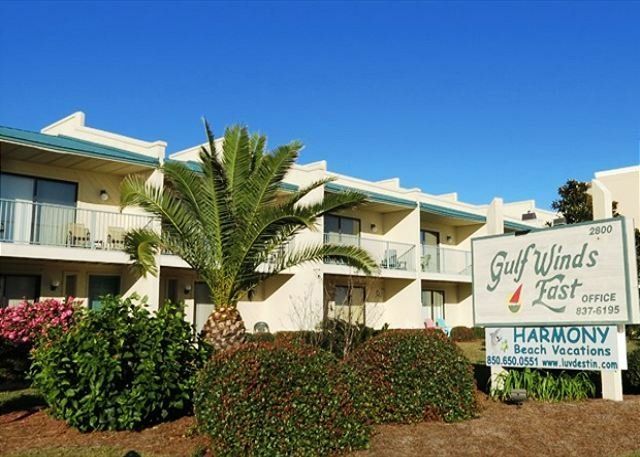 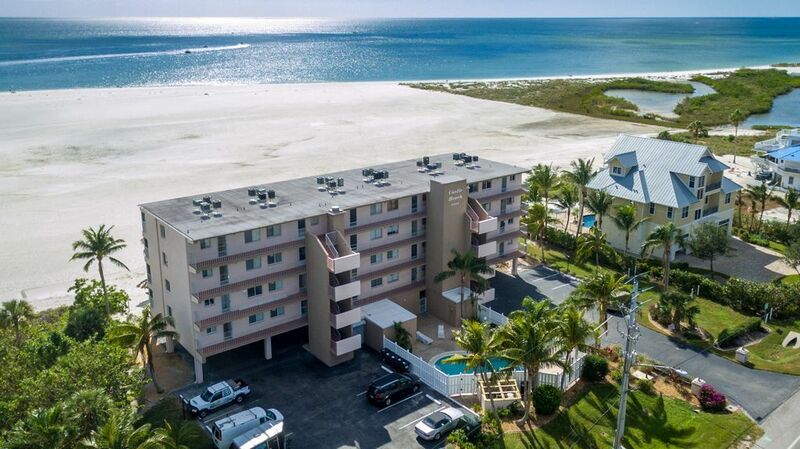 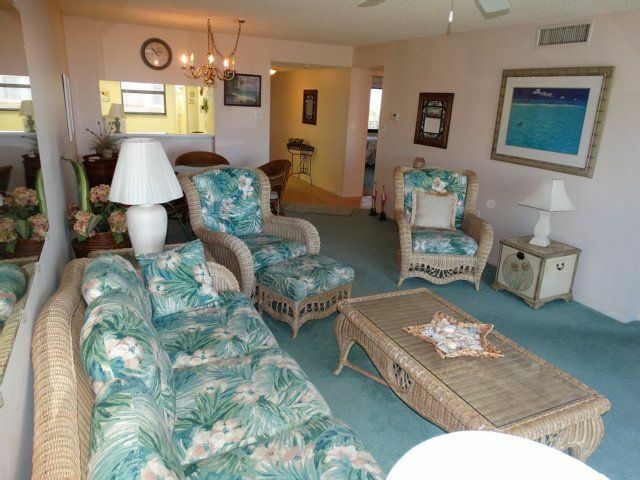 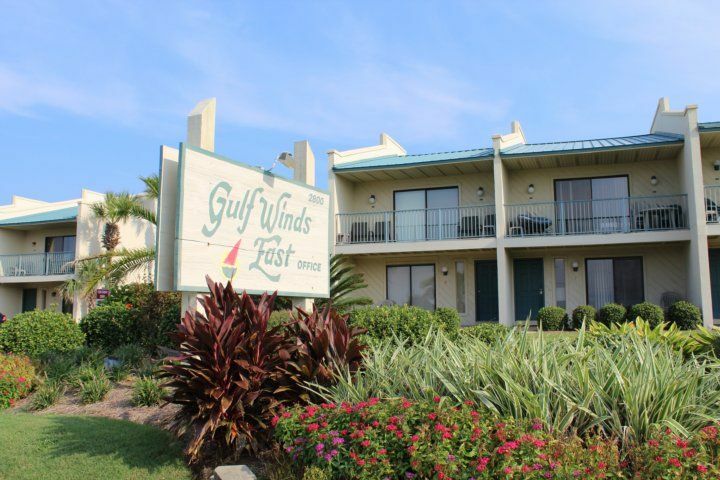 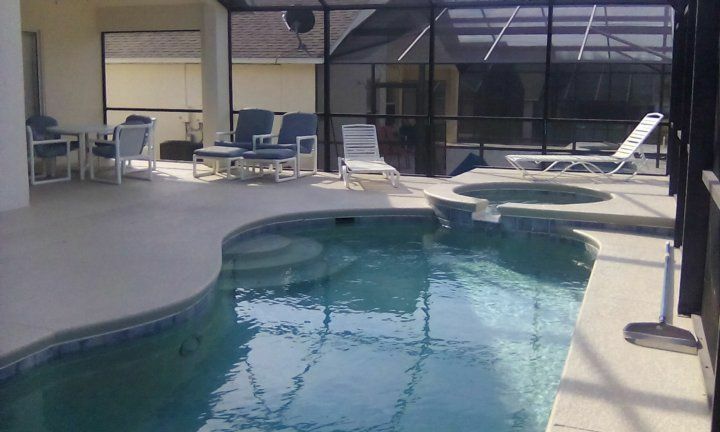 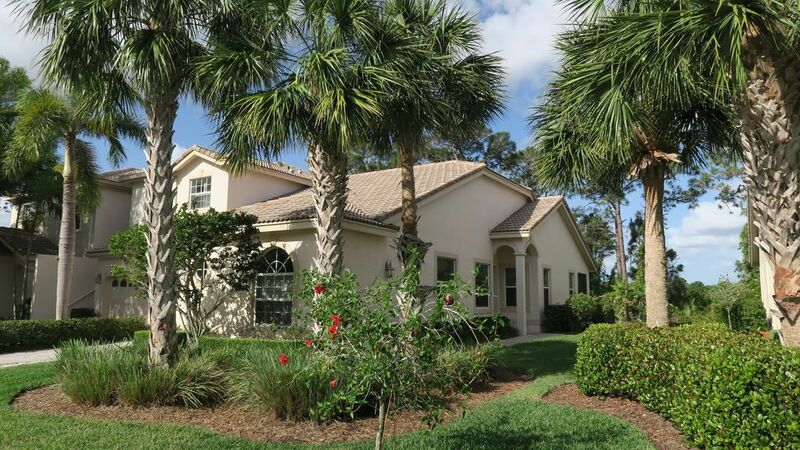 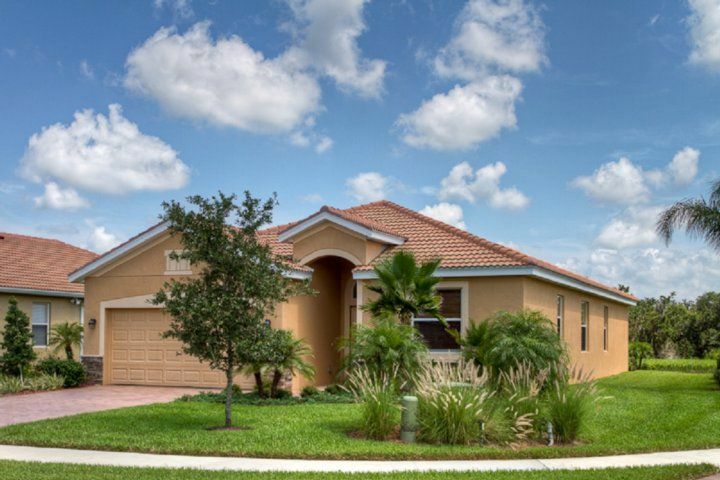 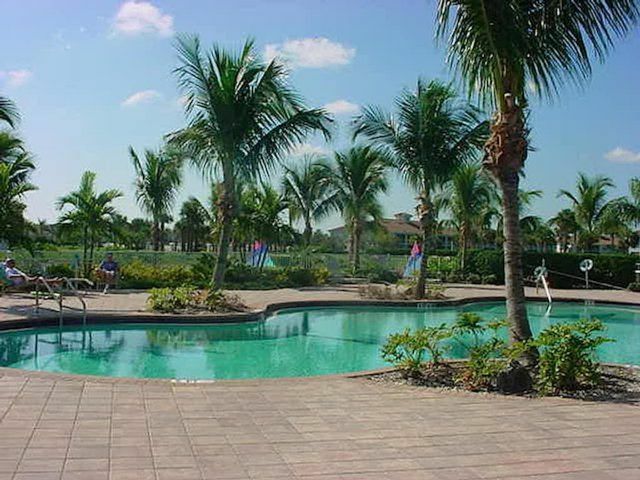 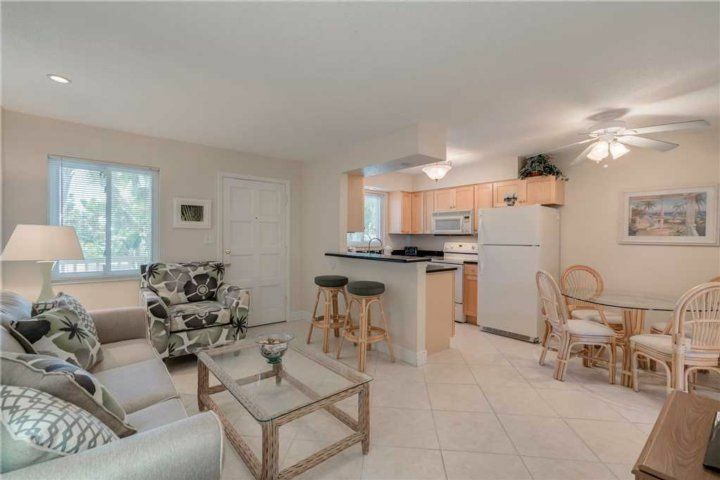 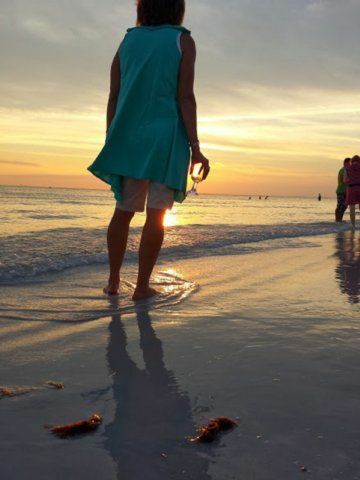 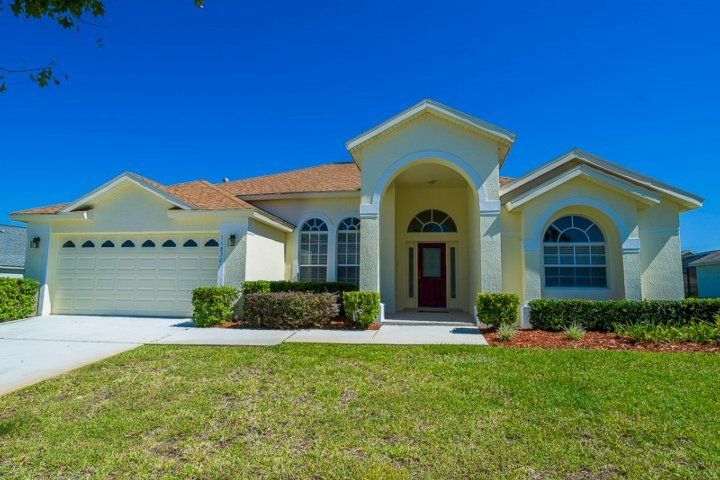 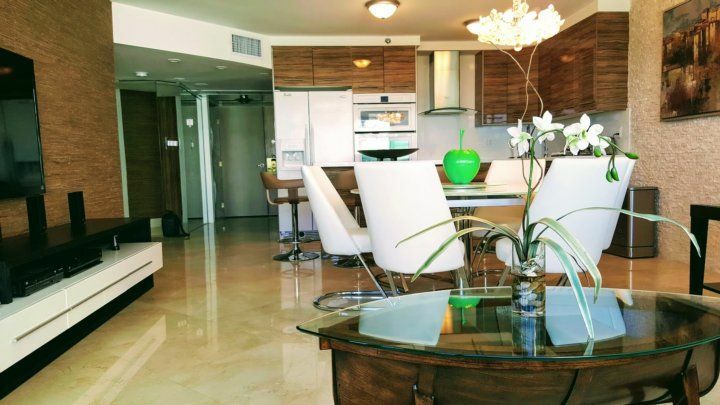 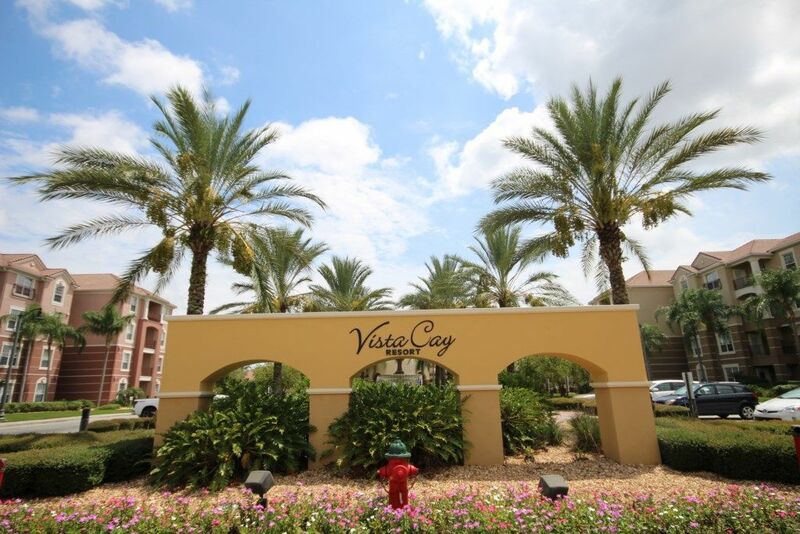 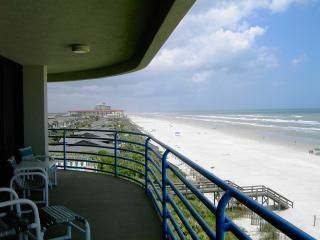 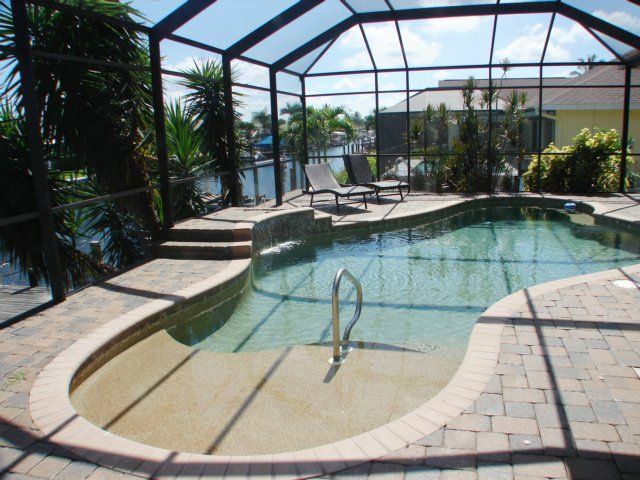 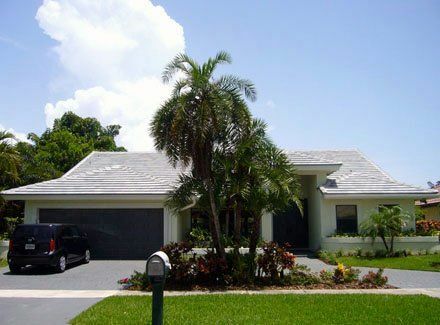 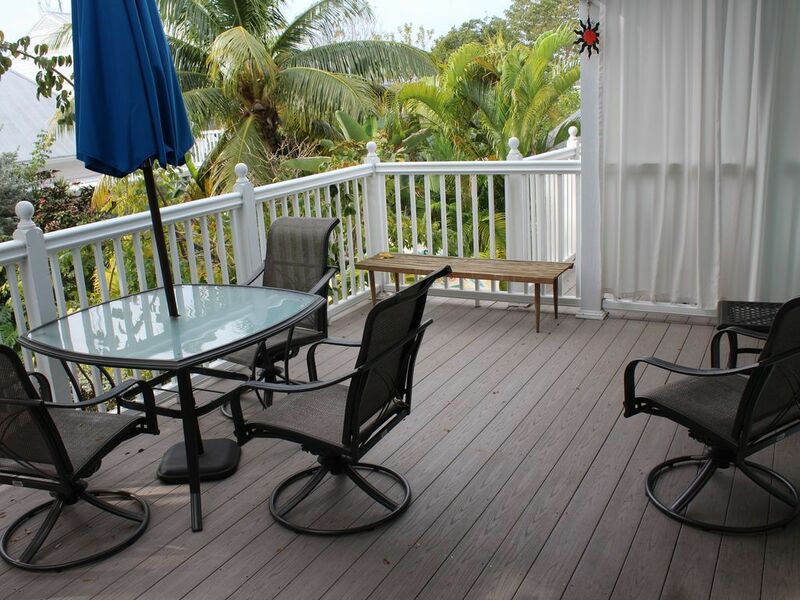 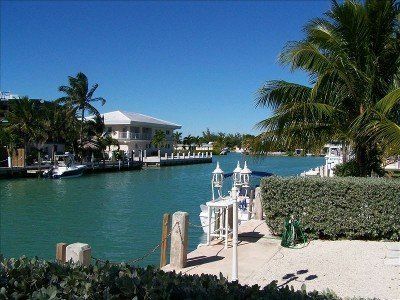 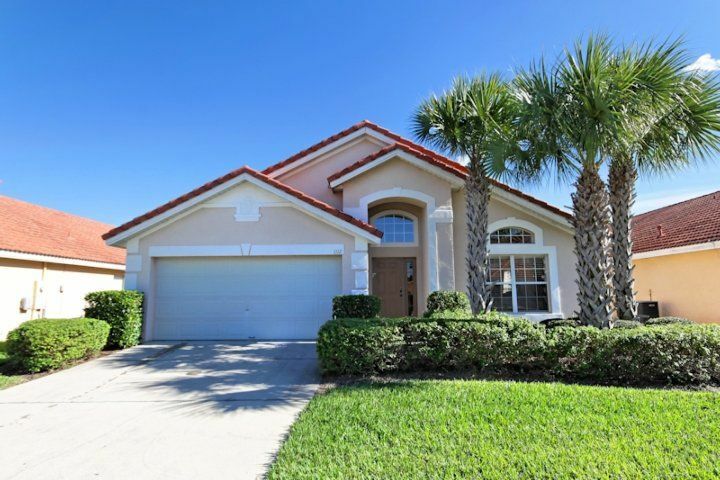 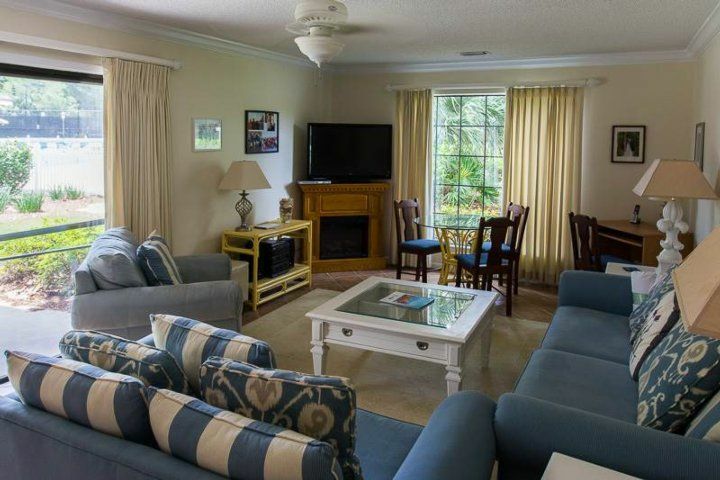 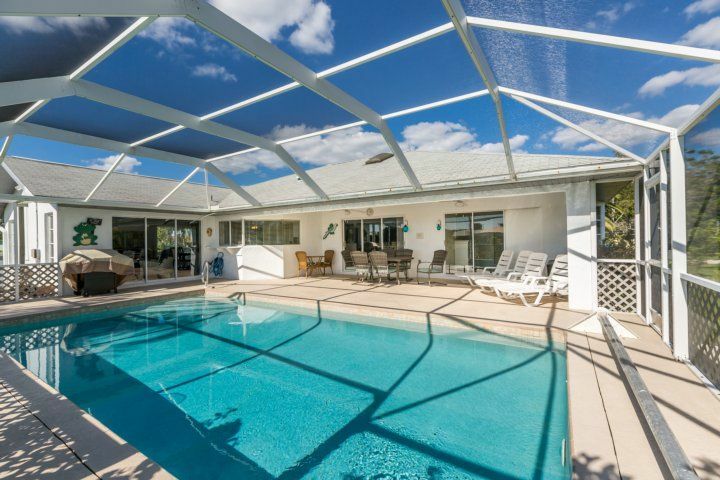 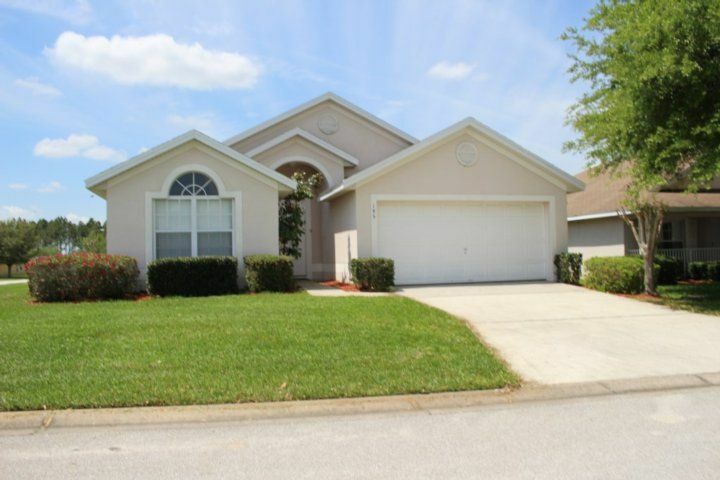 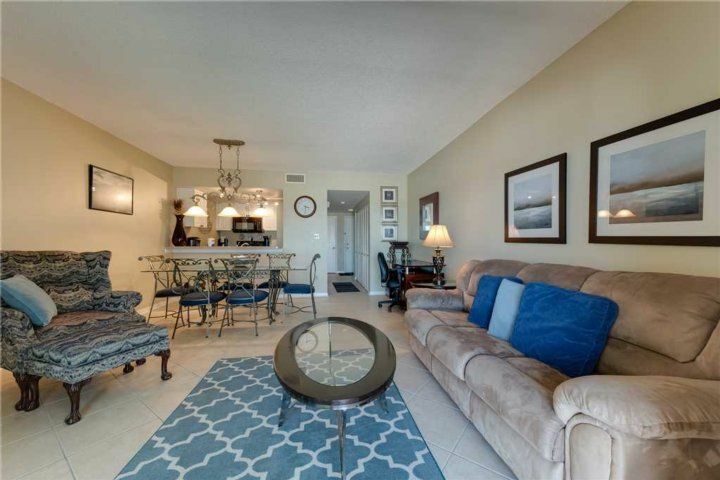 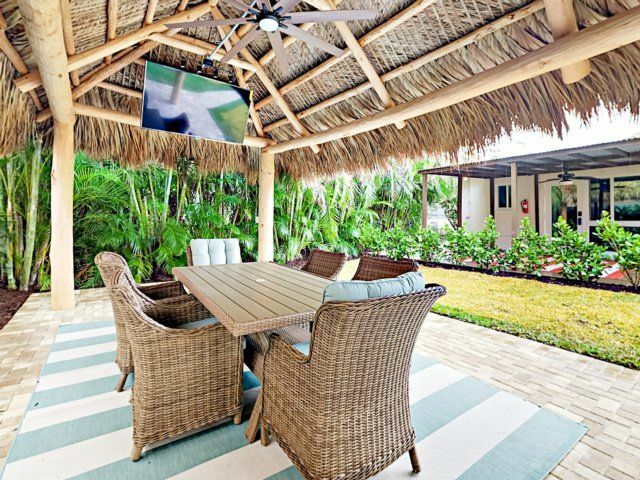 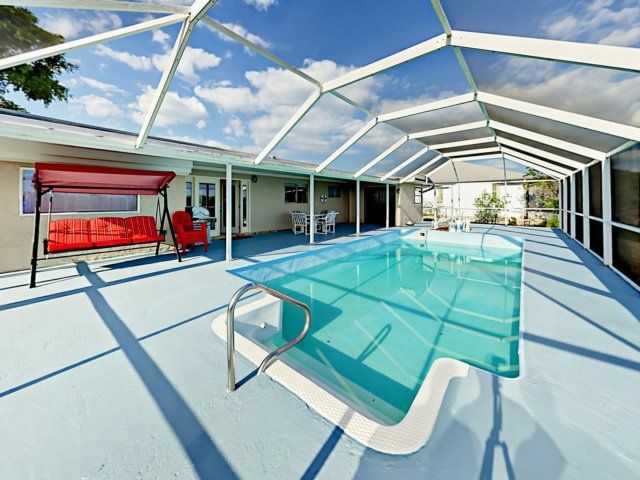 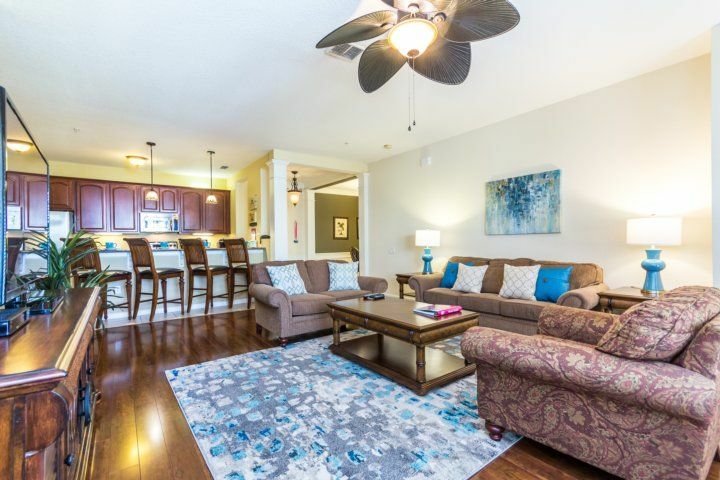 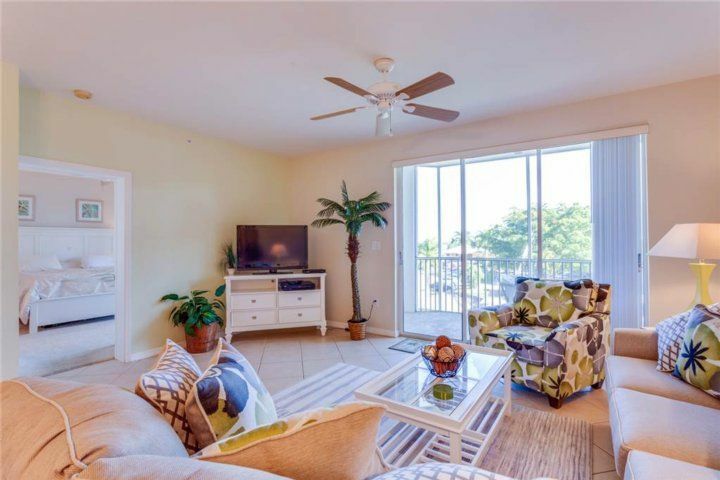 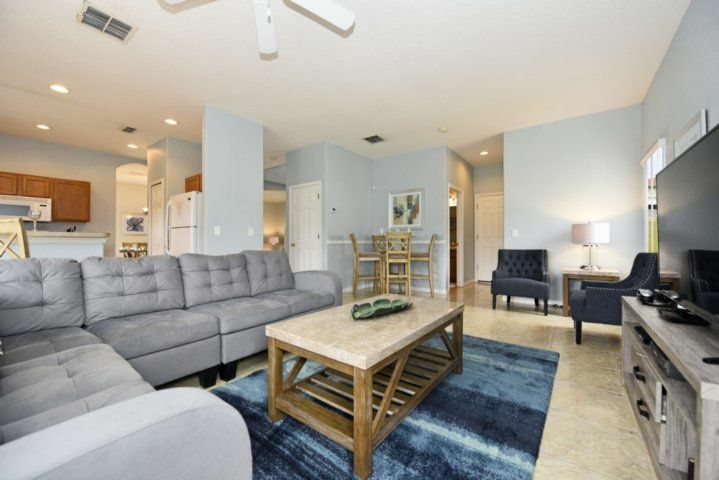 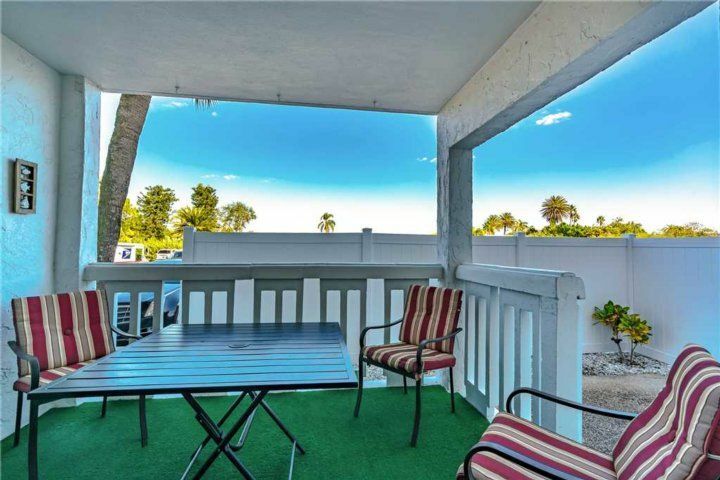 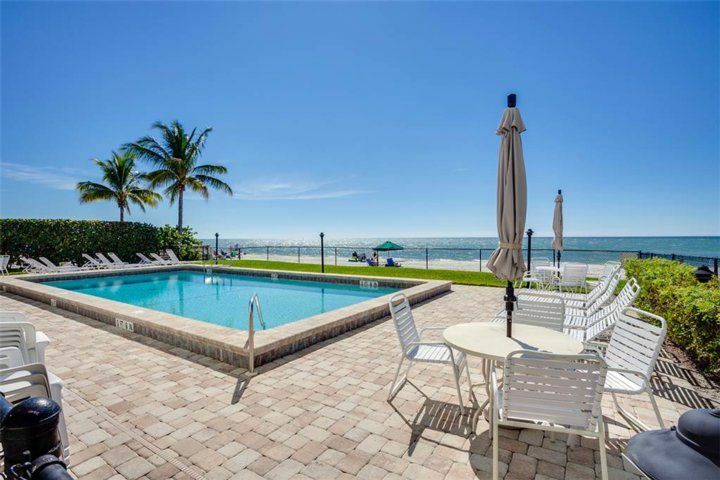 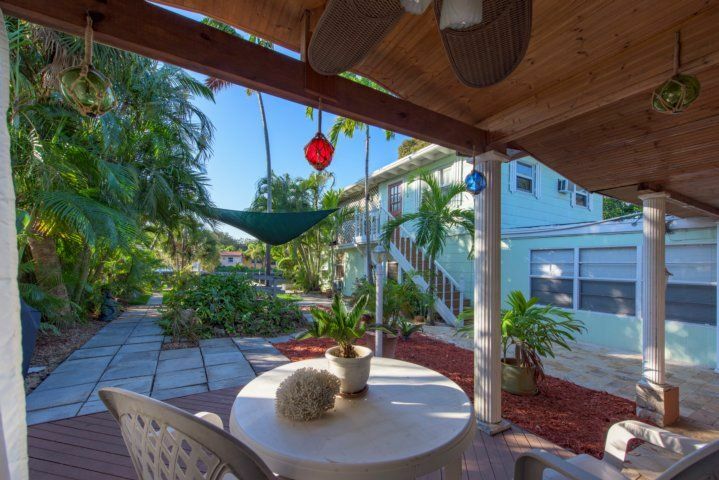 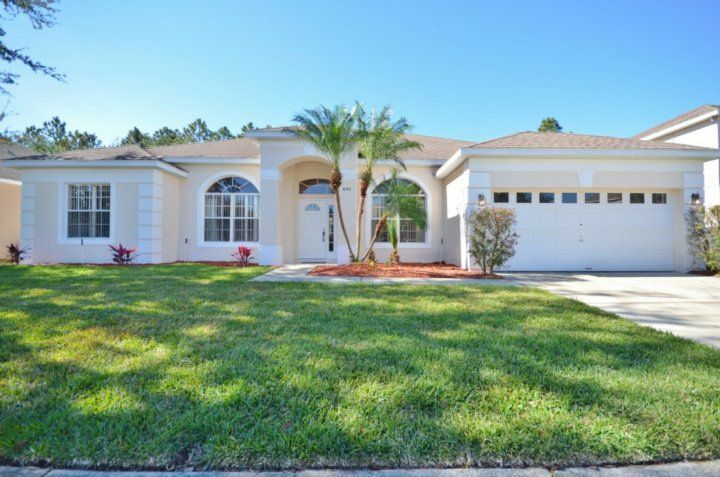 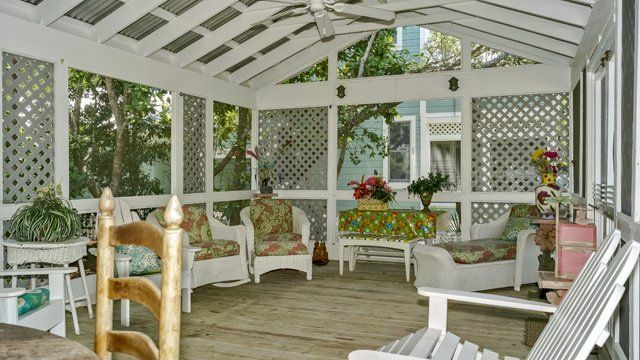 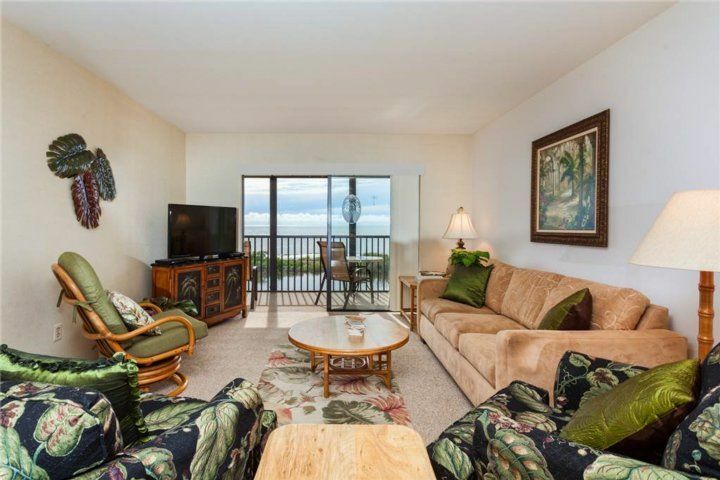 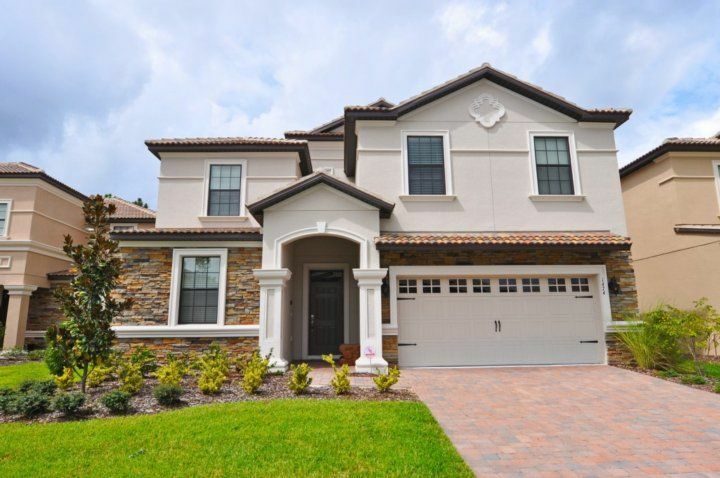 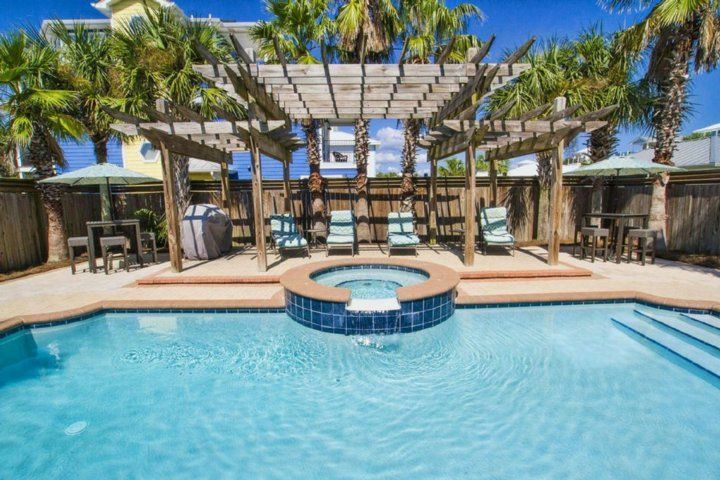 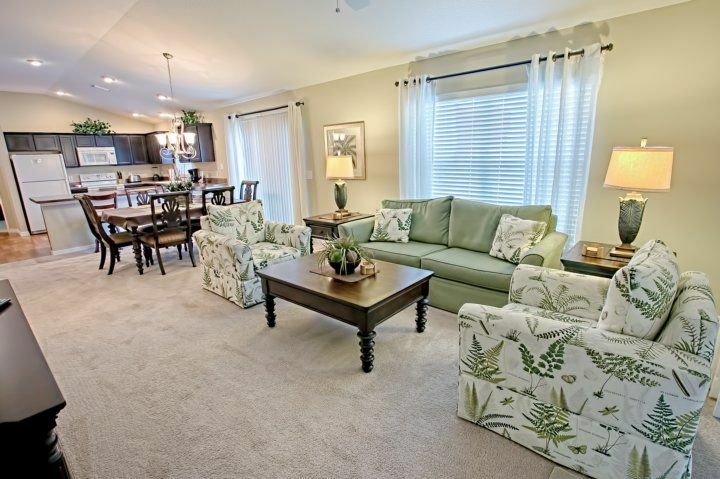 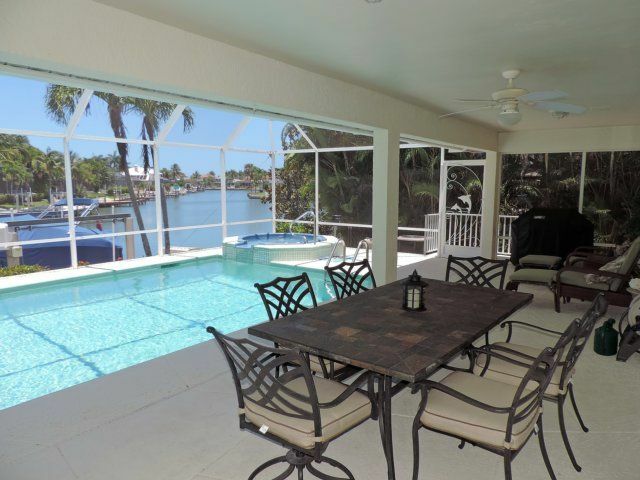 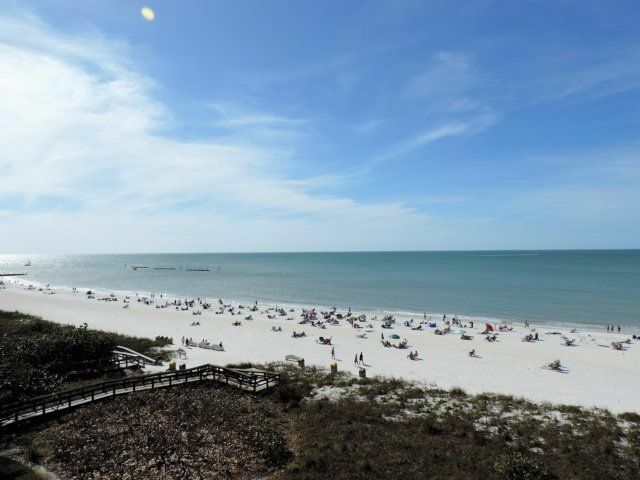 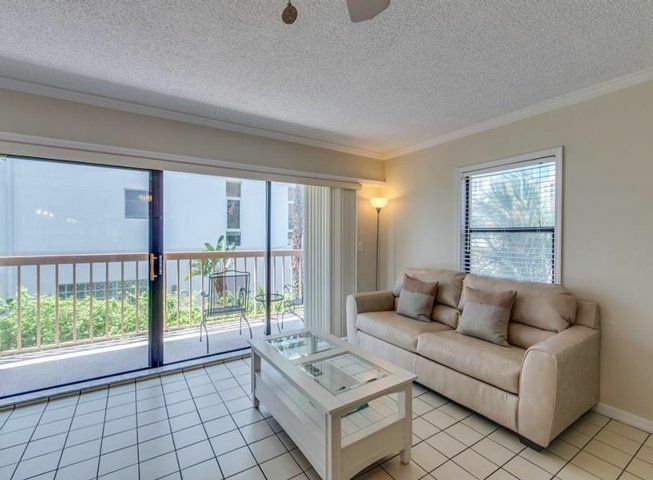 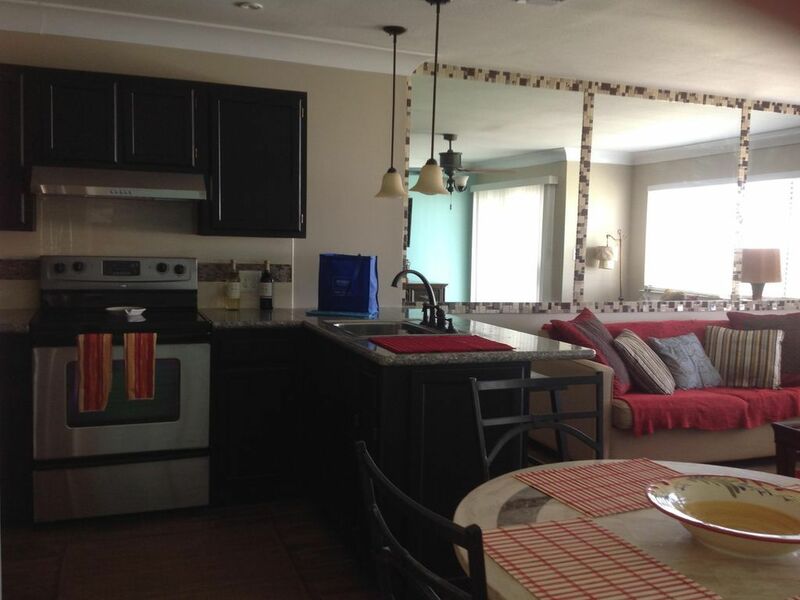 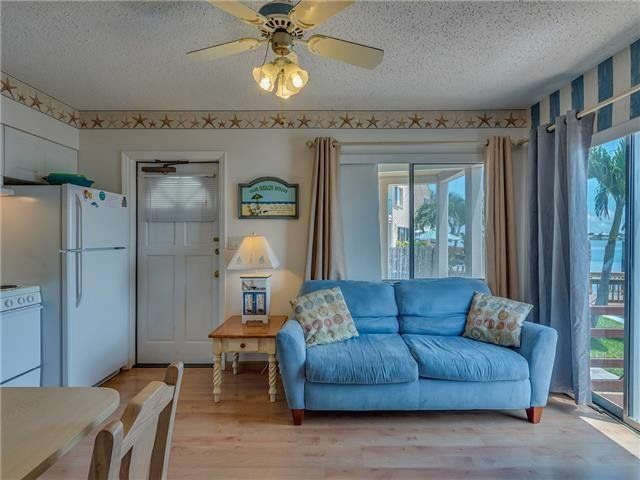 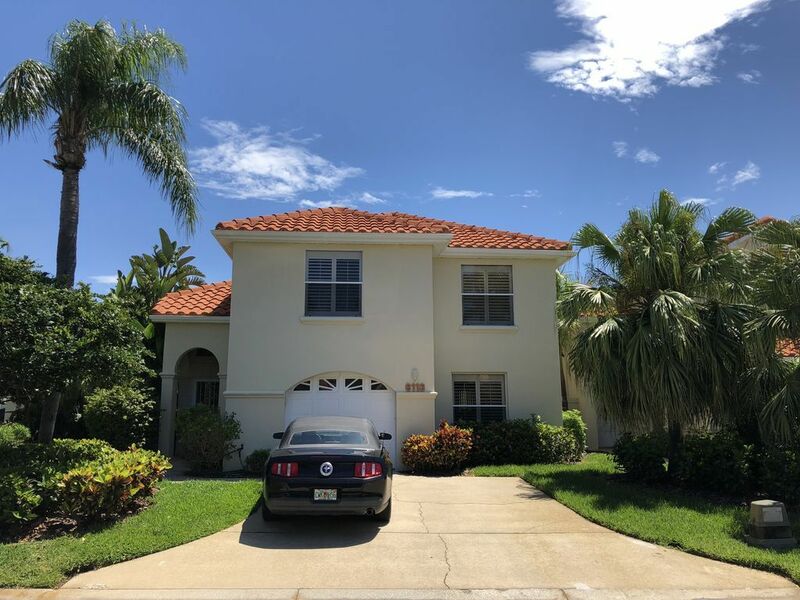 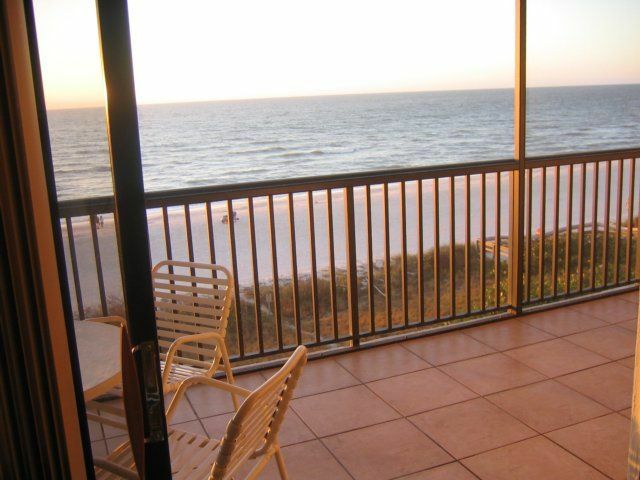 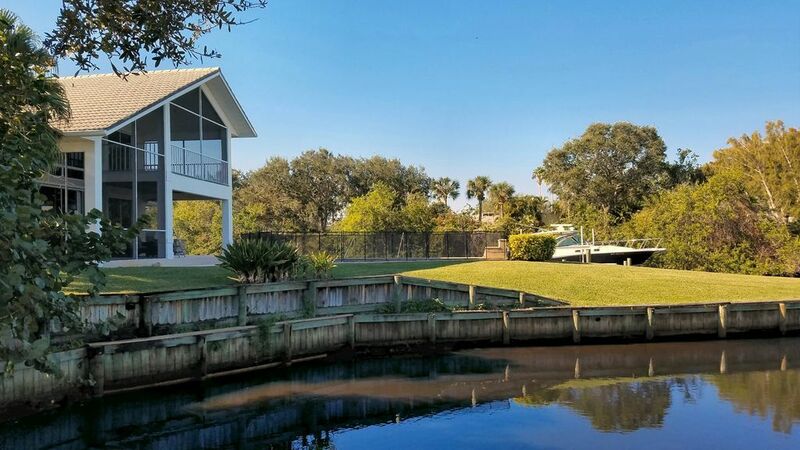 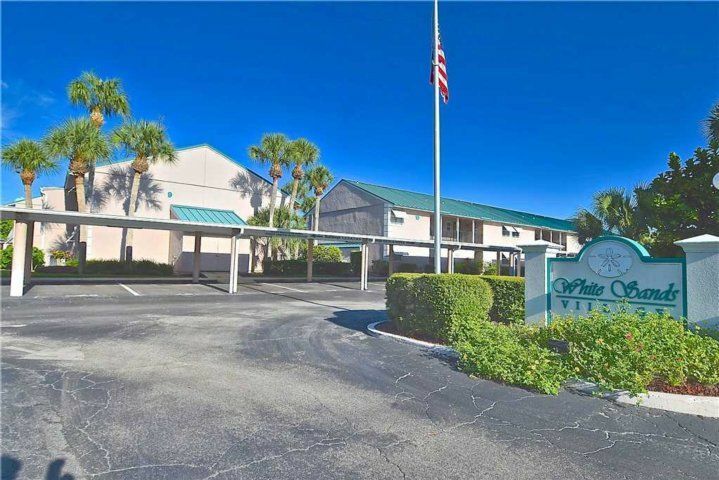 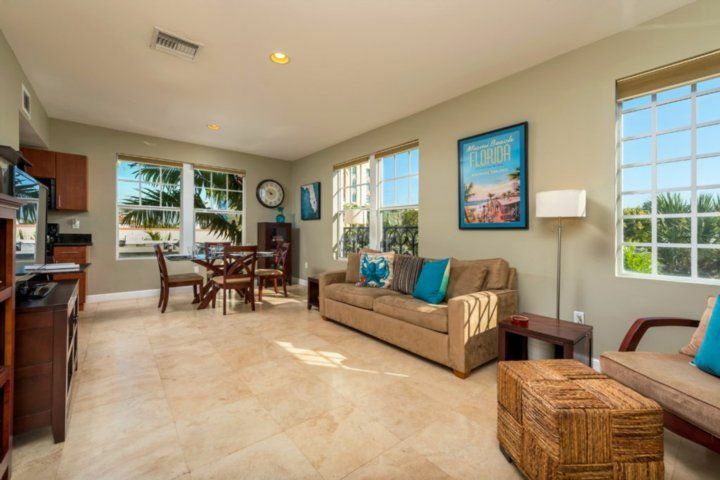 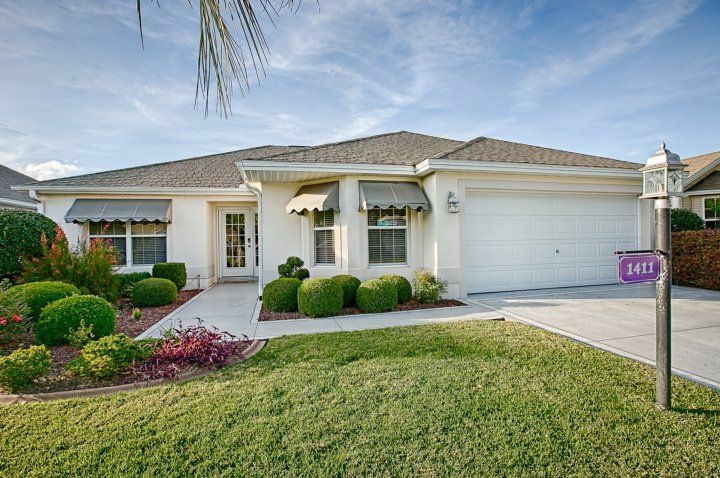 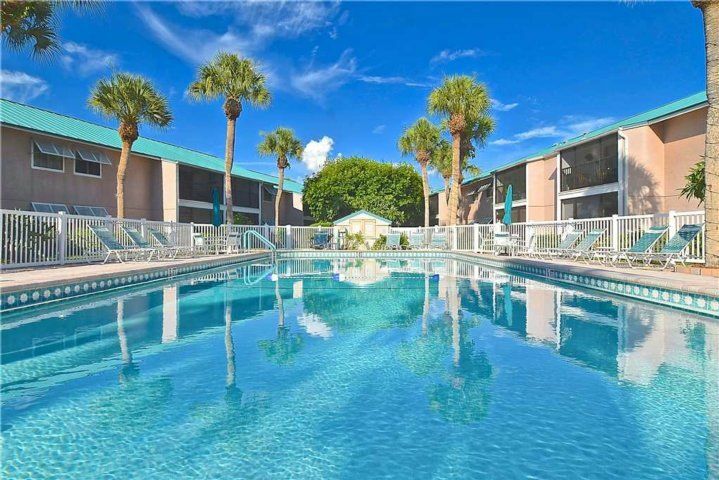 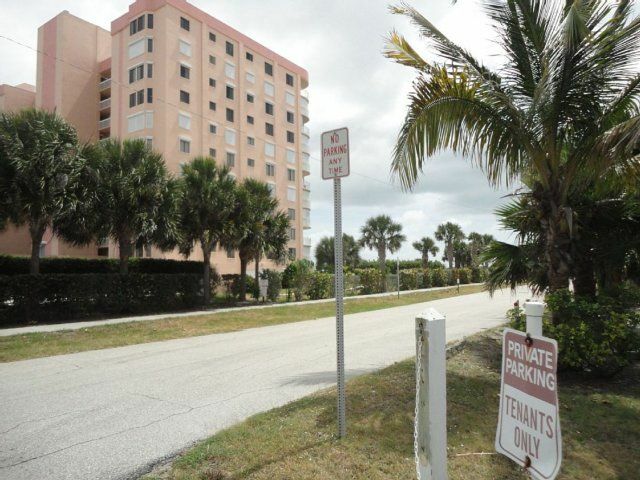 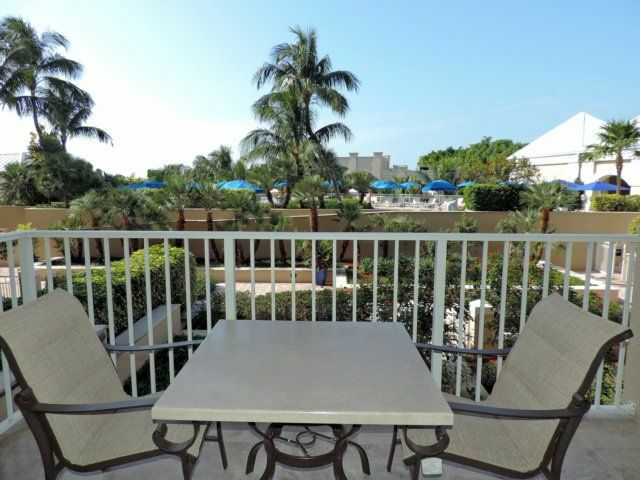 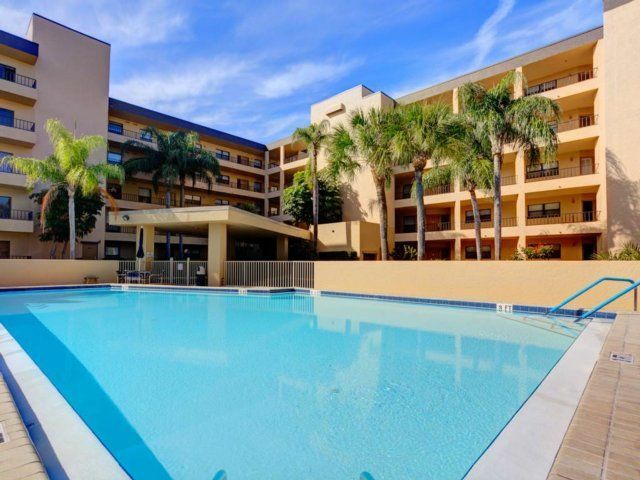 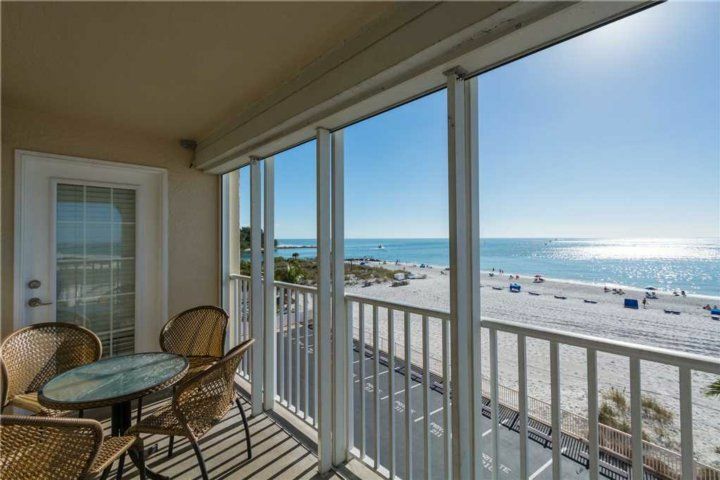 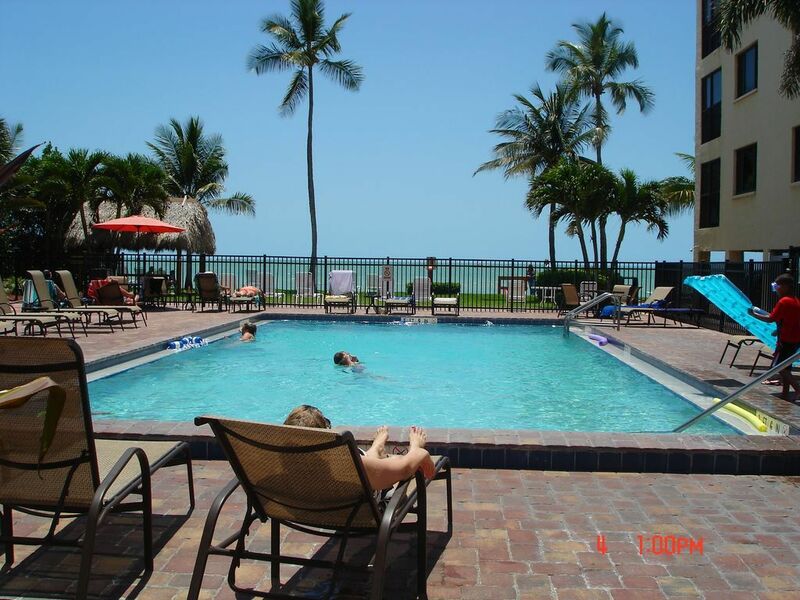 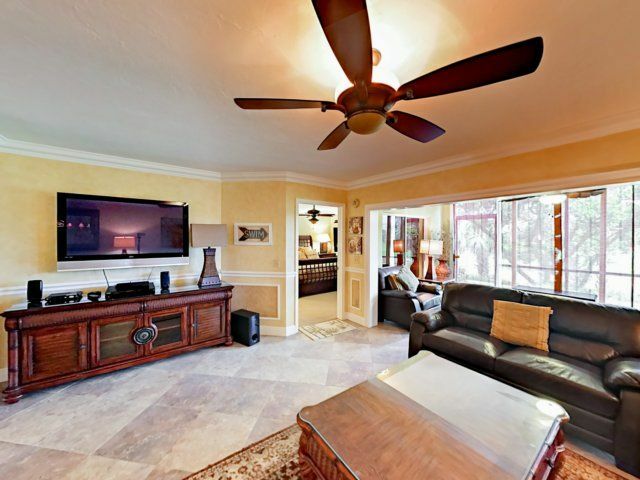 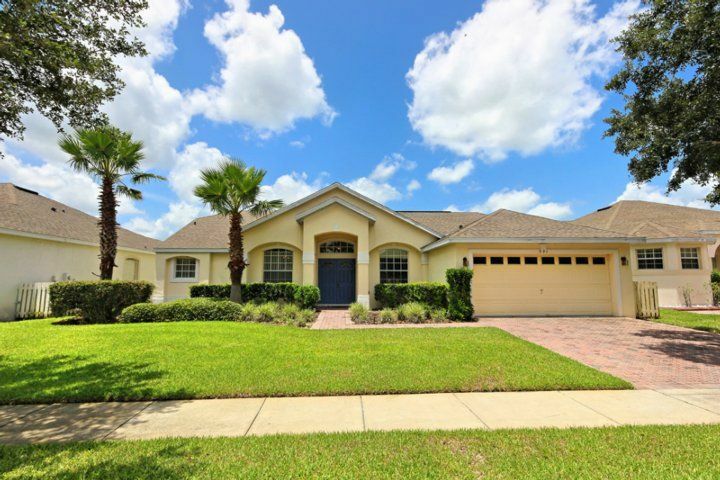 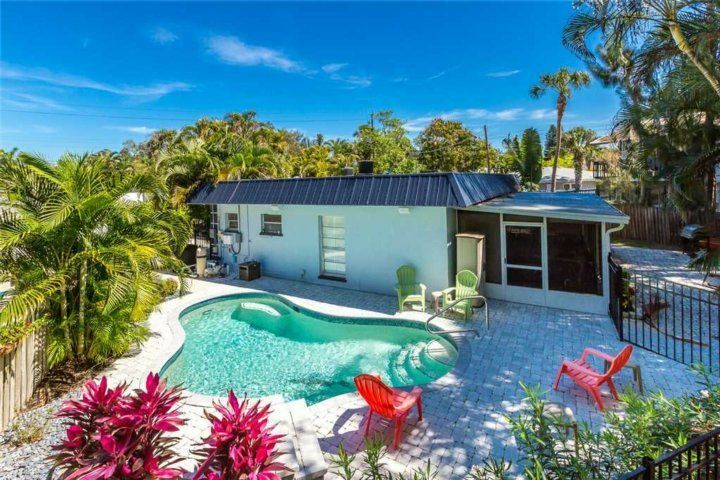 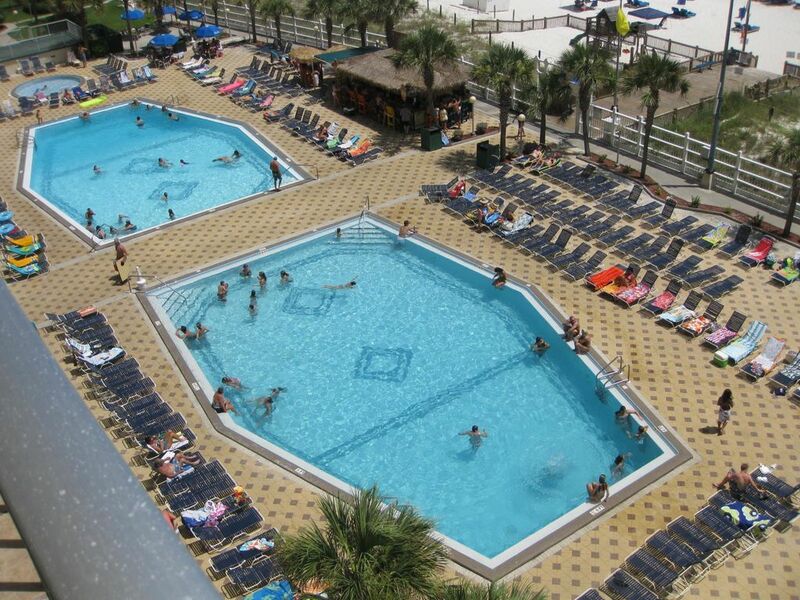 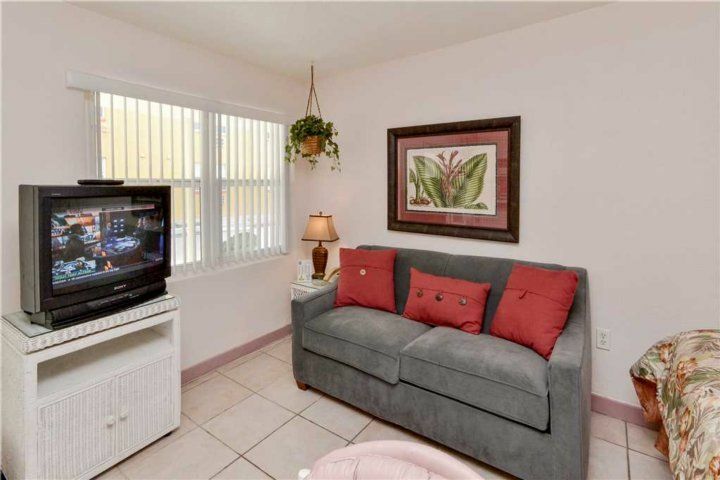 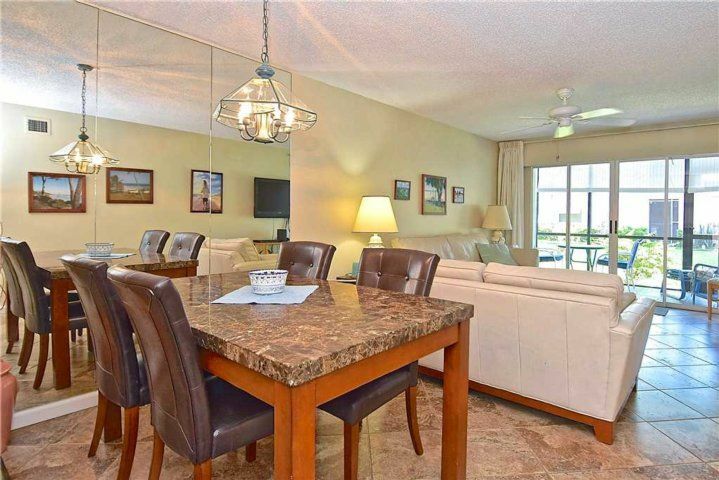 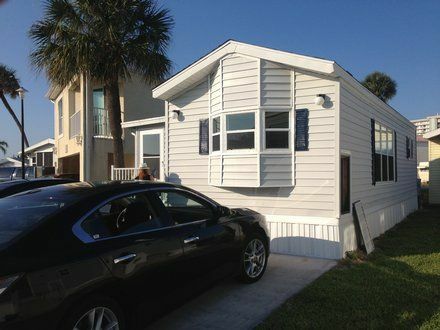 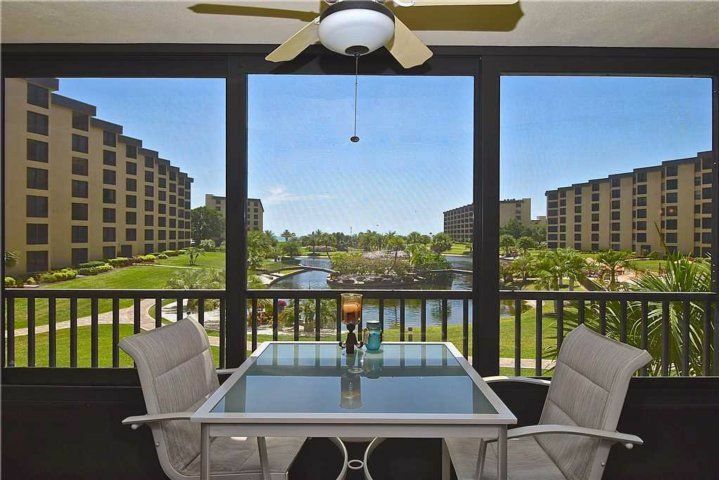 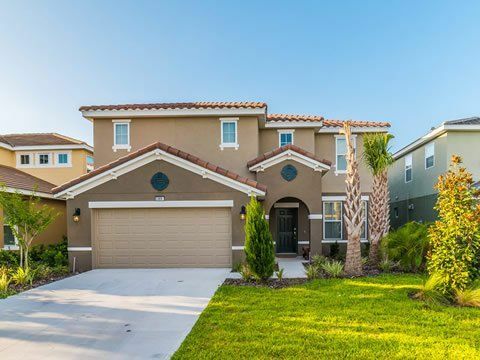 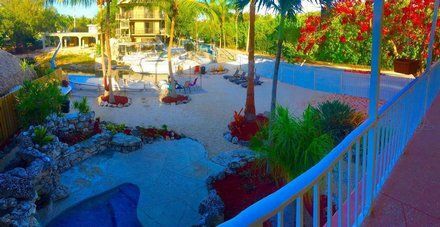 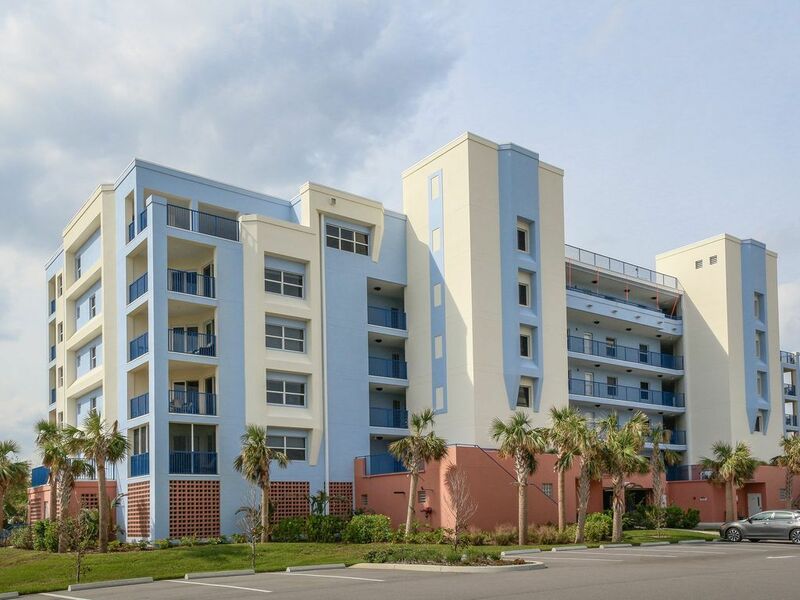 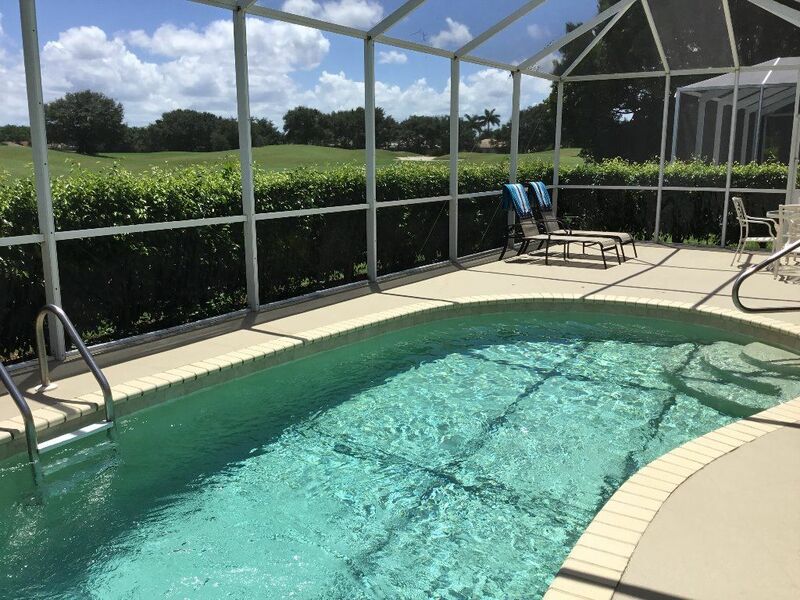 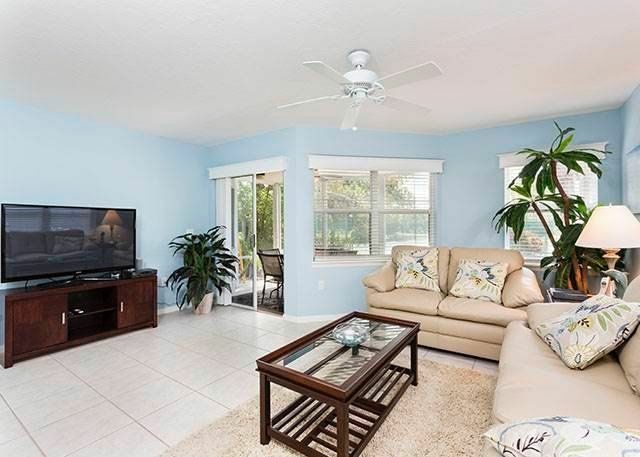 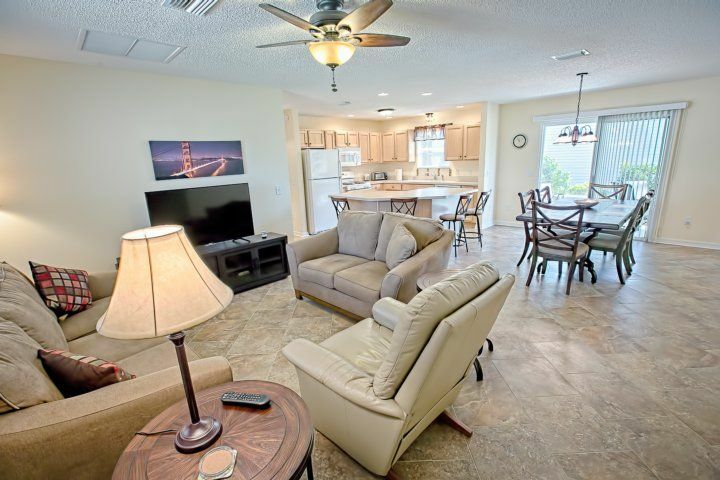 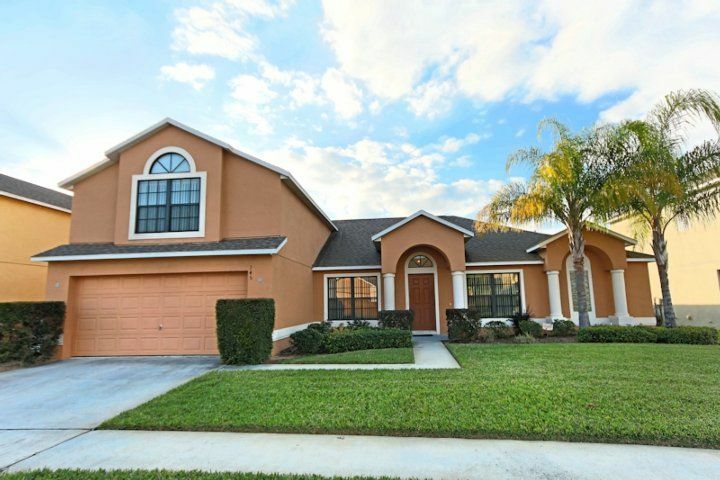 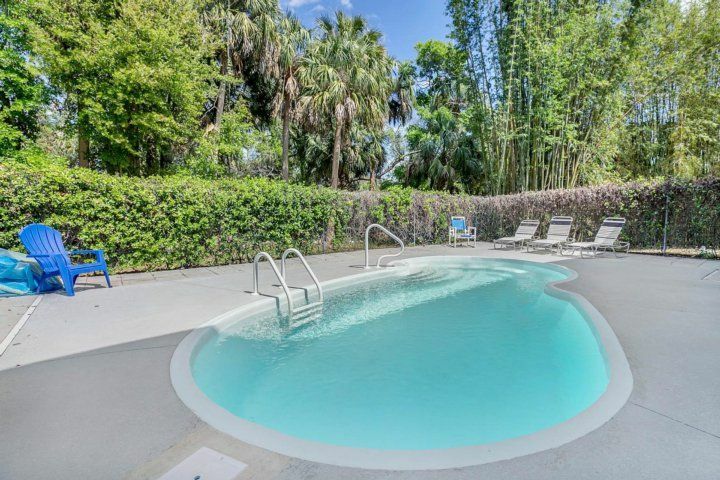 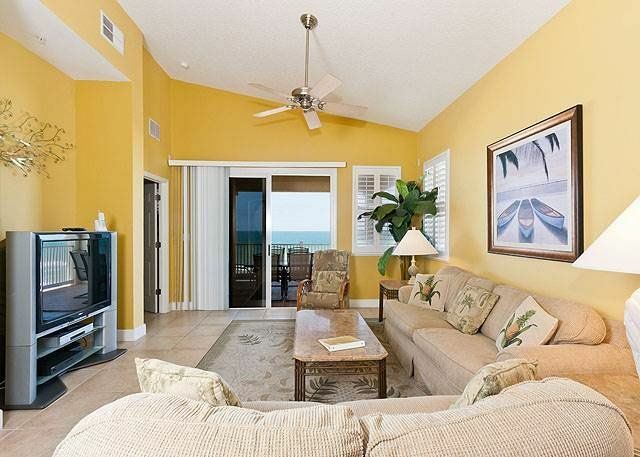 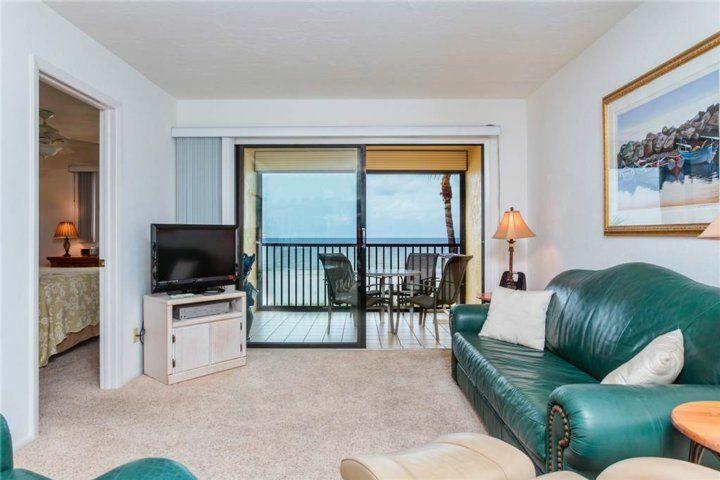 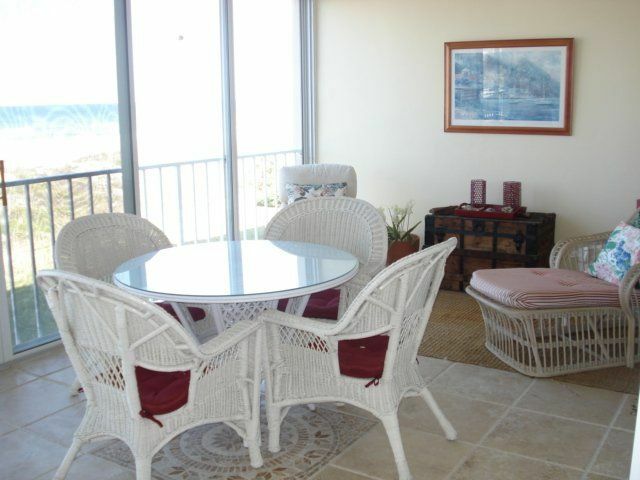 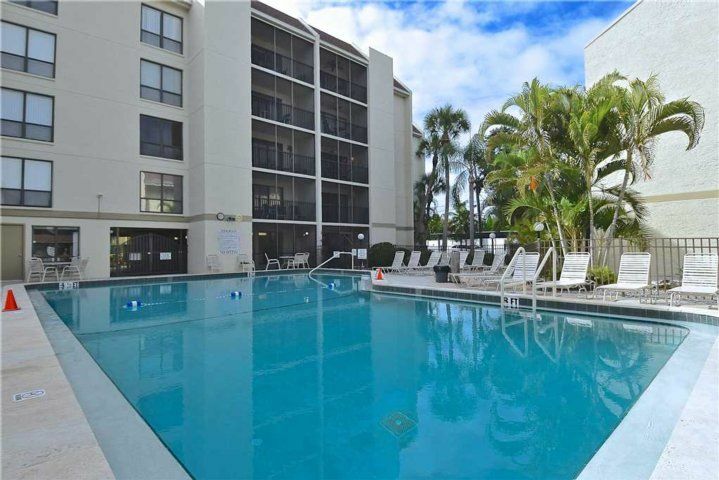 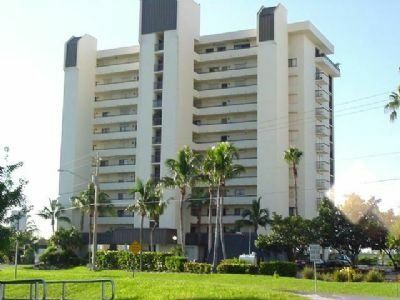 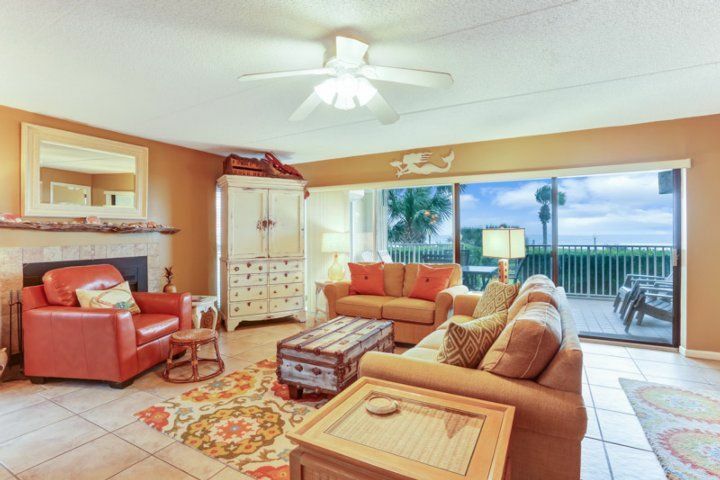 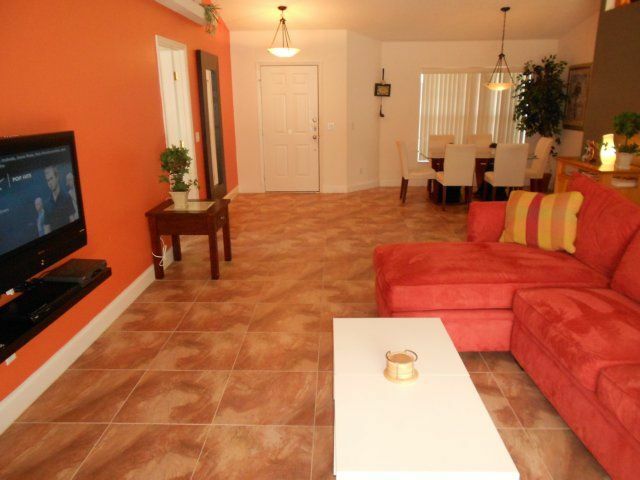 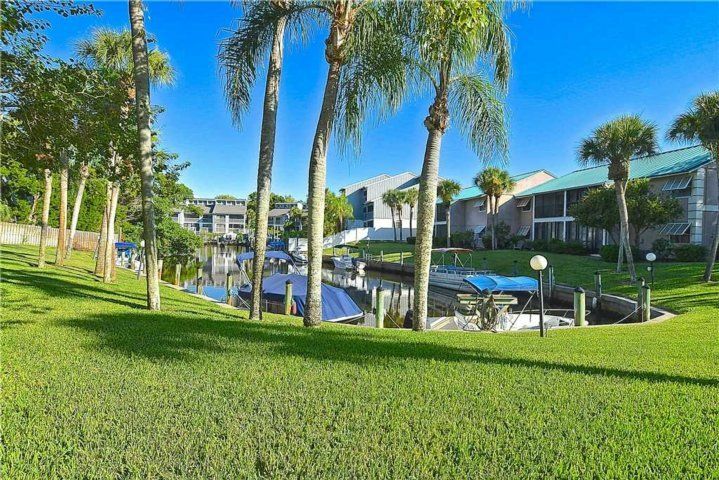 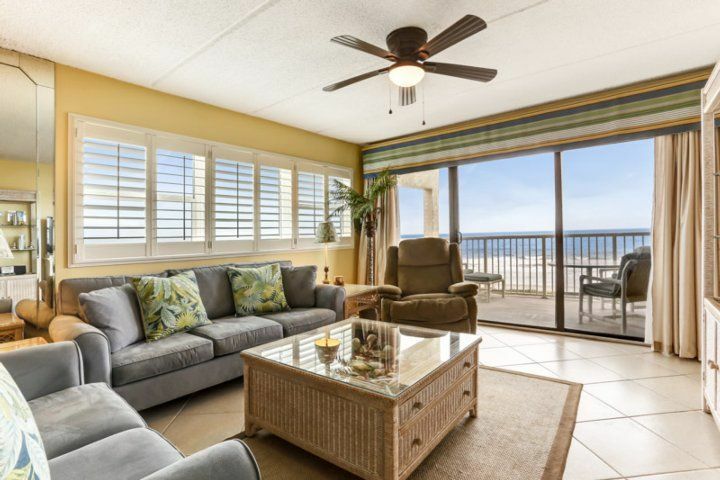 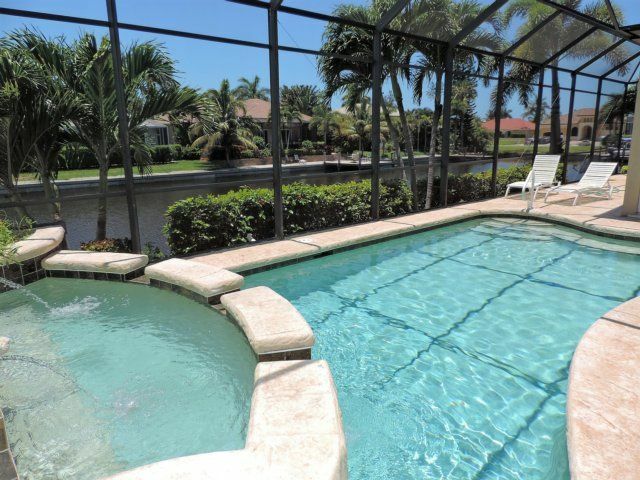 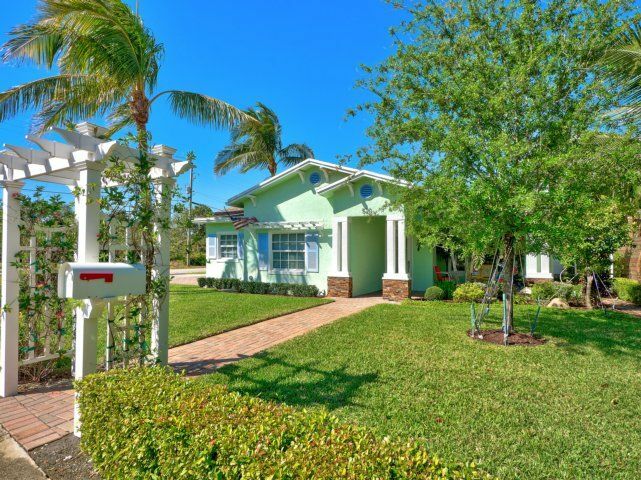 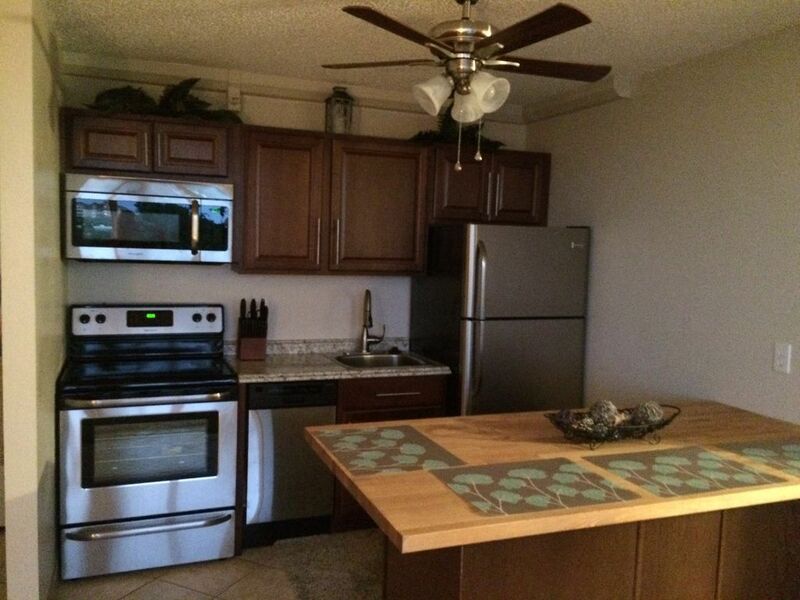 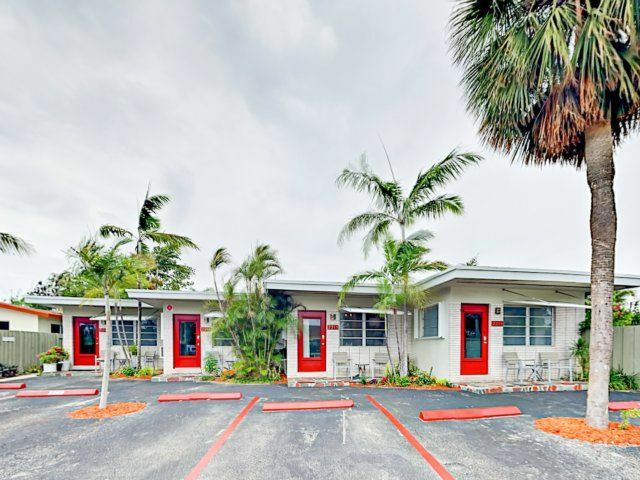 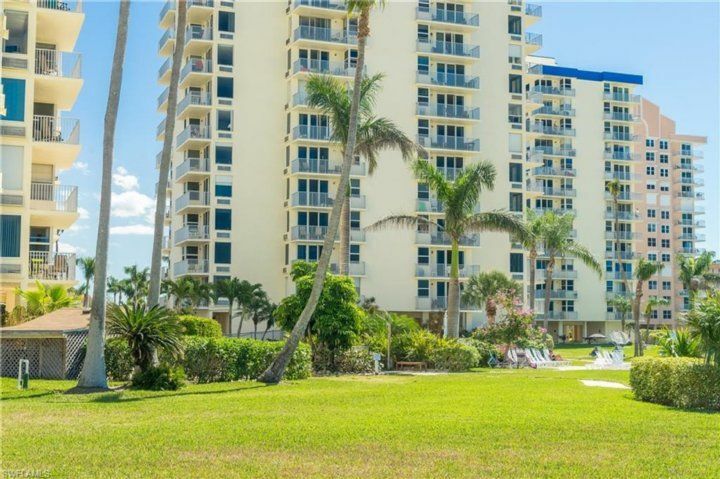 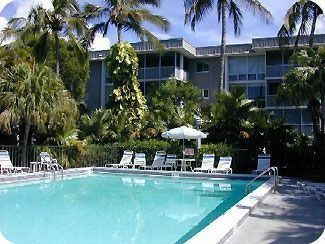 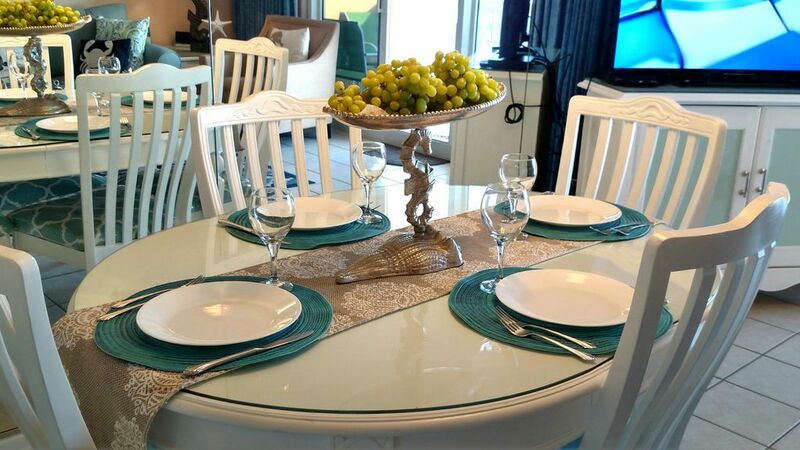 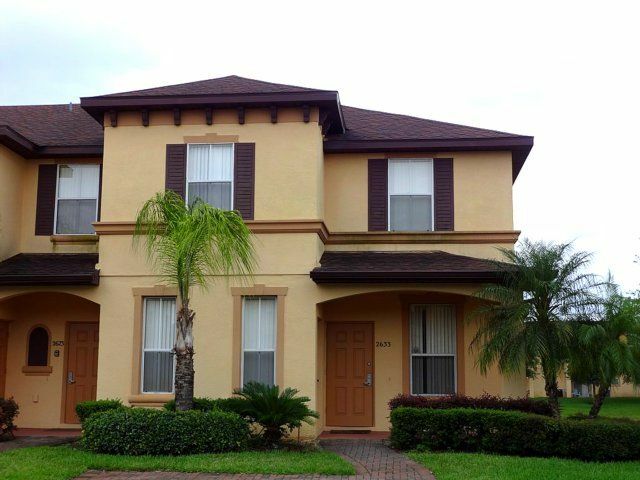 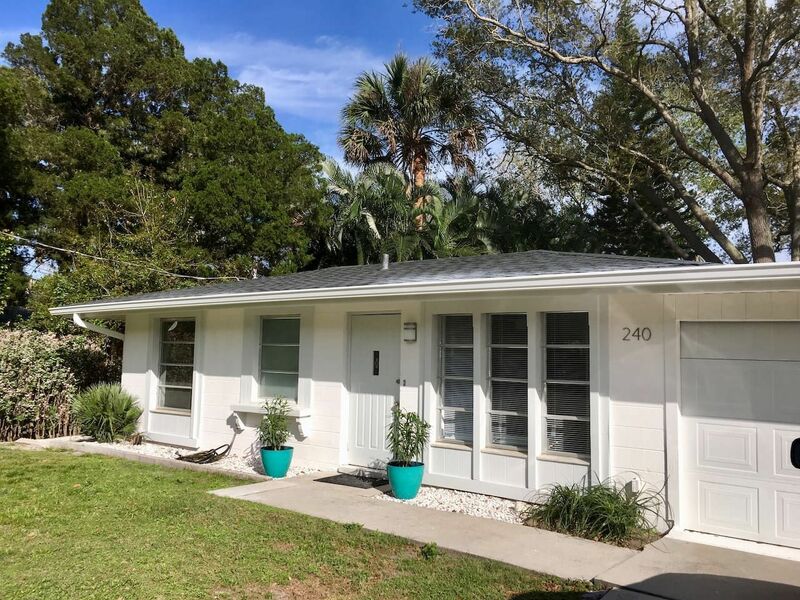 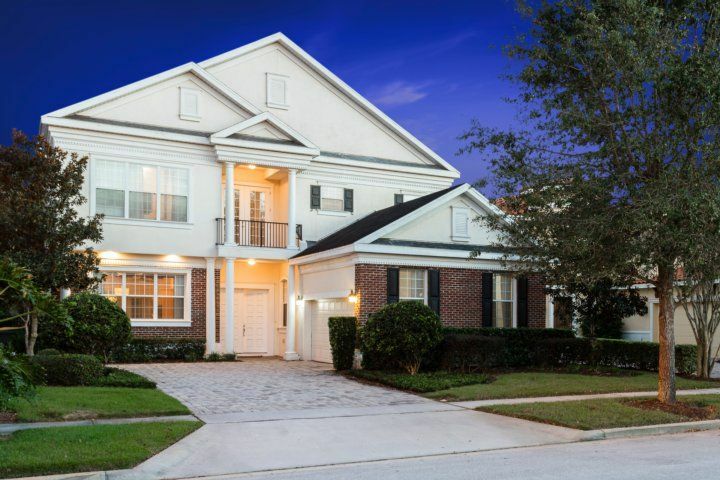 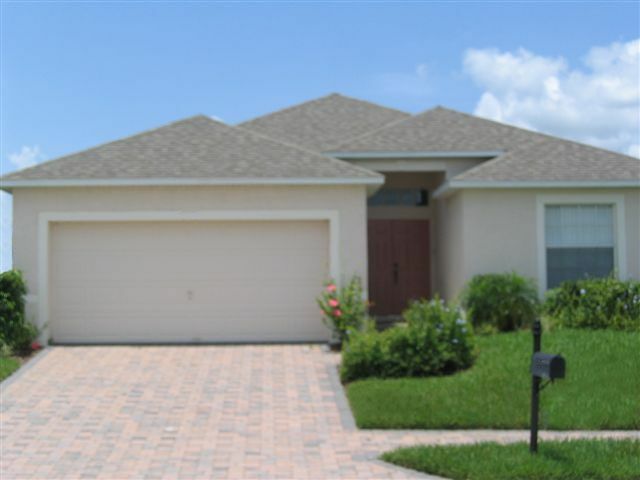 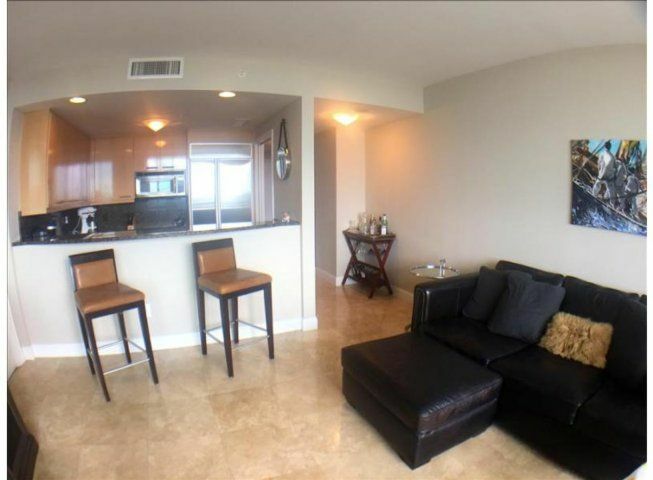 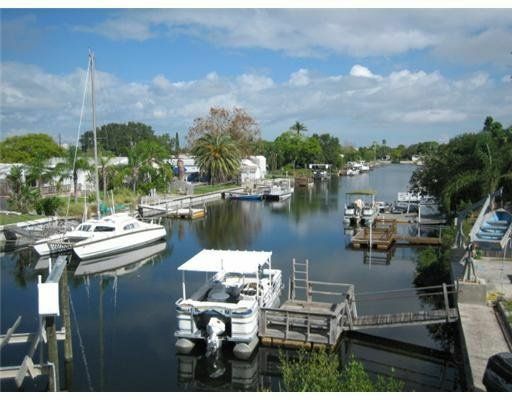 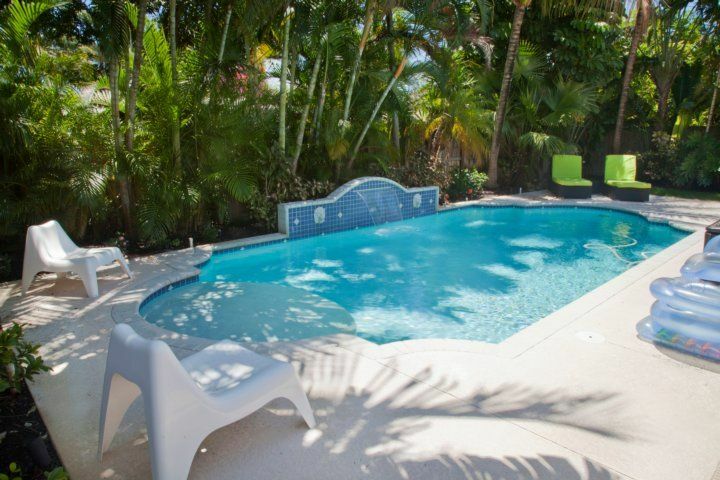 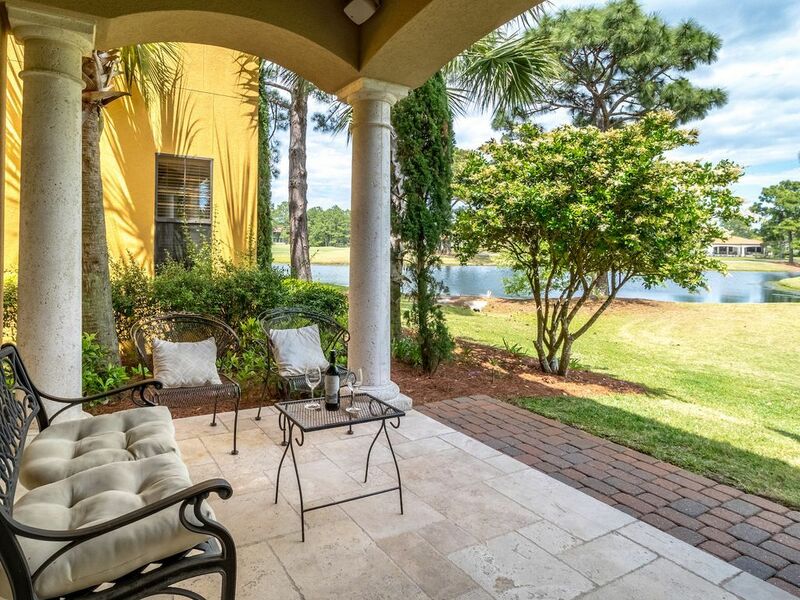 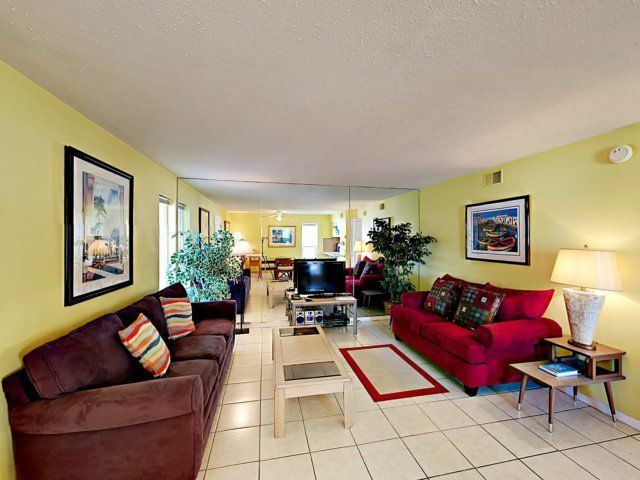 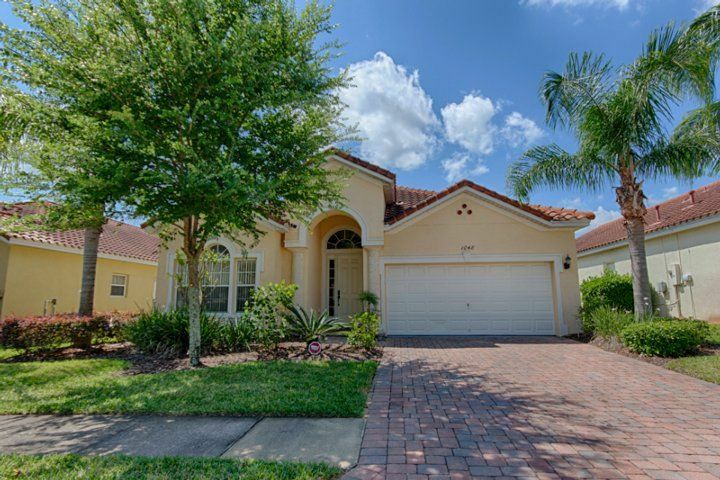 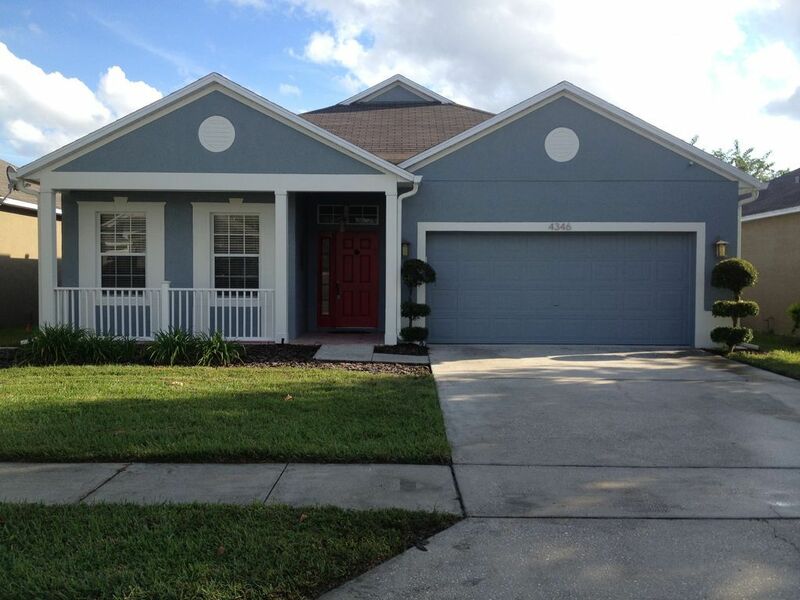 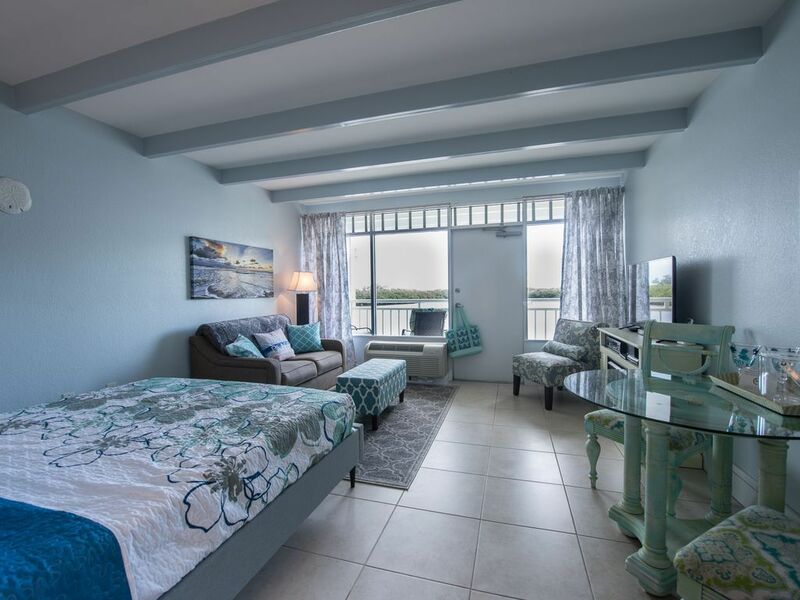 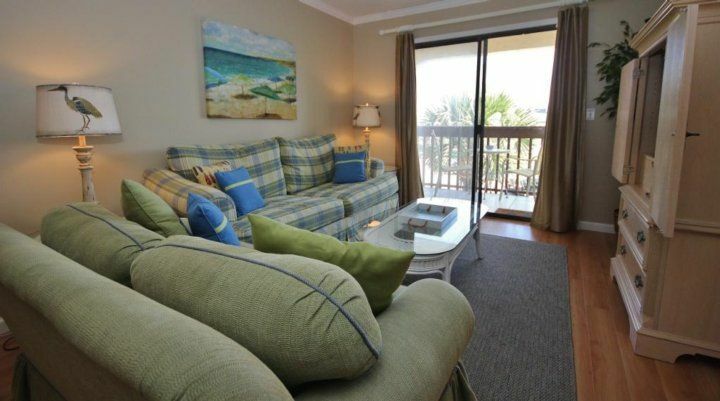 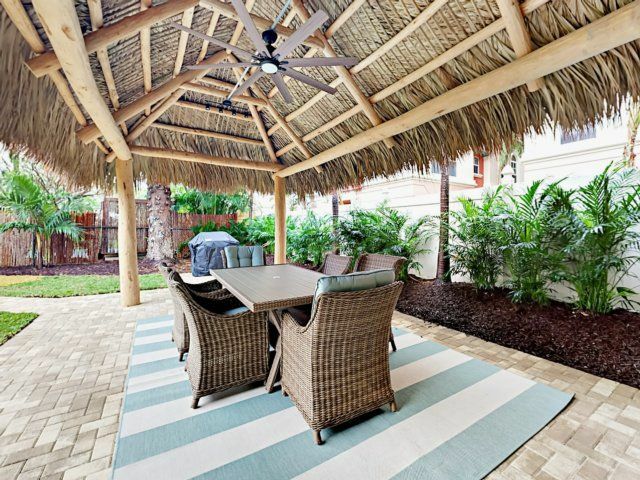 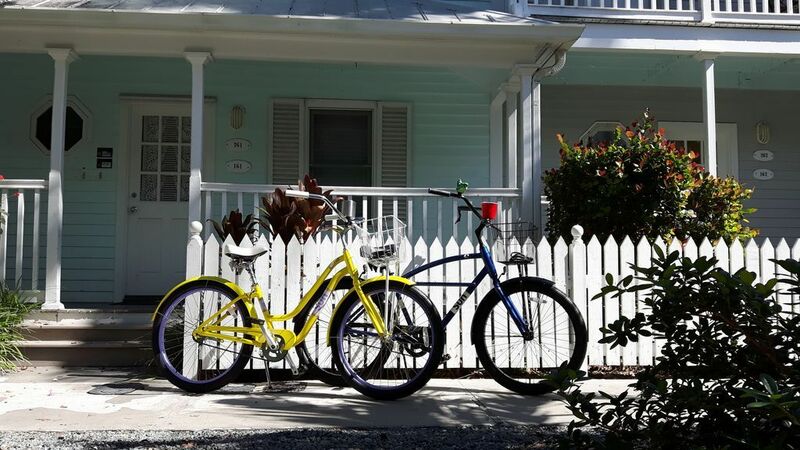 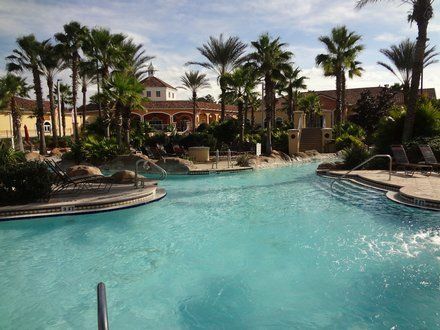 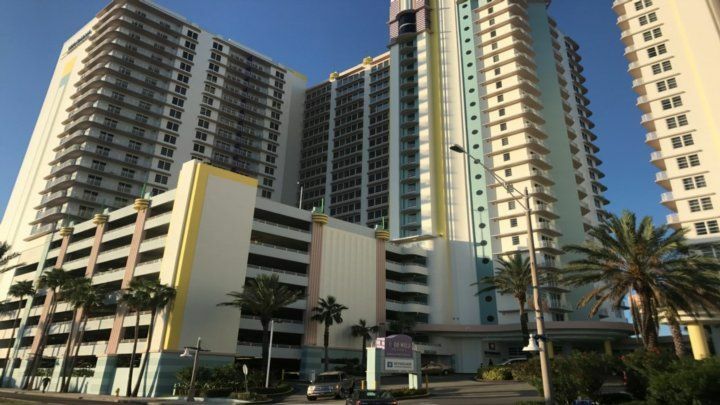 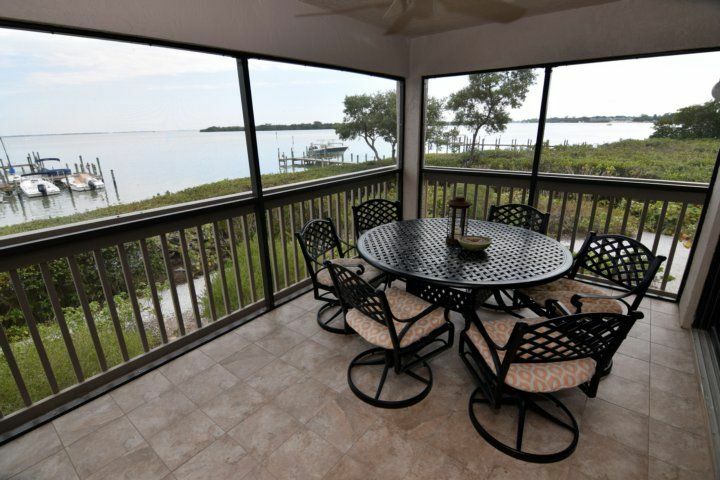 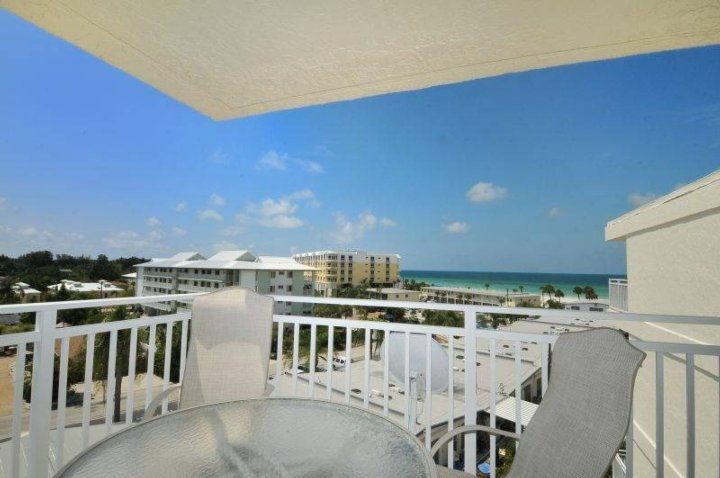 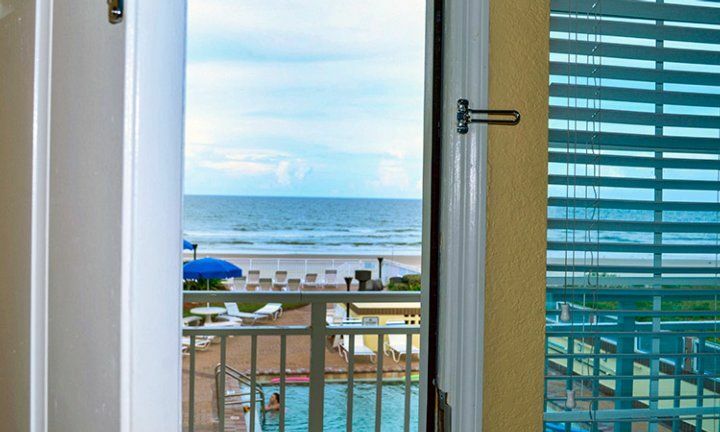 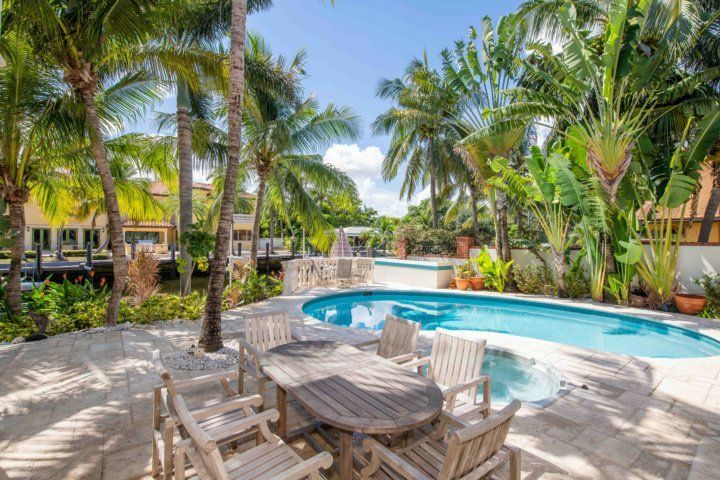 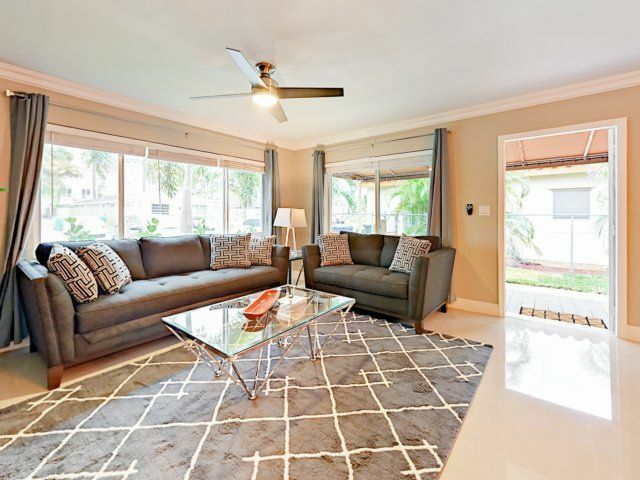 White Sands Village 205 is an ultra-relaxing nest for your Siesta Key vacation. 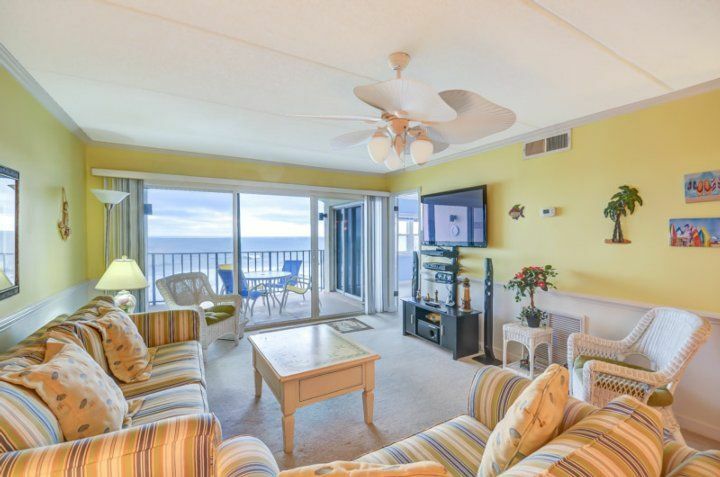 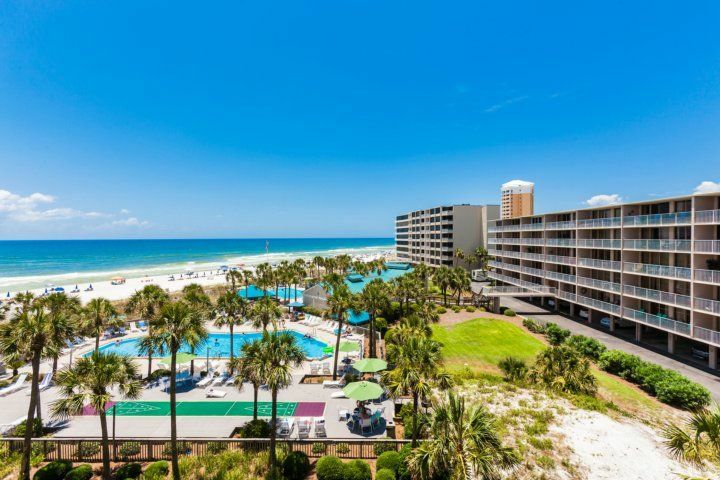 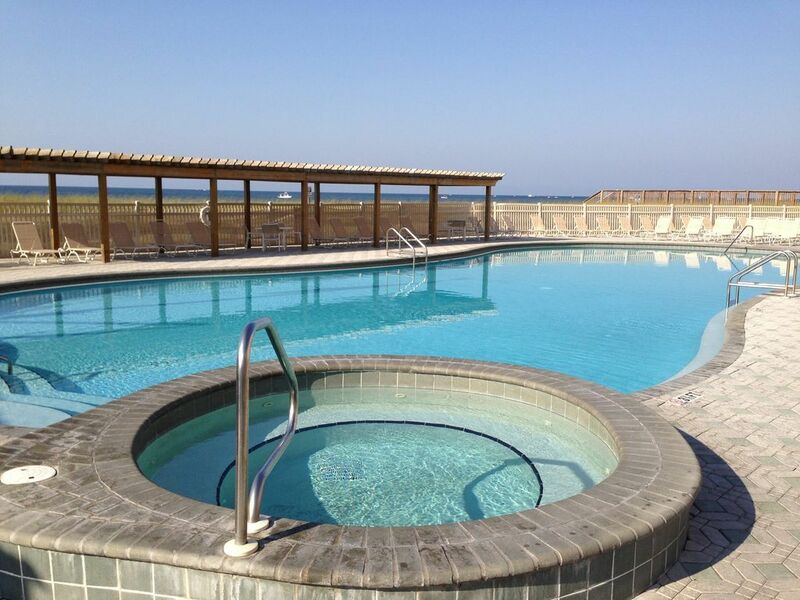 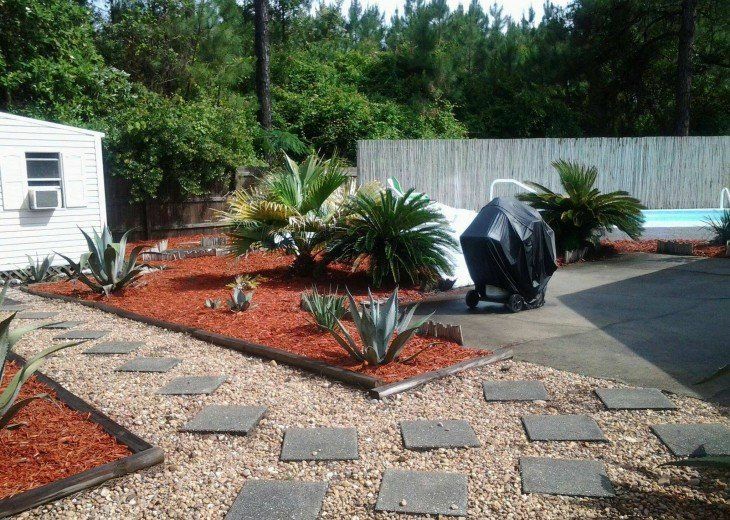 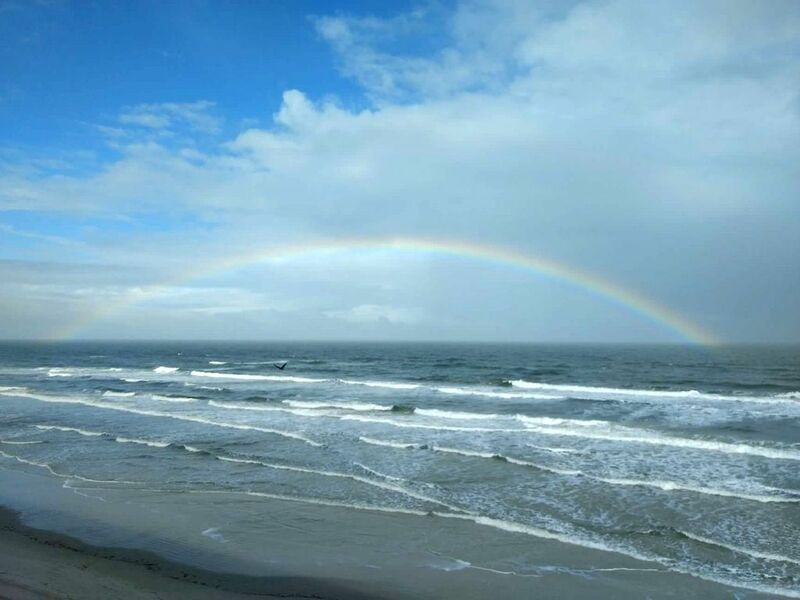 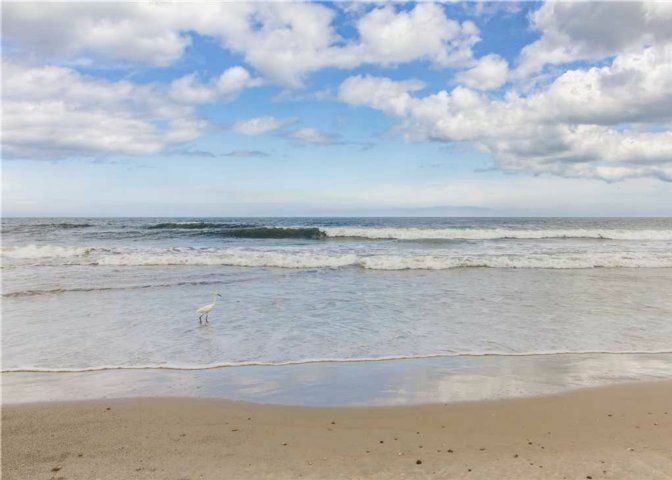 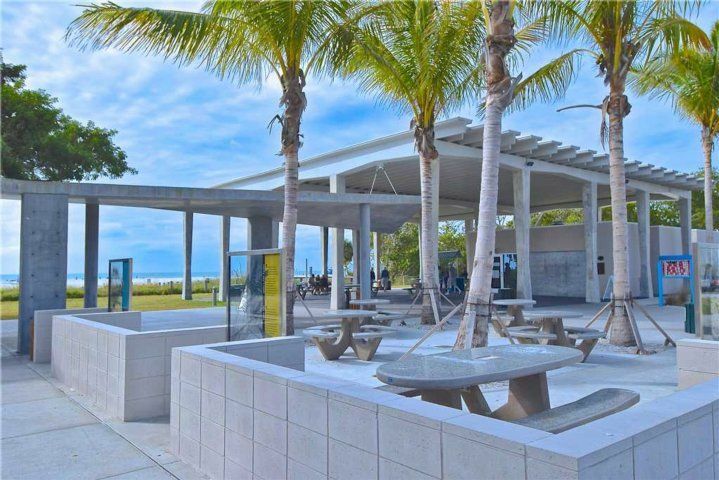 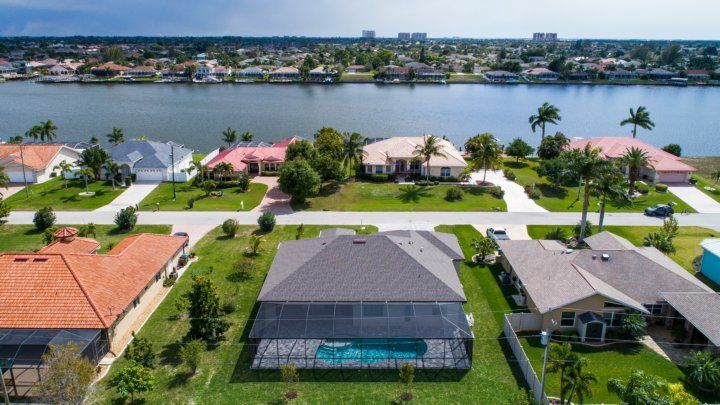 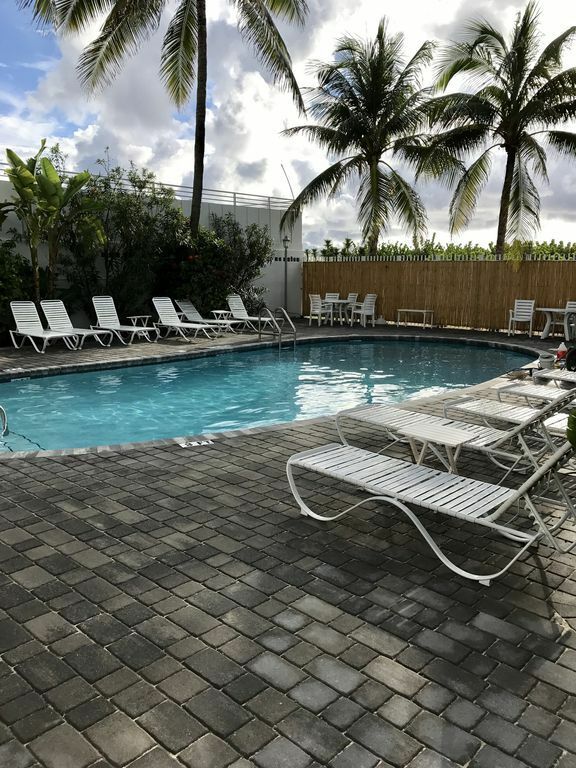 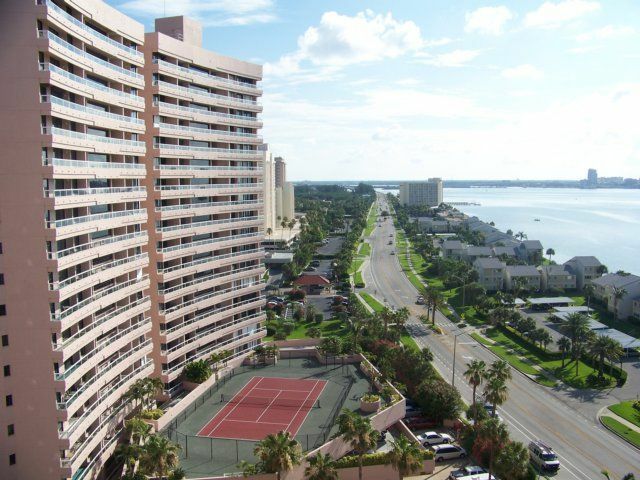 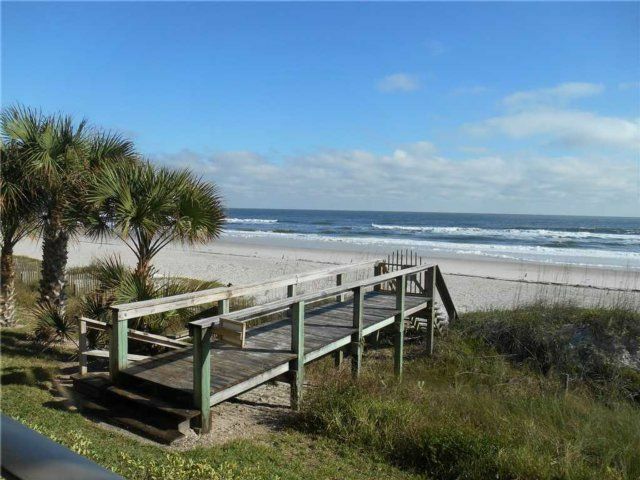 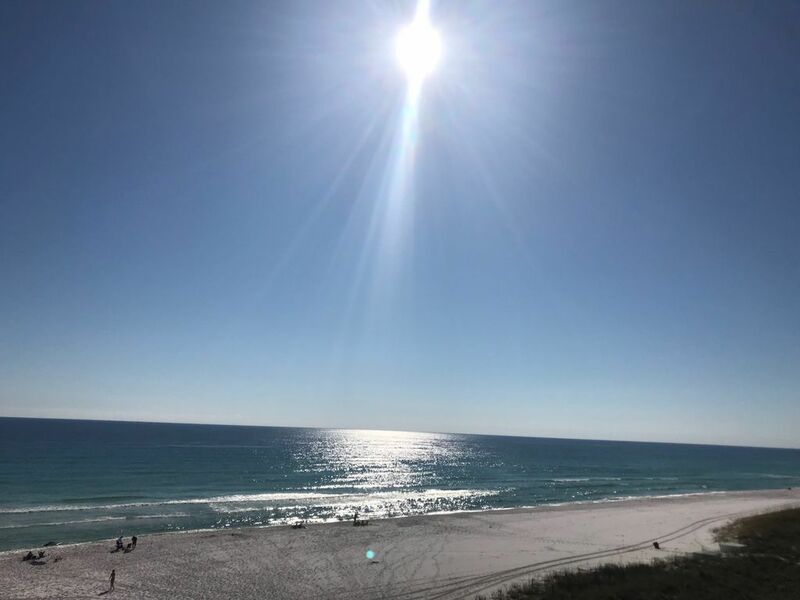 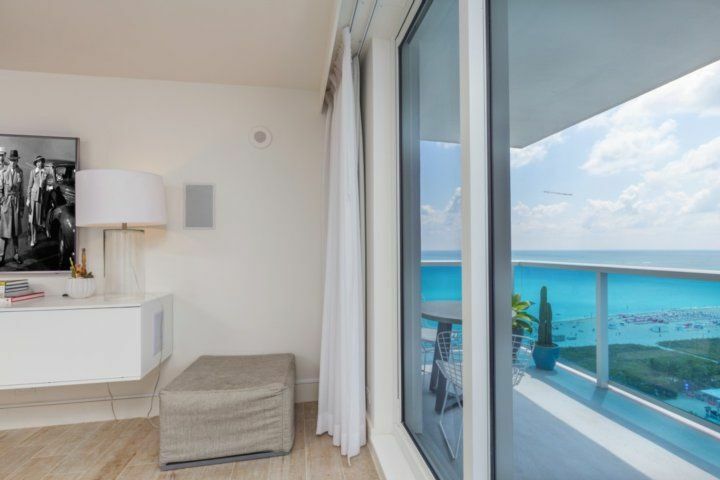 Sporting garden views and so convenient to the outdoor heated pool, grilling area, and boardwalk down to the beach, it's ideal for groups who like to take multiple dips in the ocean every day, or just stroll the sands at dawn and again at sunset. 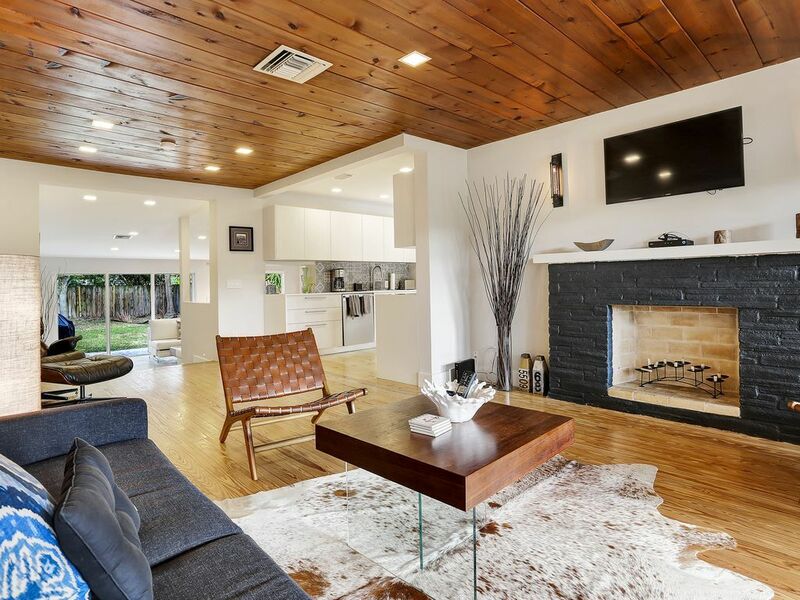 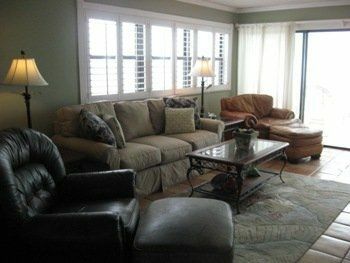 Everything is immaculate here, and this family setting is just ideal for making you feel right at home. 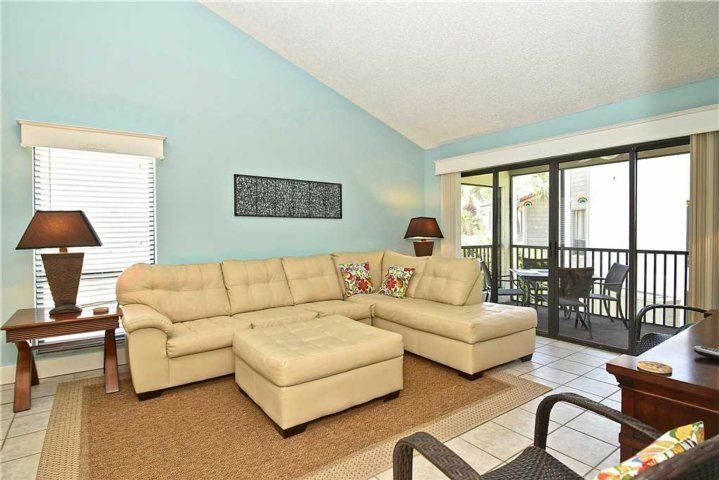 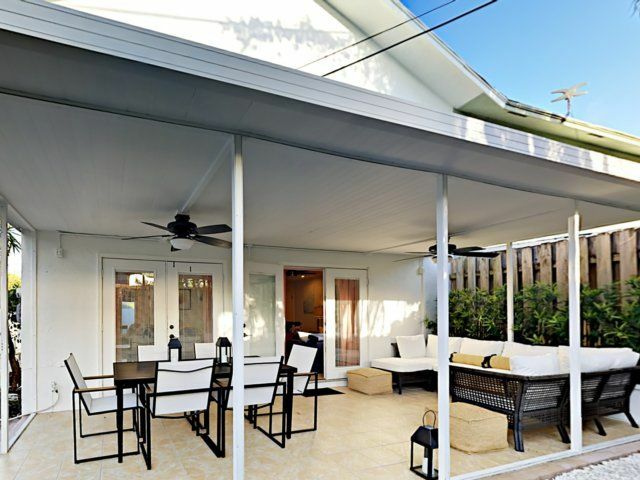 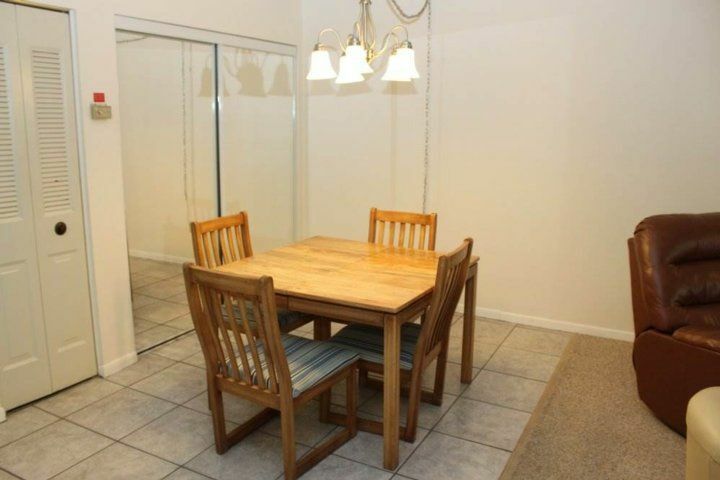 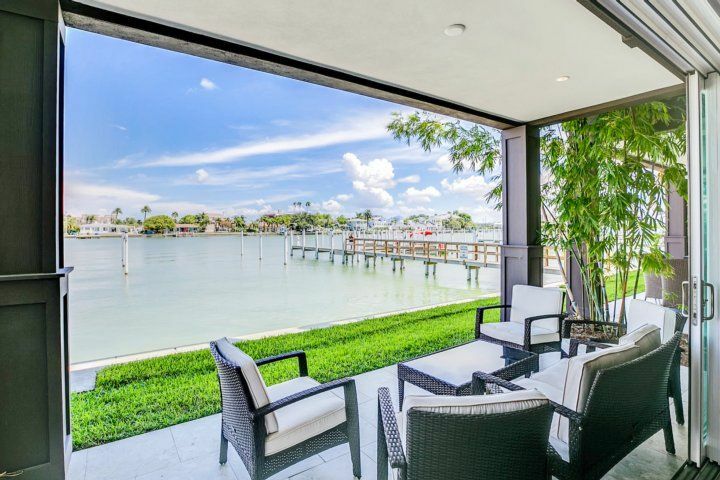 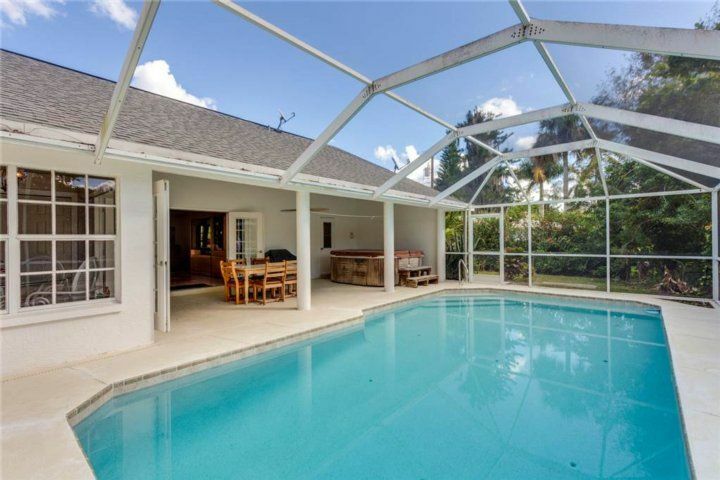 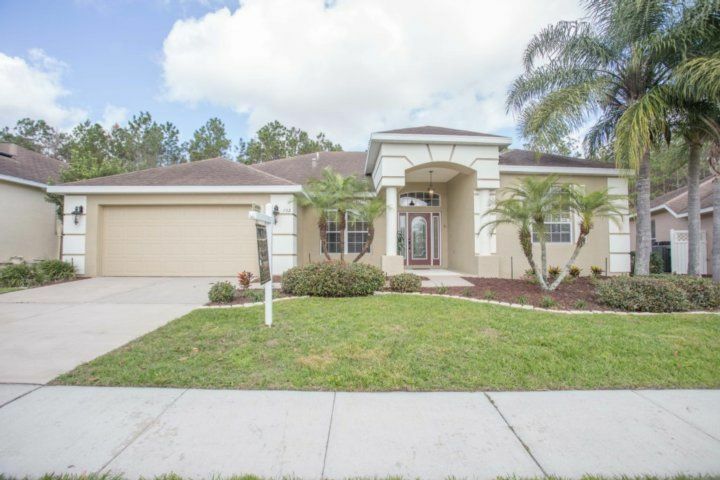 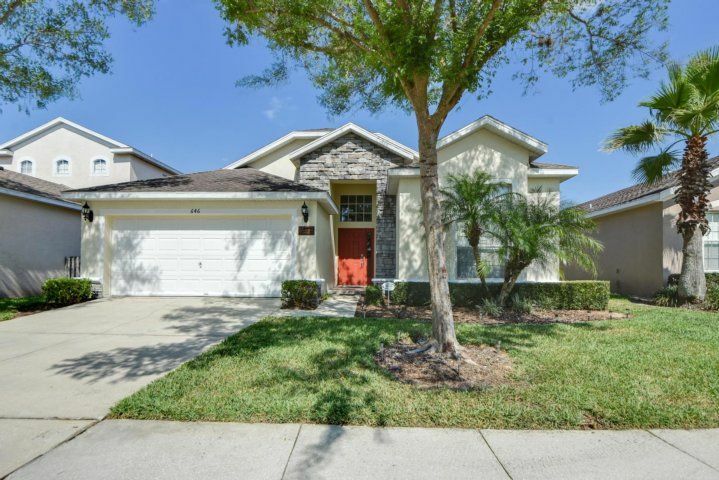 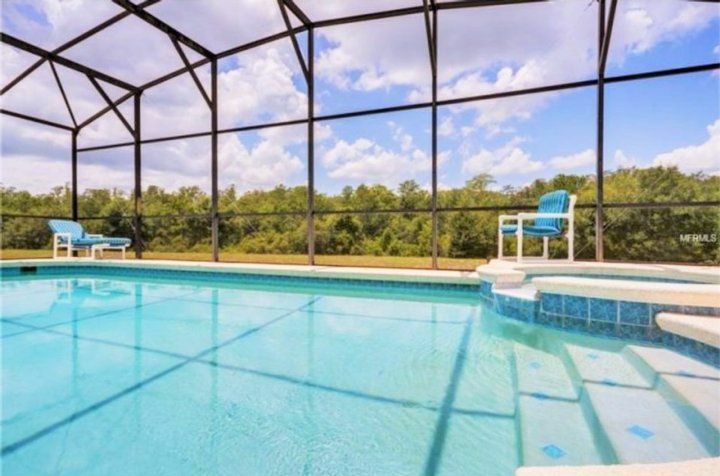 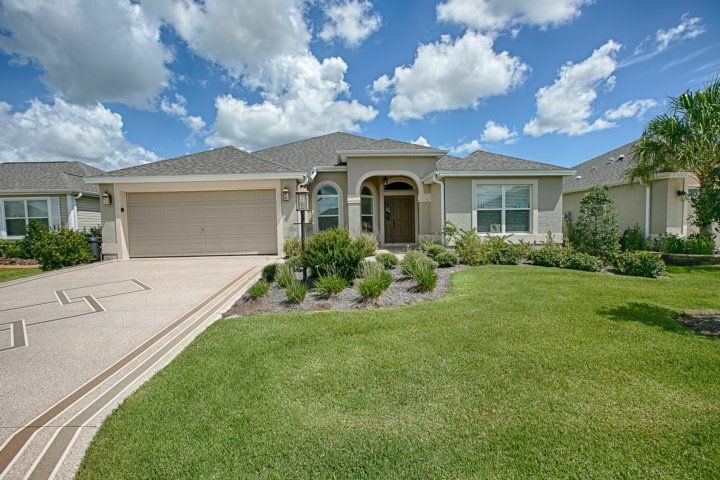 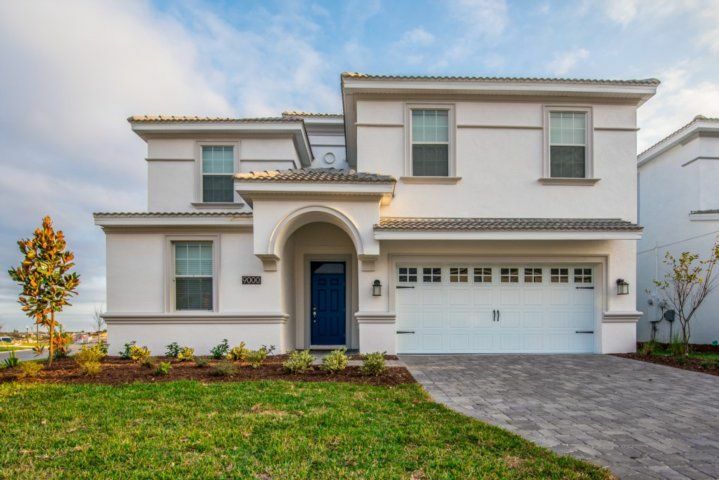 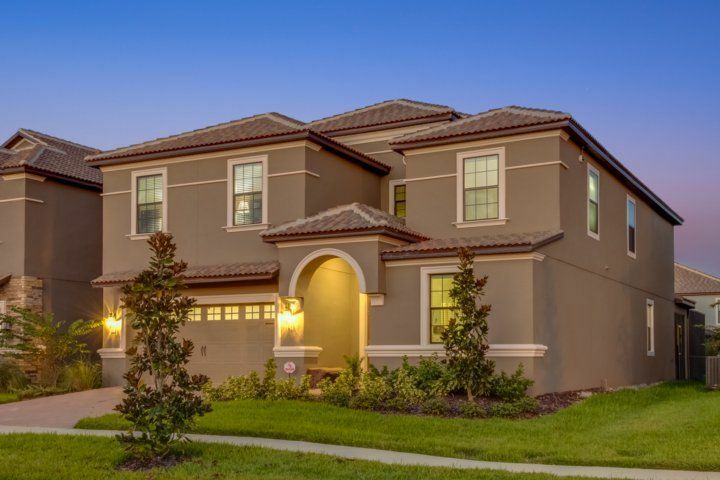 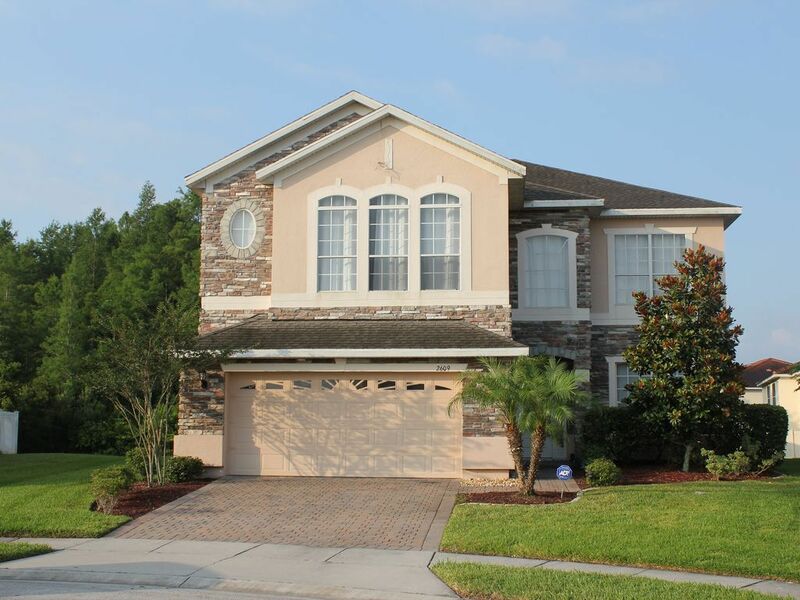 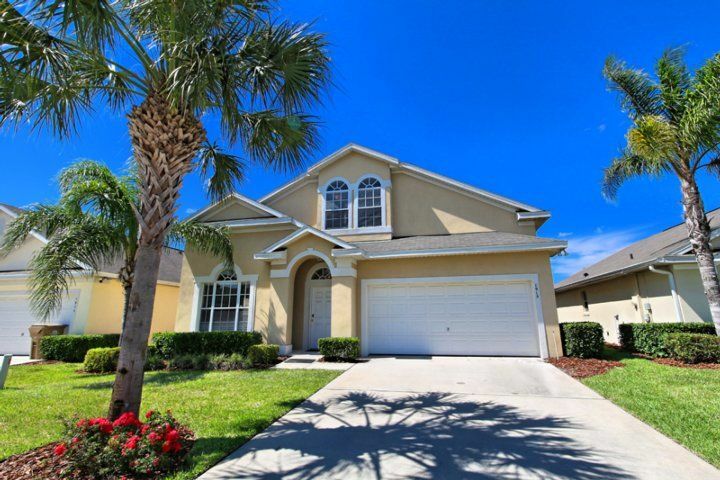 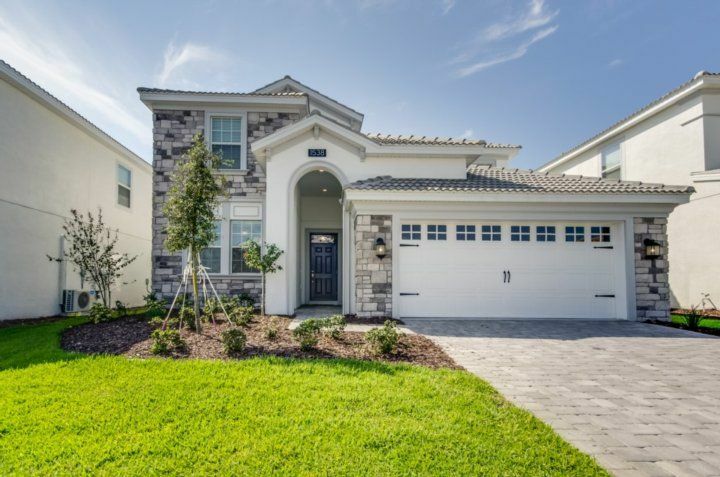 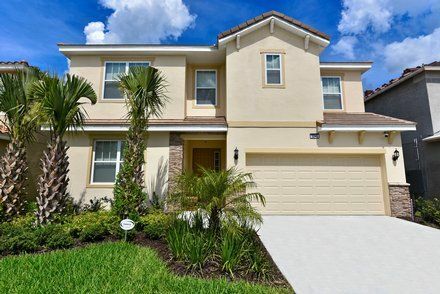 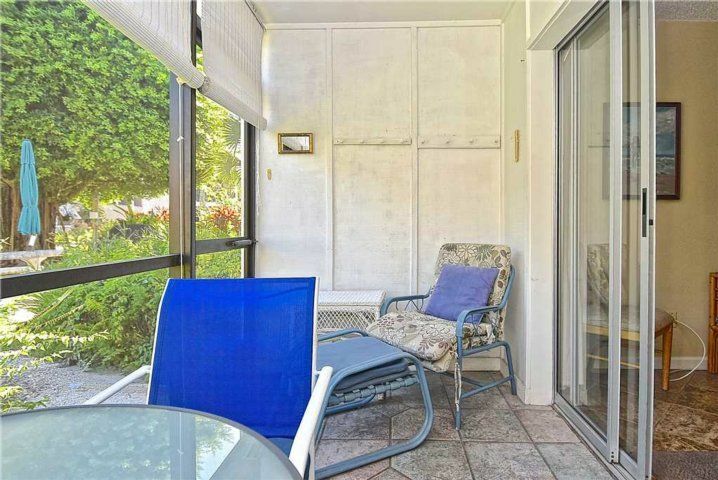 You will fall in love with the lanai, a screened-in patio off the living area with a door to the outside. 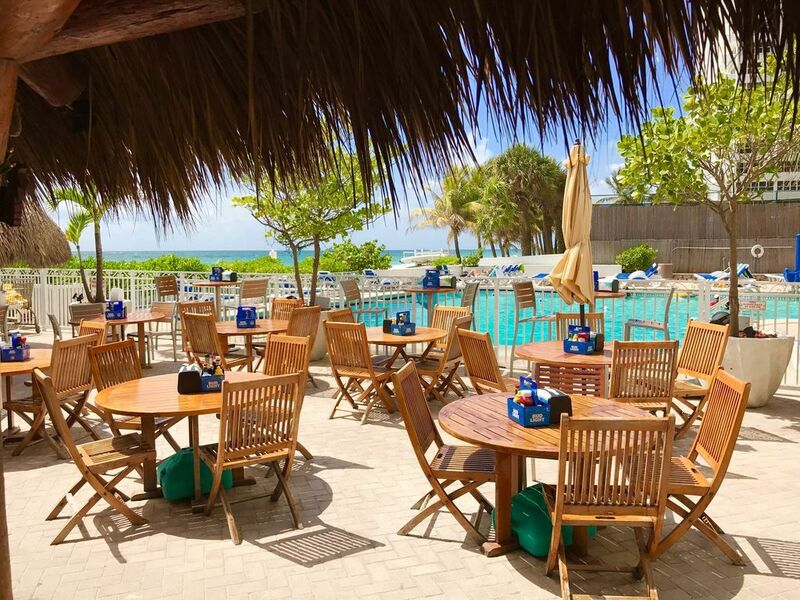 You can enjoy the balmy weather here without the bugs, and you may find yourself making excuses to bring meals, card games, and your laptop out to the bistro table and chairs. 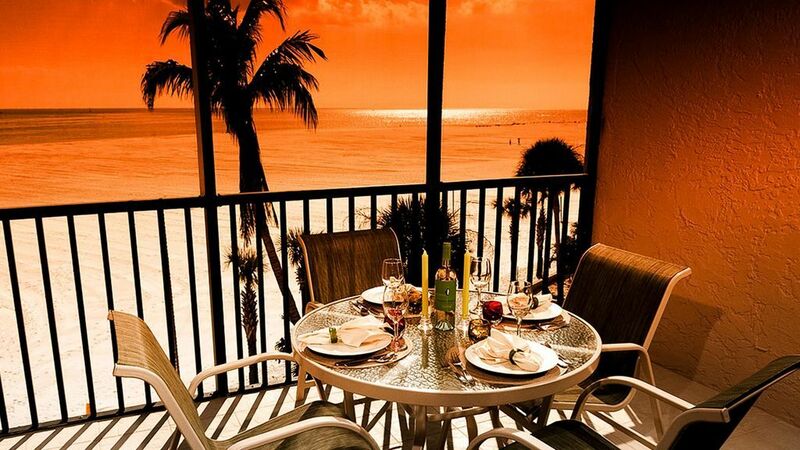 There's something so wonderful about being both indoors and out . 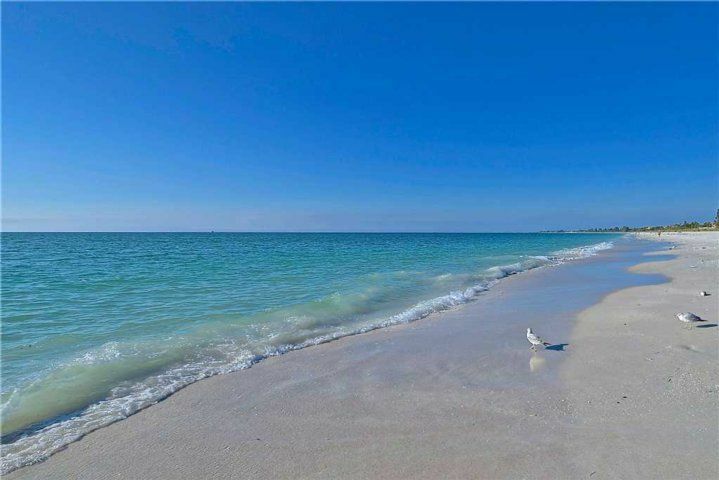 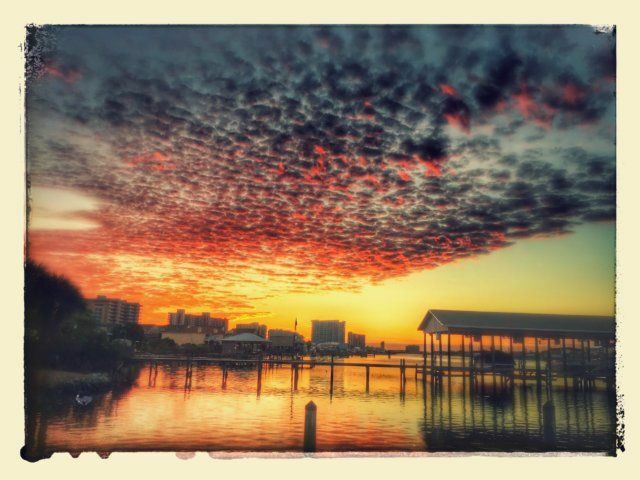 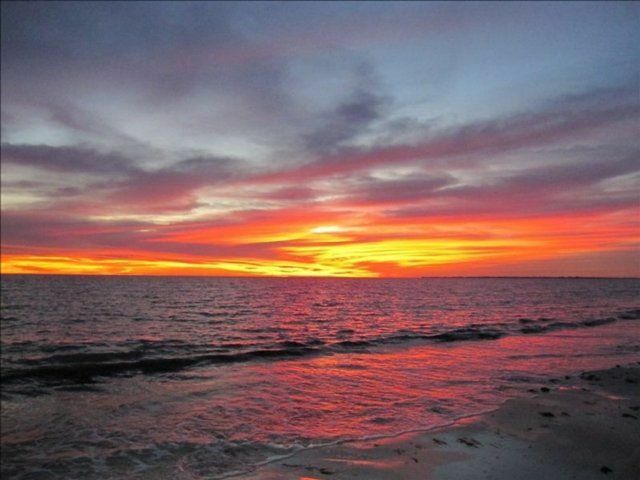 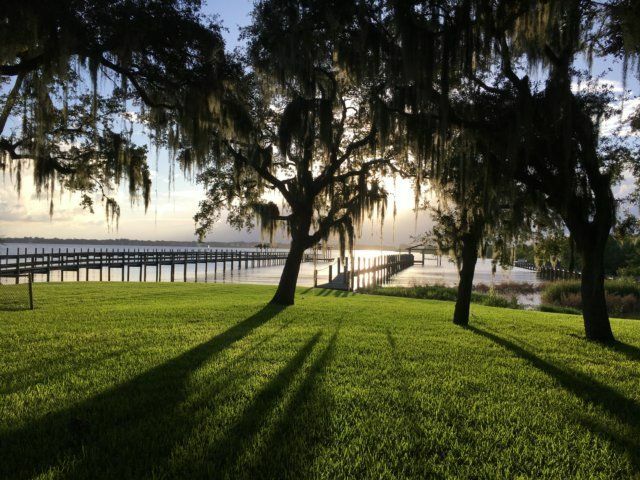 . . and Florida is one of the few places you can enjoy this feeling year-round! 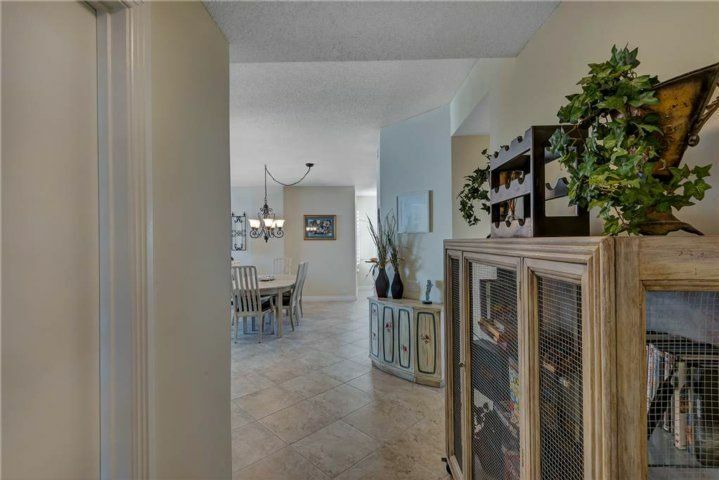 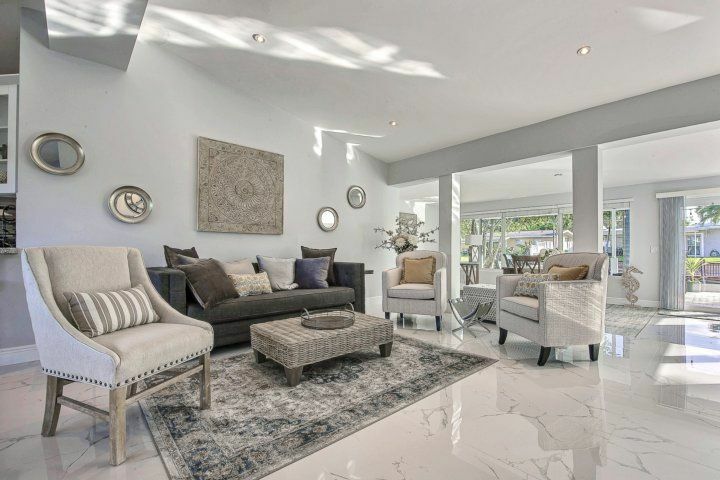 Slip back through the sliding-glass doors and enter the open-plan living and dining area, just right for your big group. 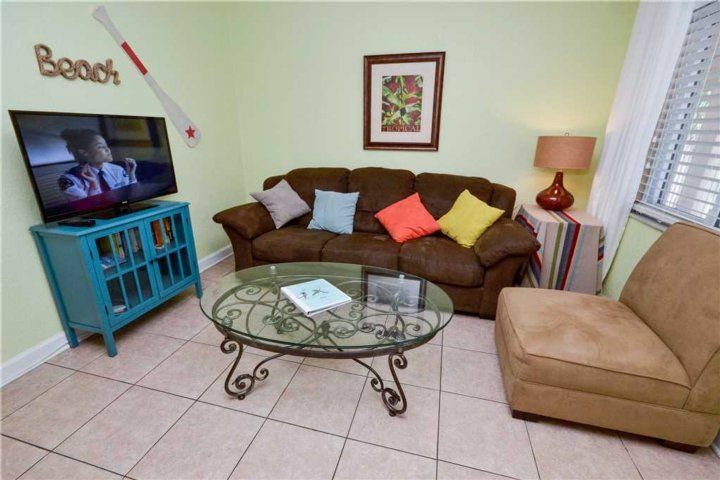 A large HDTV, complete with cable package, a DVD player, and even a CD player, await you here, with very comfy sofas pulled up around it. 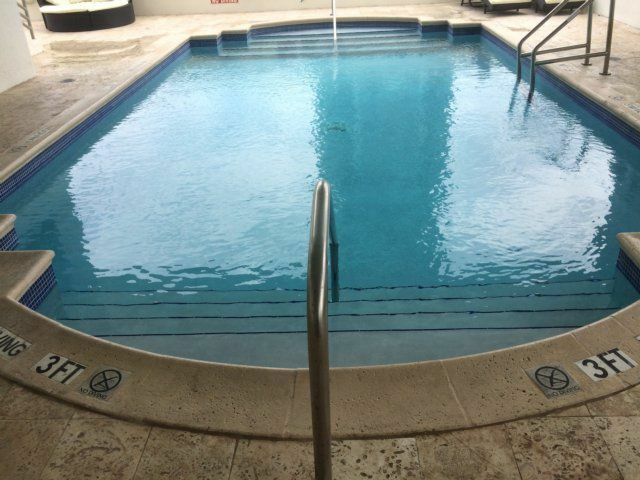 Warning: do not stretch out on these if you have anywhere you must go within the next few hours. 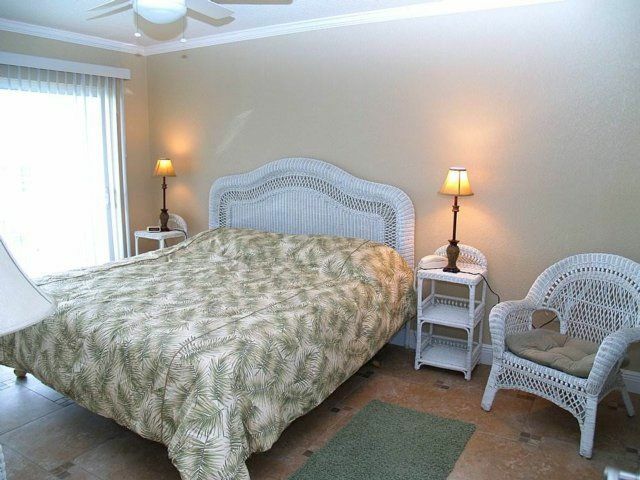 They are highly conducive to blissful napping! 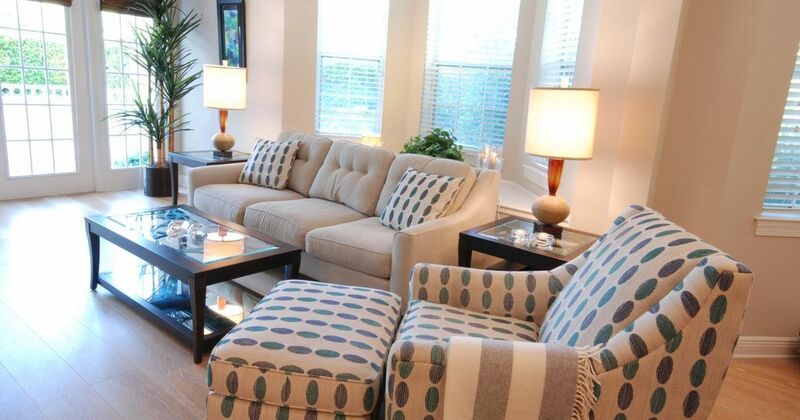 While part of your group watches a movie on TV, the others may want to break out the board games at the dining table. 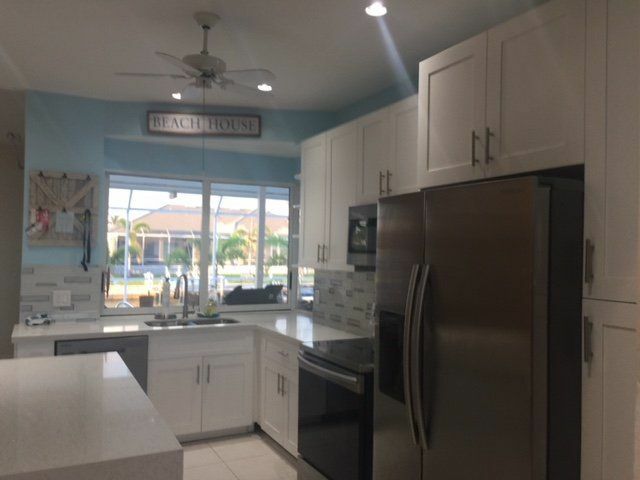 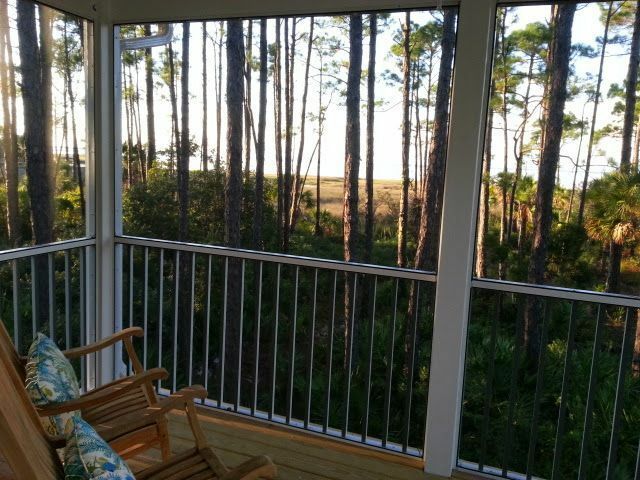 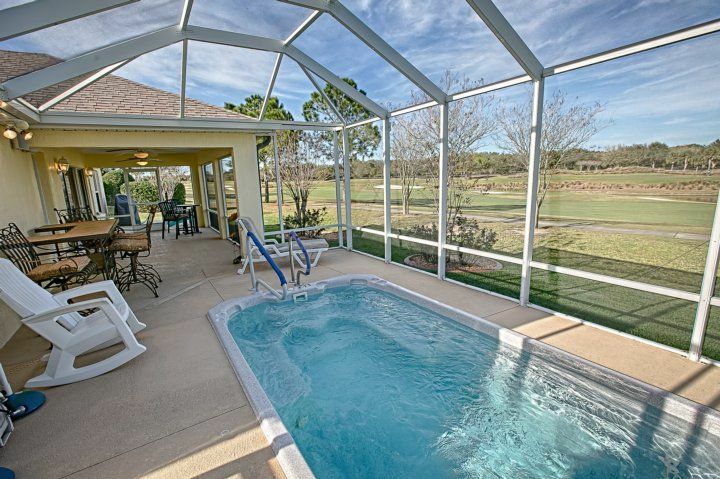 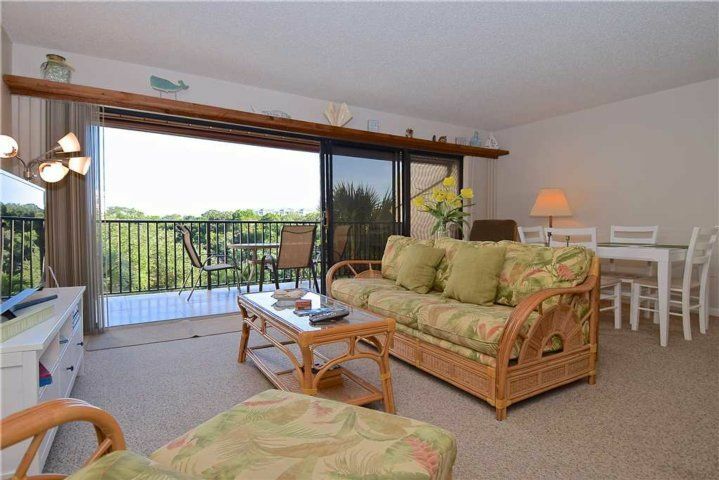 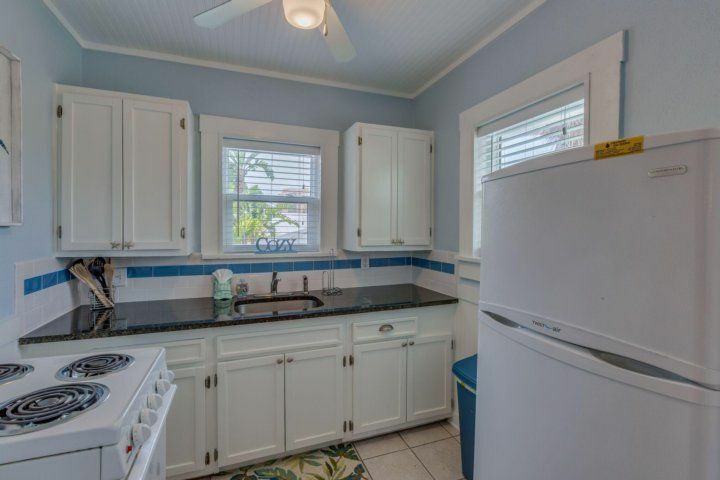 You'll love the way the view from the lanai just follows you indoors, clearly visible even from the kitchen. 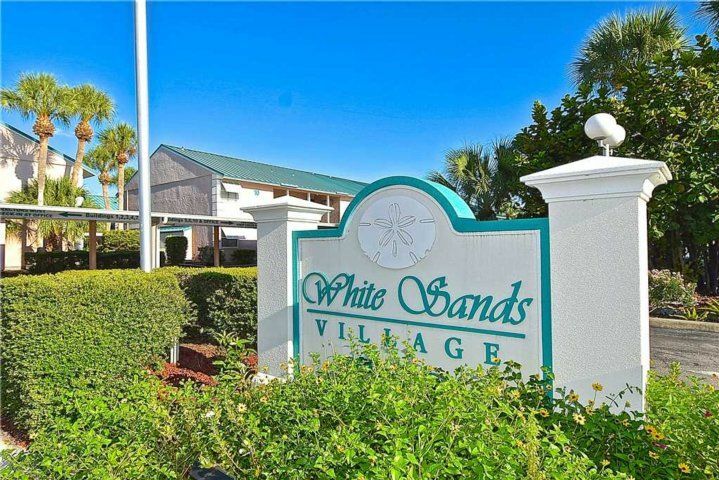 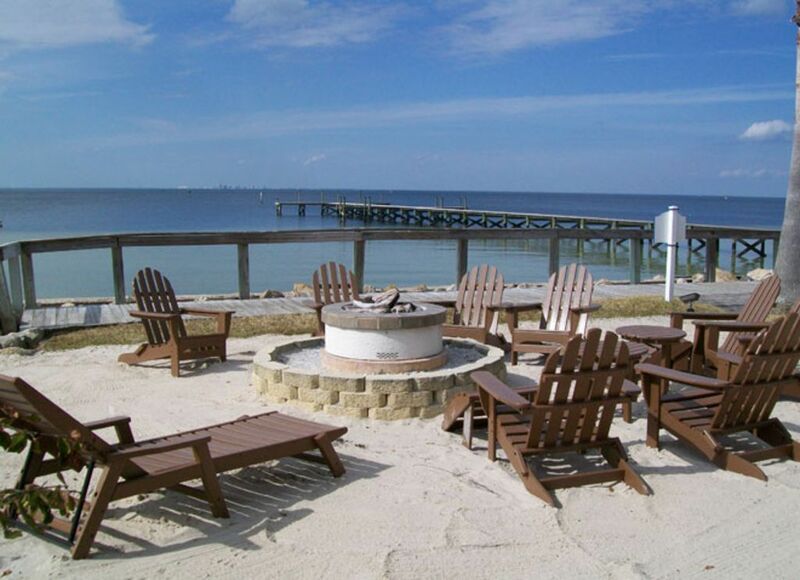 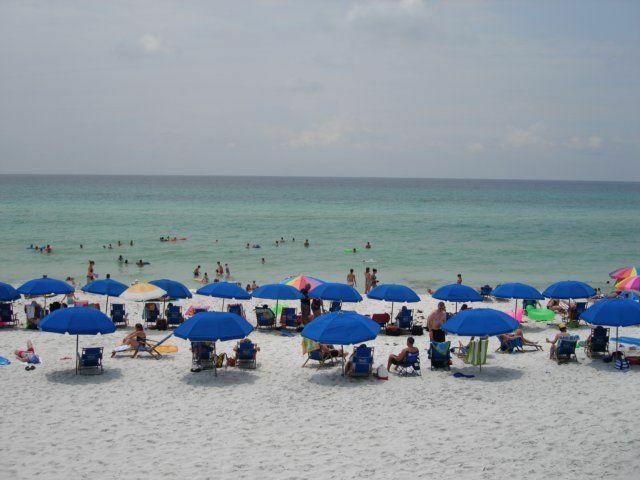 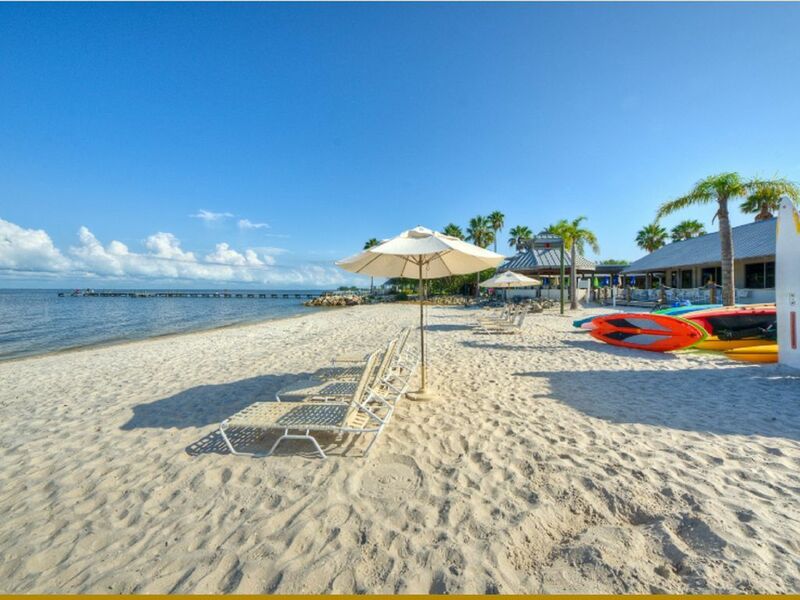 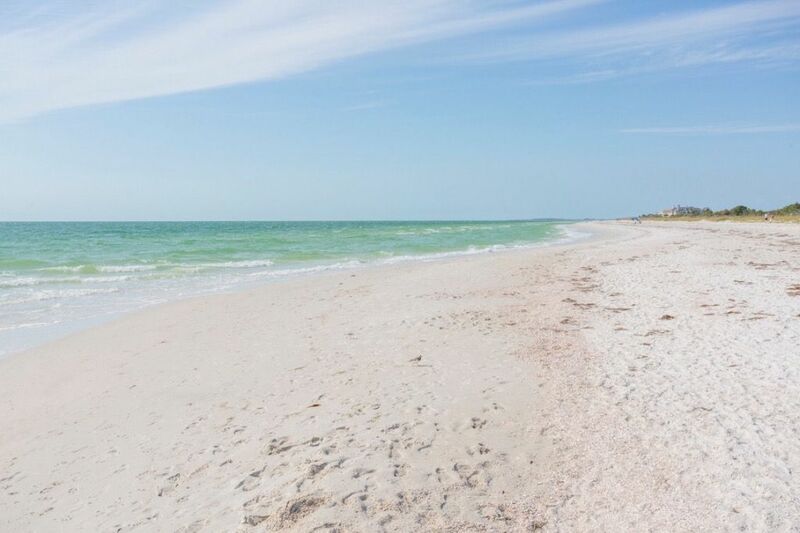 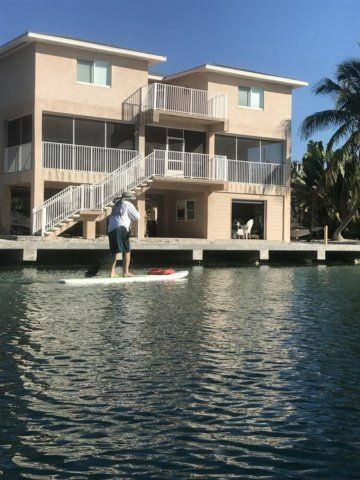 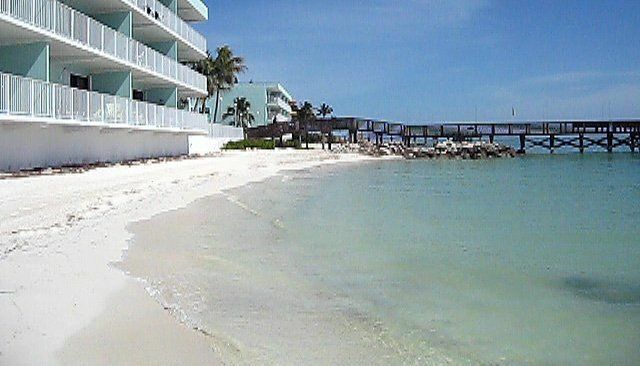 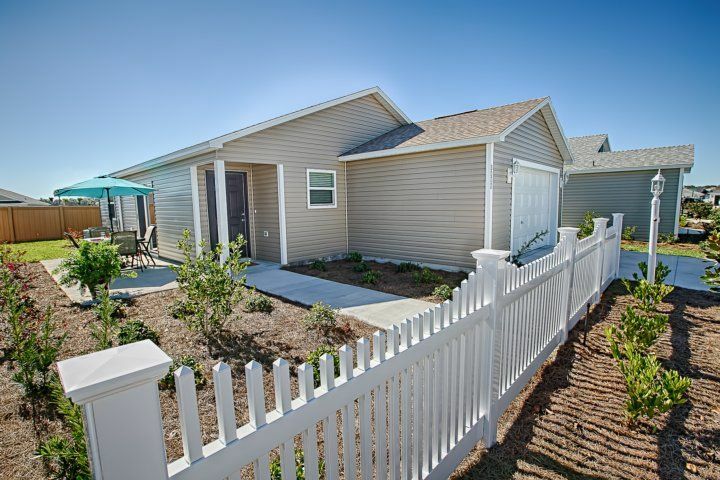 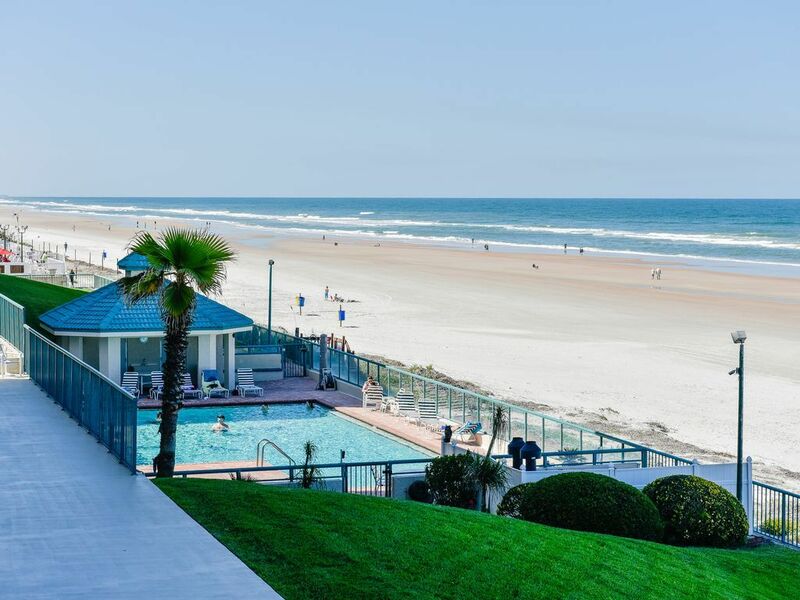 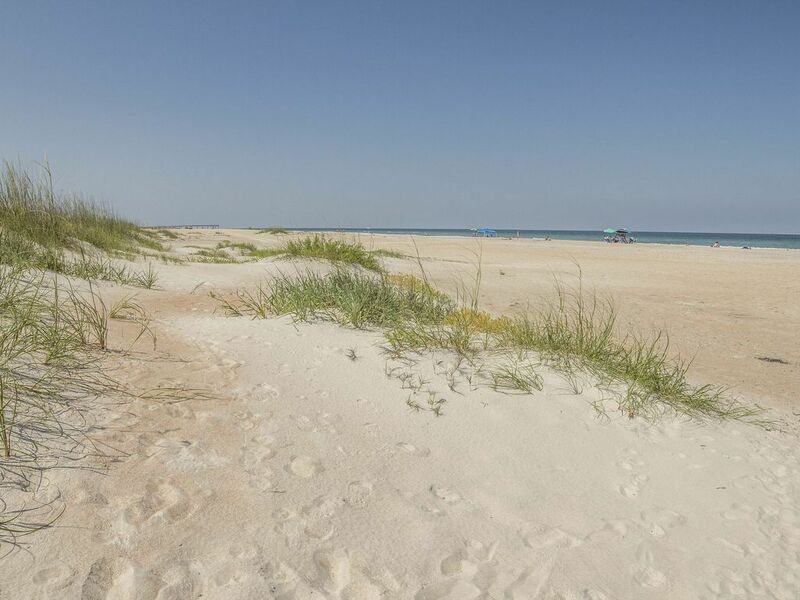 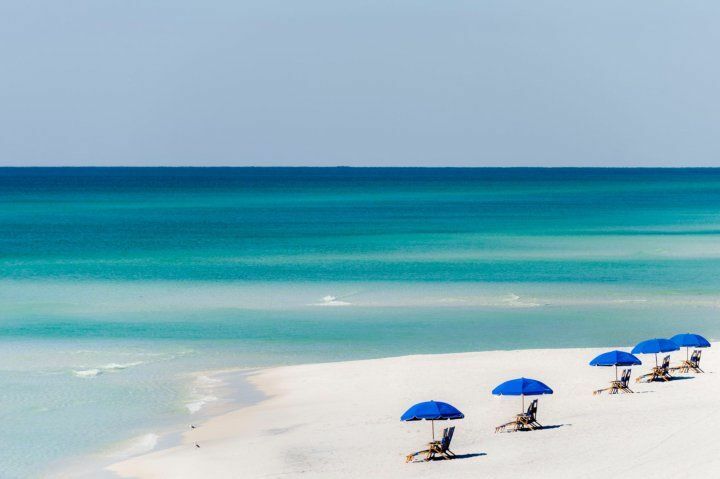 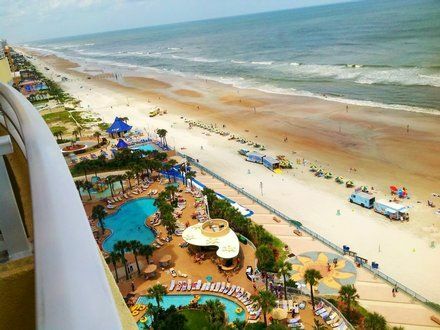 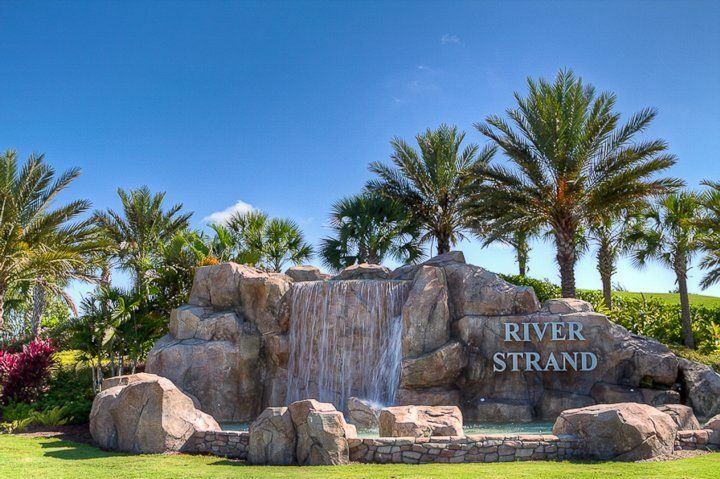 At White Sands Village 205, you'll never forget you're steps from one of the best beaches in the world! 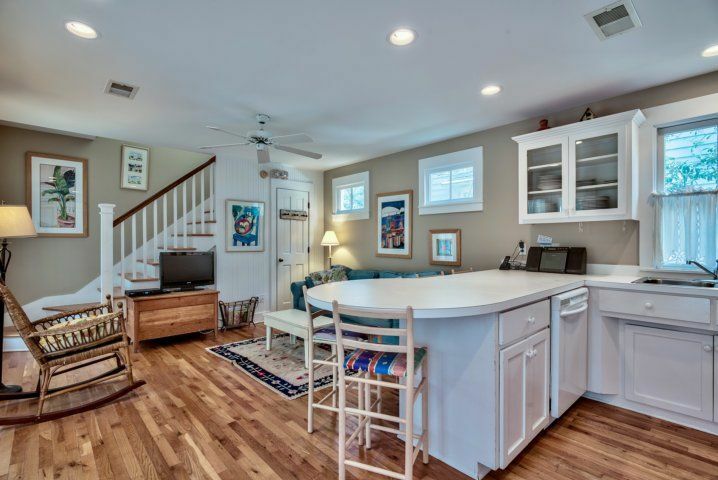 When the group gets hungry (but isn't willing to leave the comfort of the condo), break out snacks and drinks in the galley-style kitchen. 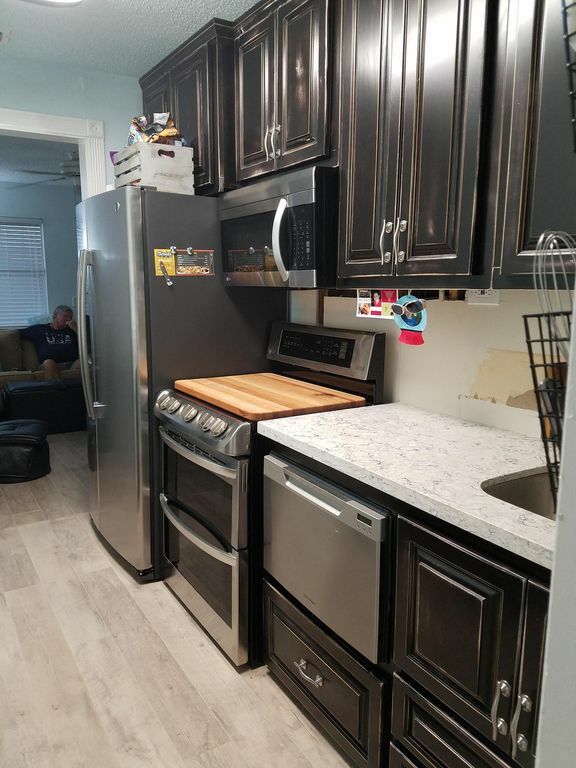 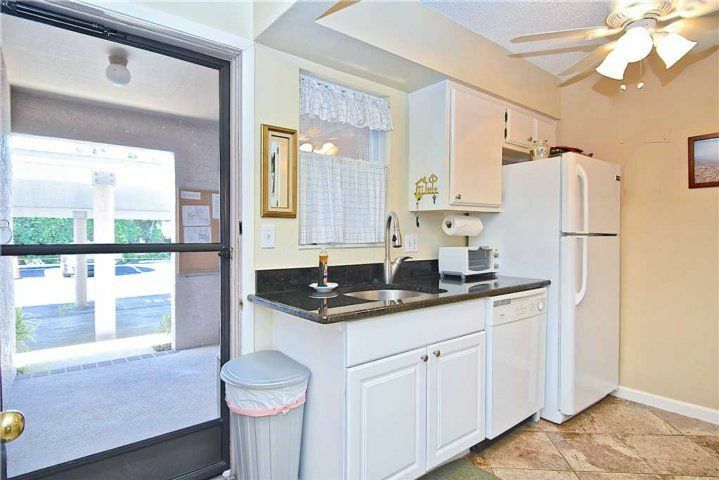 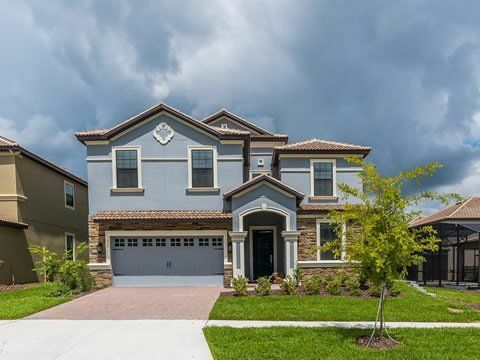 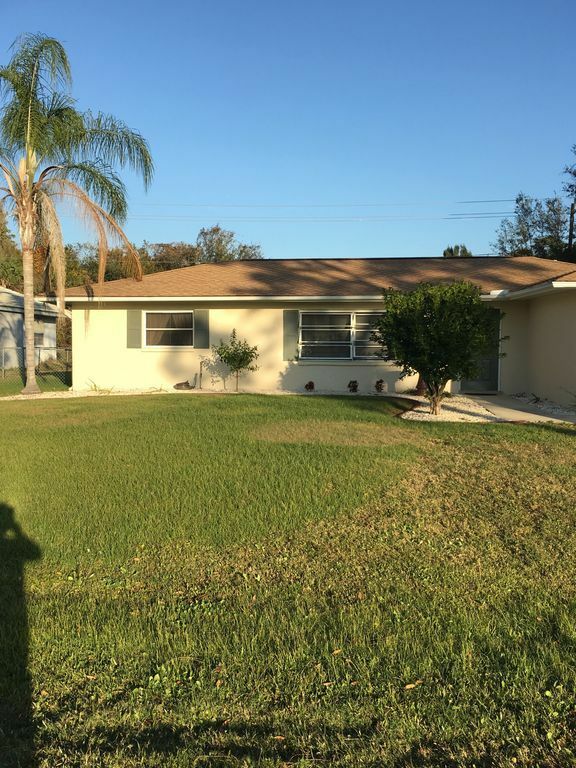 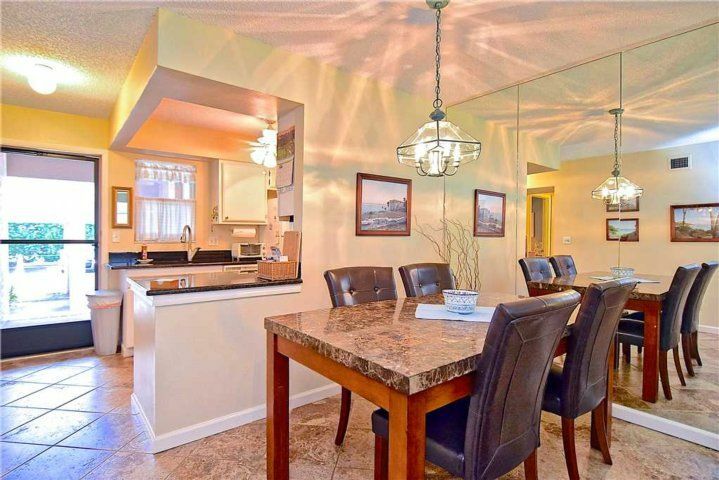 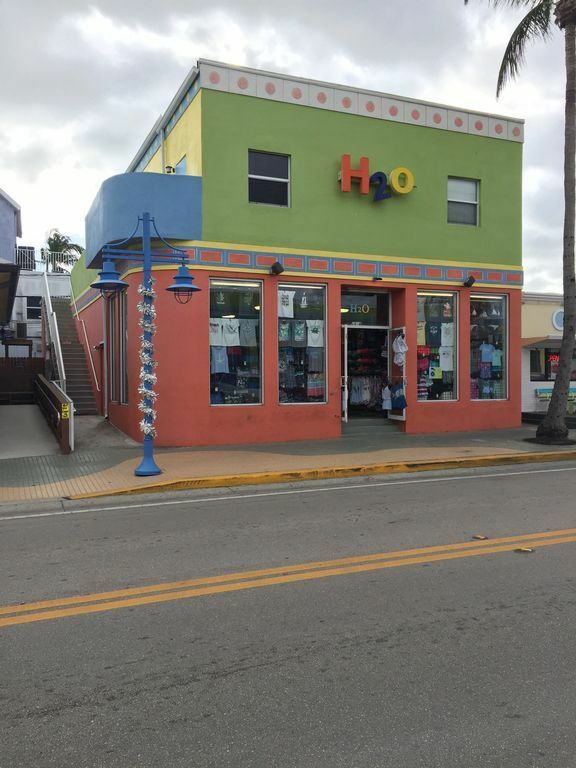 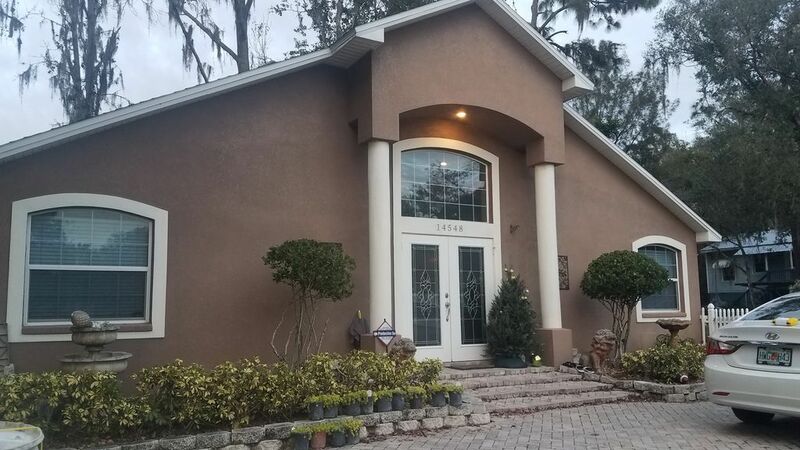 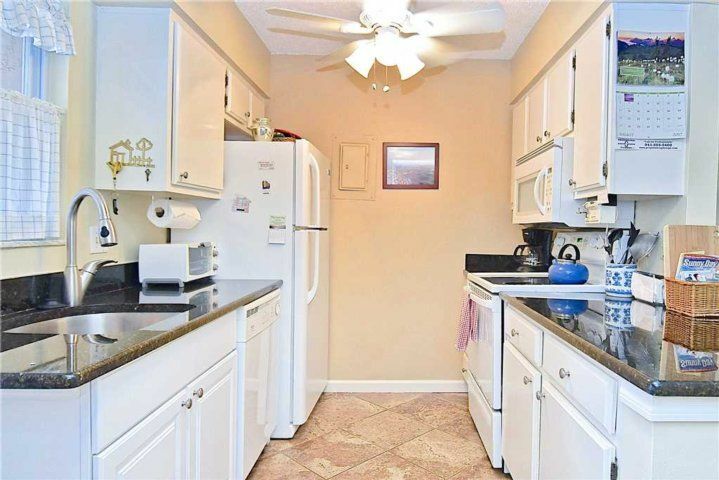 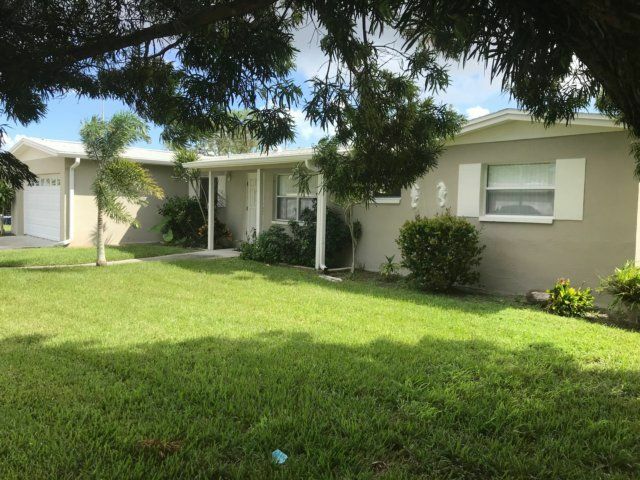 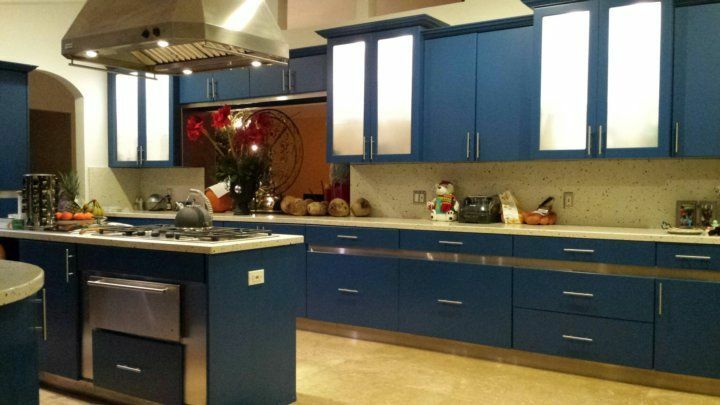 All you need to add here is groceries: the kitchen is fully stocked with dishes, glasses, cookware, chef's tools, and appliances large and small. 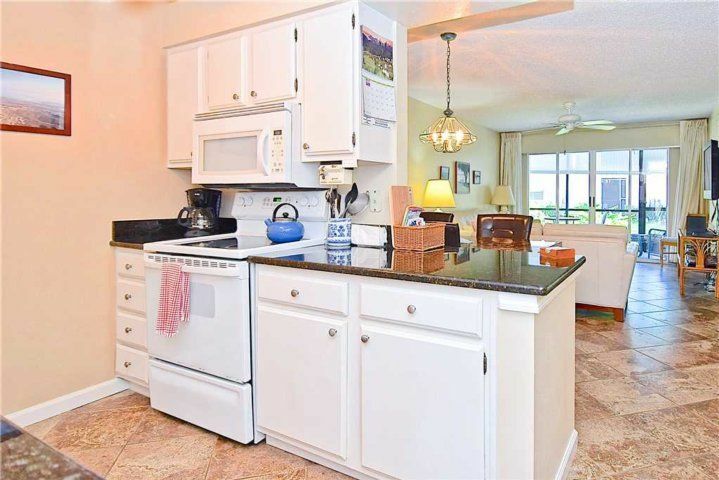 The full-size fridge and stove make it easy to throw together a quick breakfast for the troops, and the countertop appliances (coffeemaker, microwave, blender, and more) help you get moving more quickly. 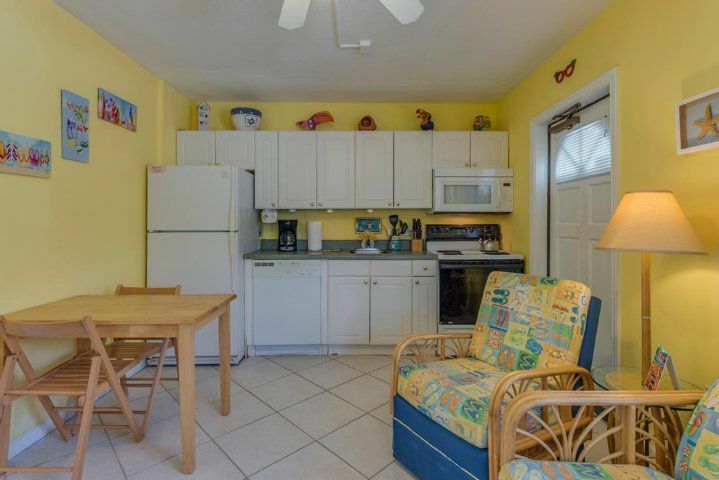 You can prepare just about anything in here, making White Sands Village 205 a great choice for those needing special diets. 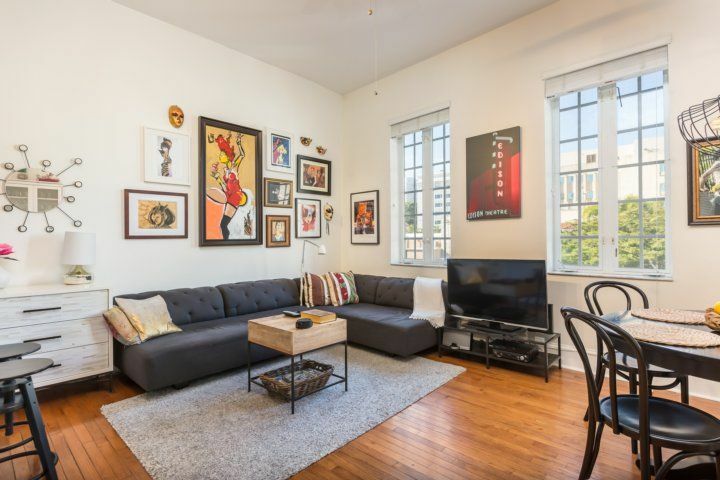 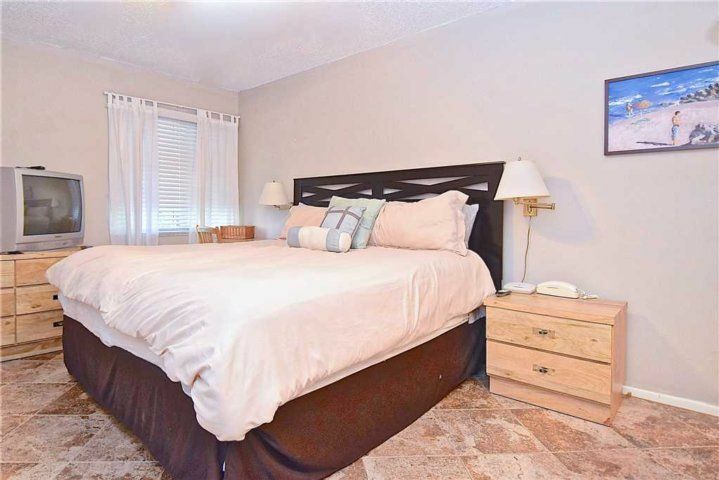 And while we're talking about great choices, you will love the two bedrooms (plus the queen-sized sleeper sofa in the living room!) 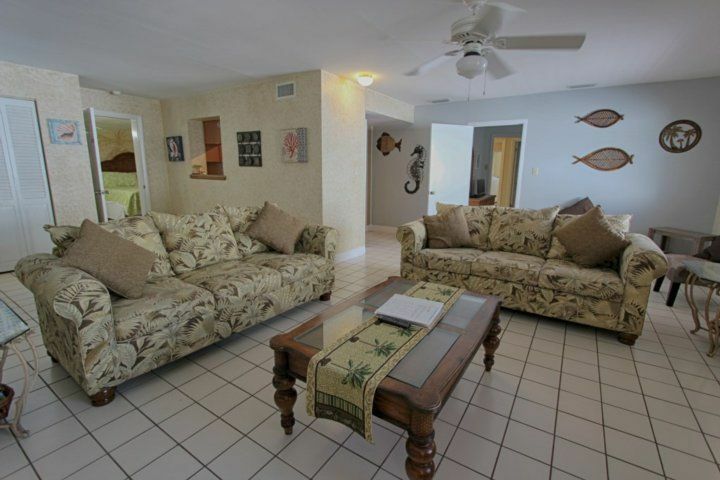 at White Sands Village 205. 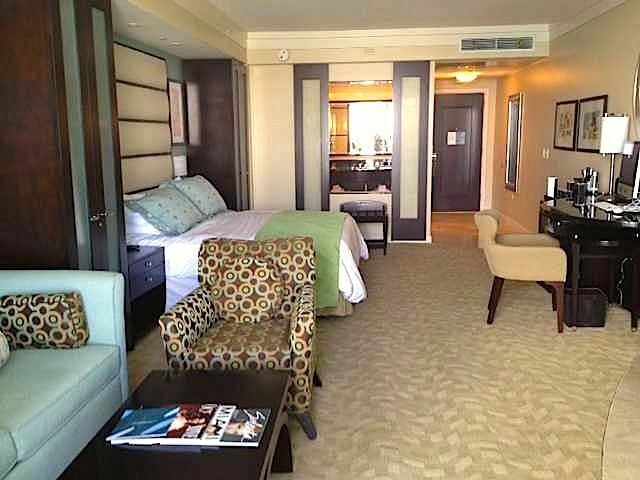 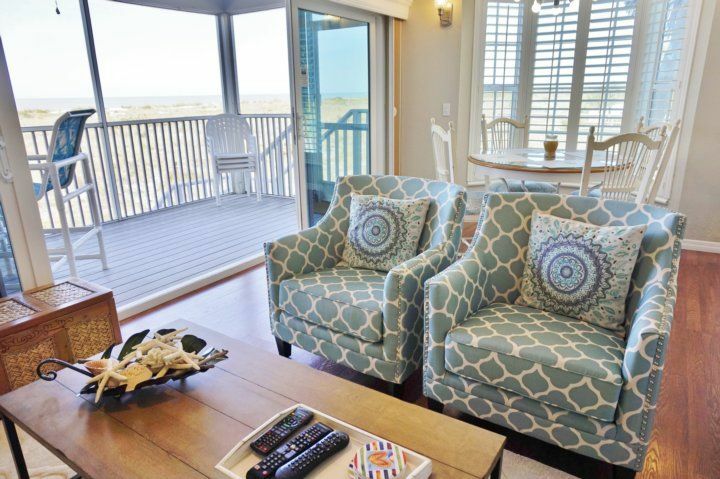 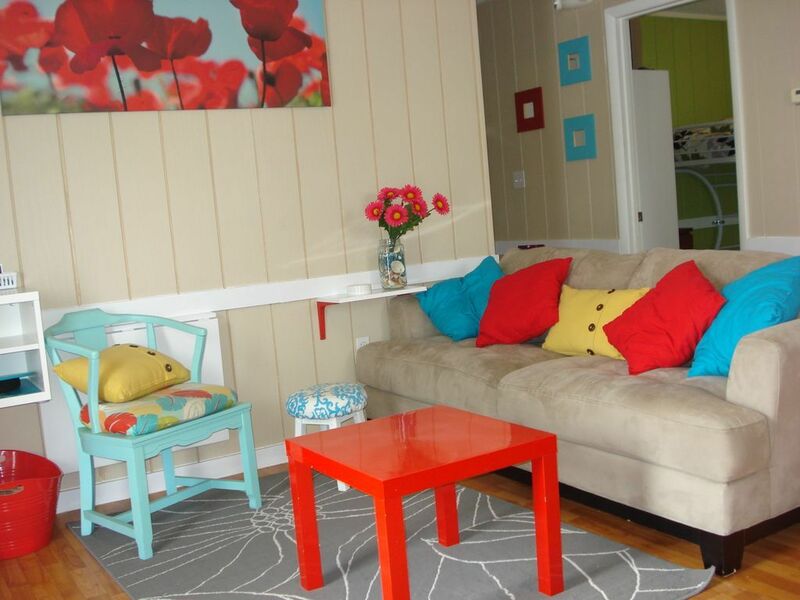 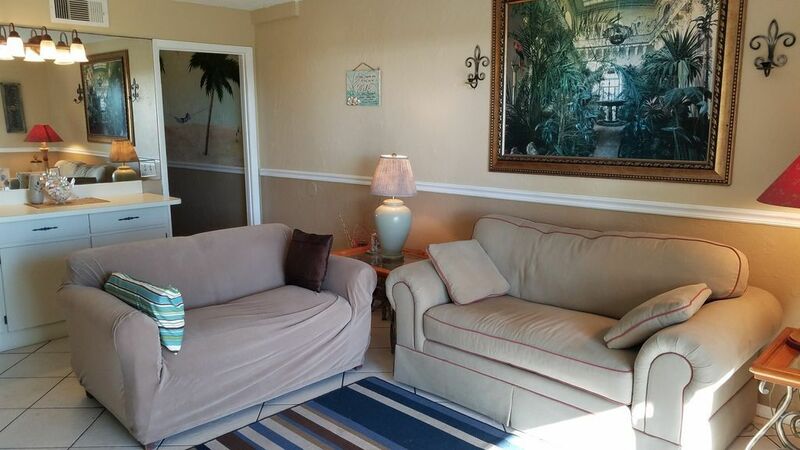 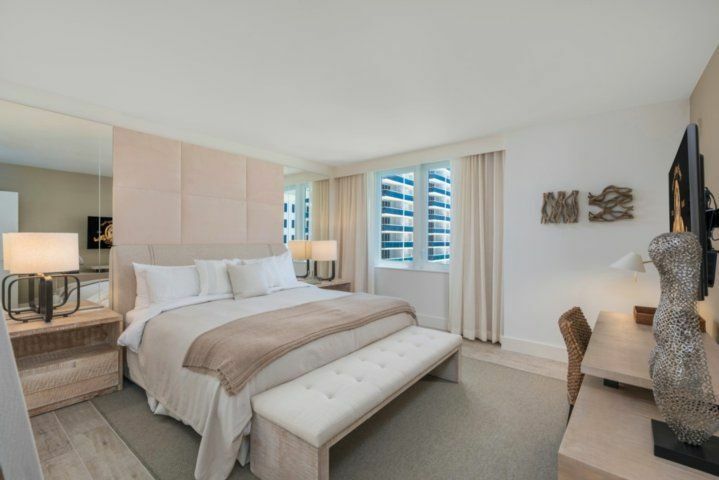 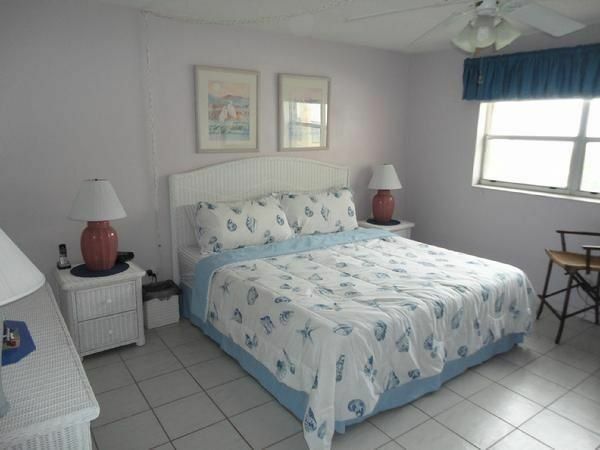 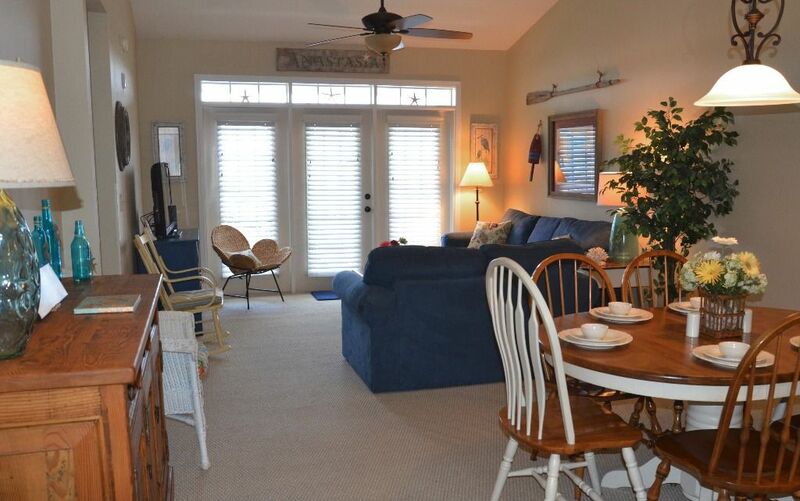 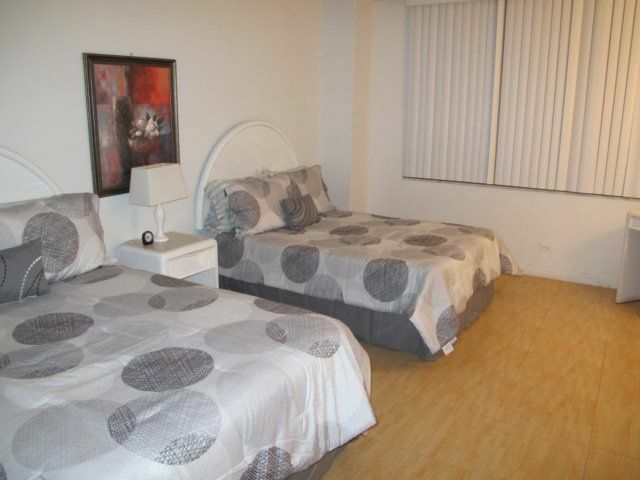 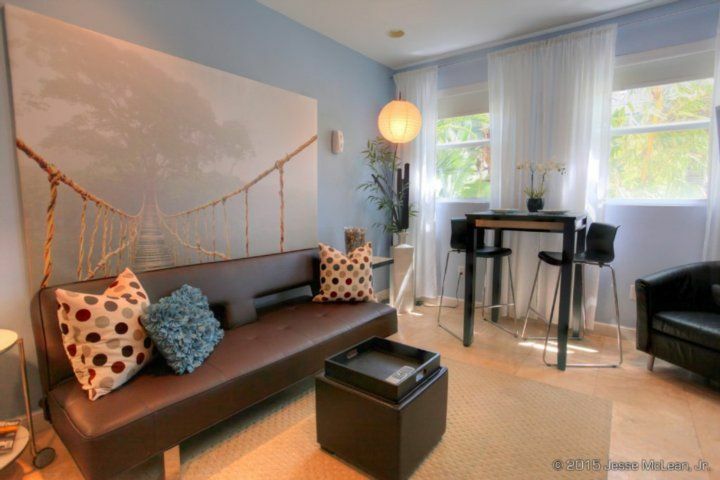 Spacious and relaxing, these rooms help you unwind after a busy day at the beach or in town. 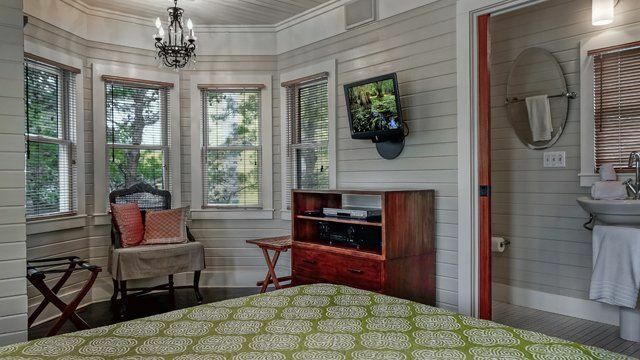 They can both be darkened effectively, just in case you need a daytime nap. 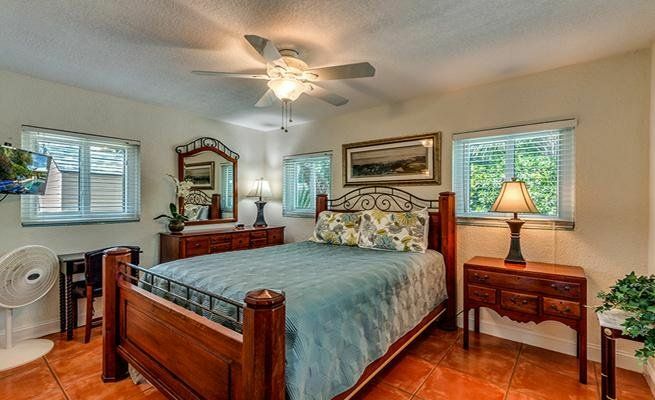 And they are quiet, delivering a great night's sleep every time. 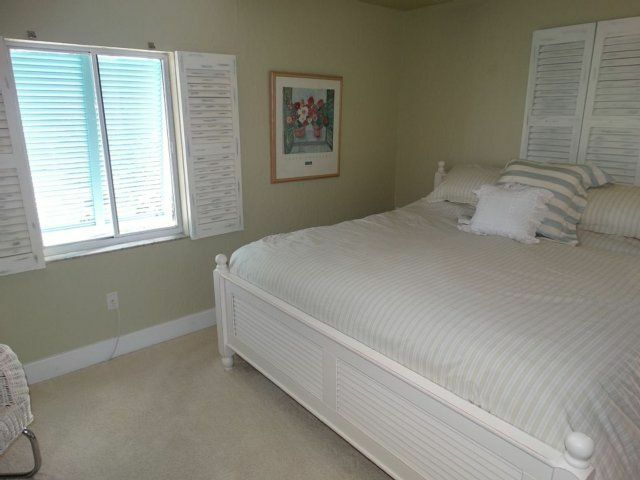 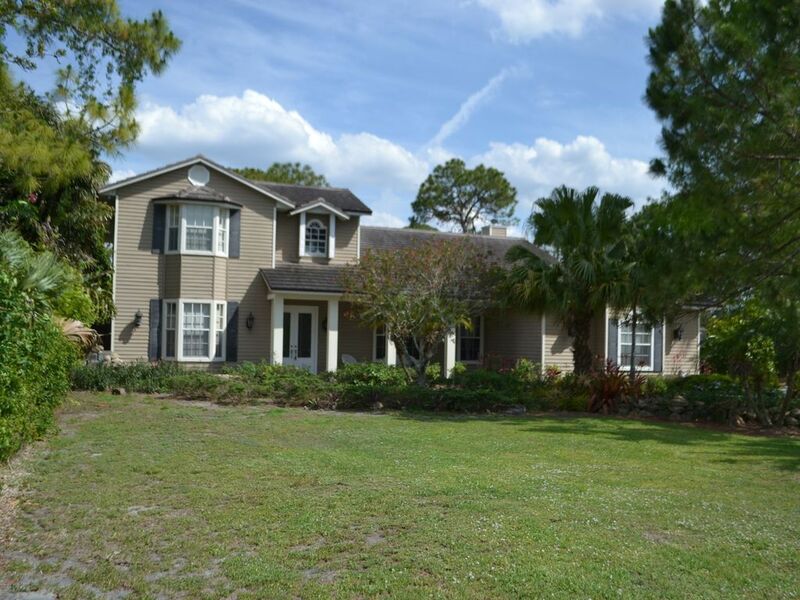 The master suite is particularly enticing, with a king-sized bed, long window, and private TV. 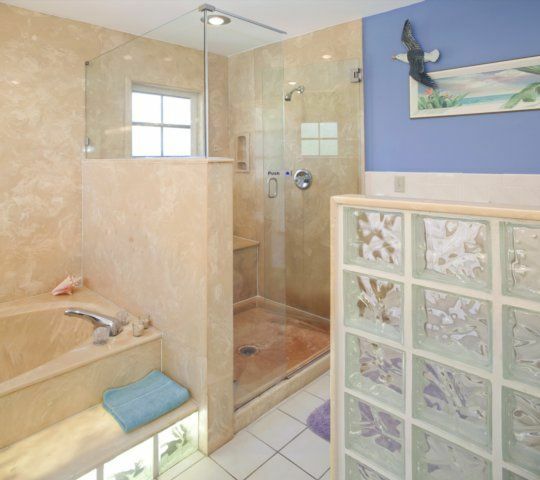 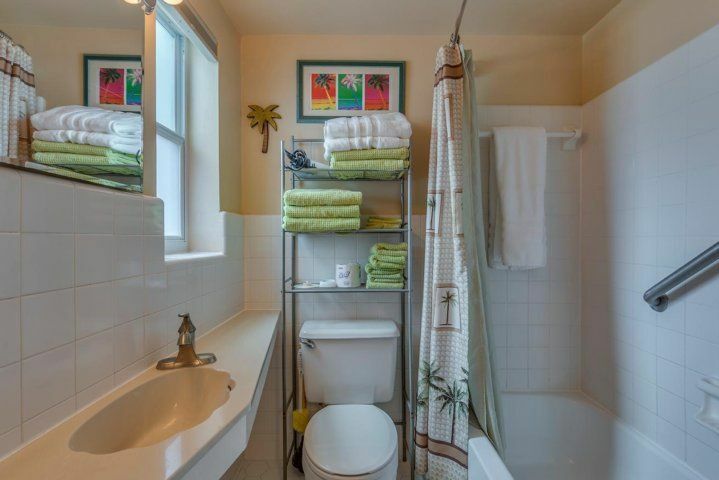 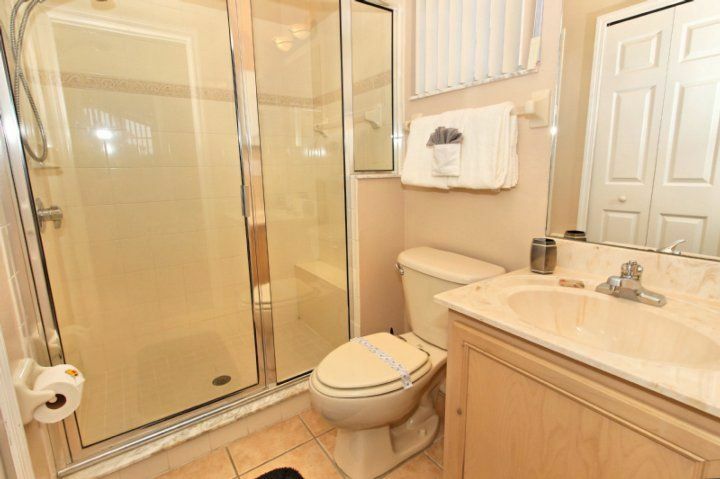 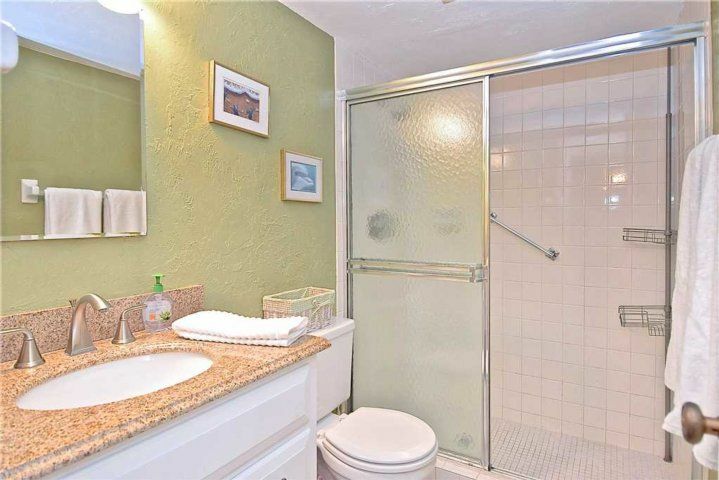 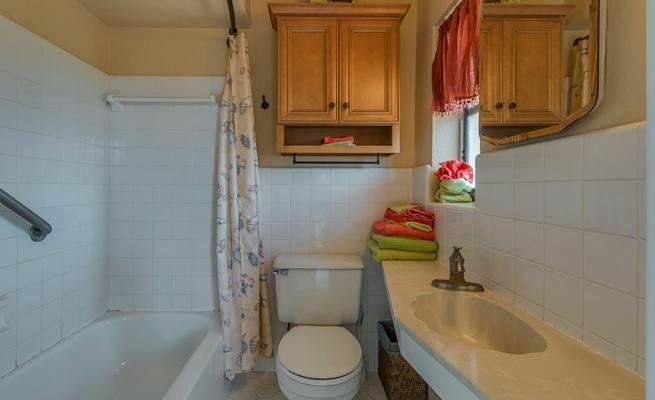 The bathroom is en-suite here, and features granite countertops and a walk-in shower. 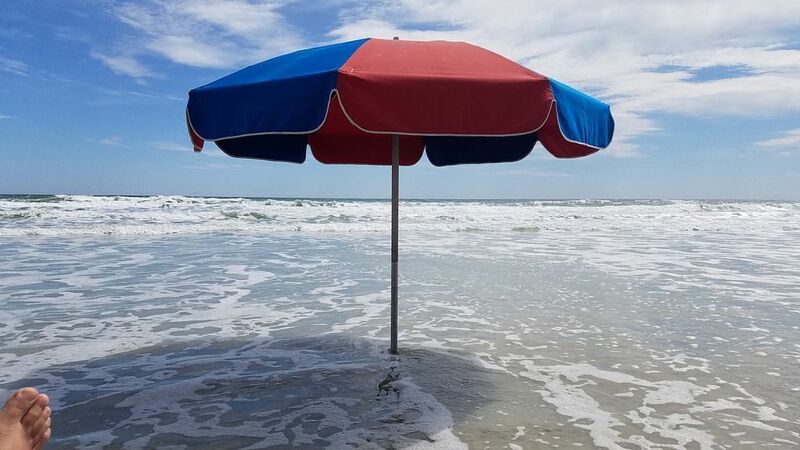 So convenient, so soothing! 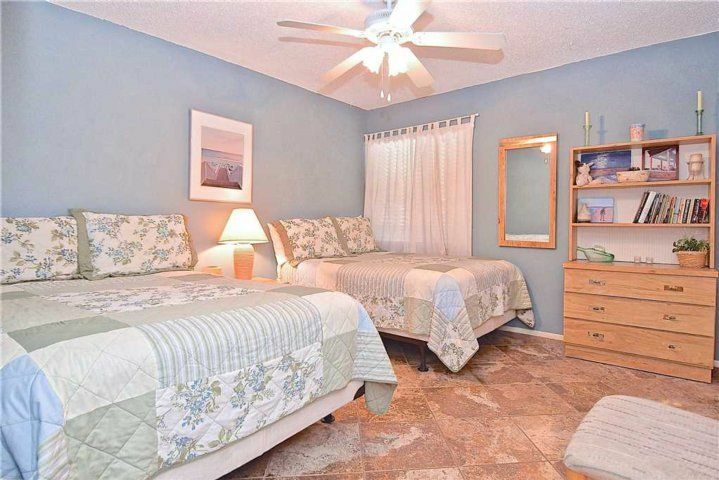 The second bedroom contains 2 double beds, sleeping 4 comfortably. 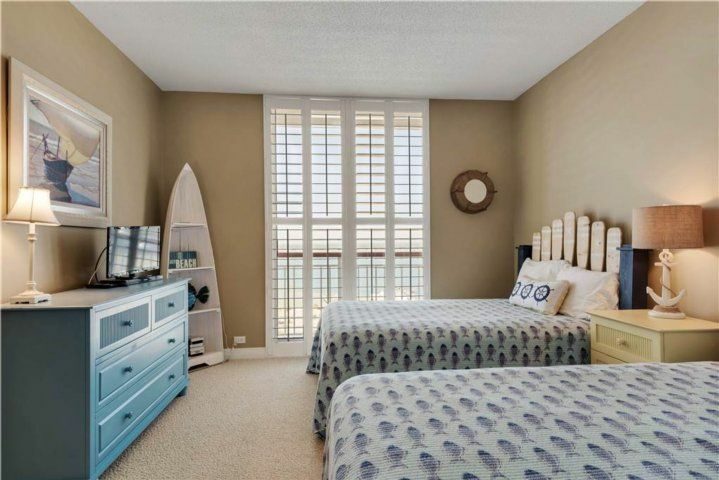 This large room includes storage and open floor space -- perfect for kids to spread out their toys or grown-ups to stash their beach gear! 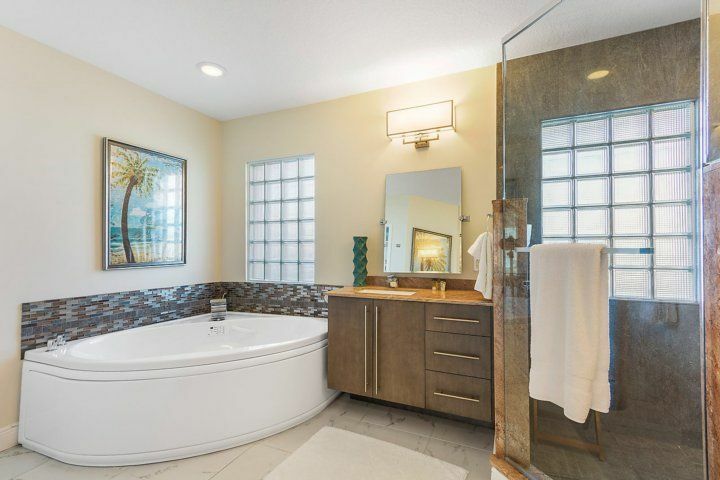 This room shares a bathroom with the living area of the condo, and this second full bath offers both a shower and tub option. 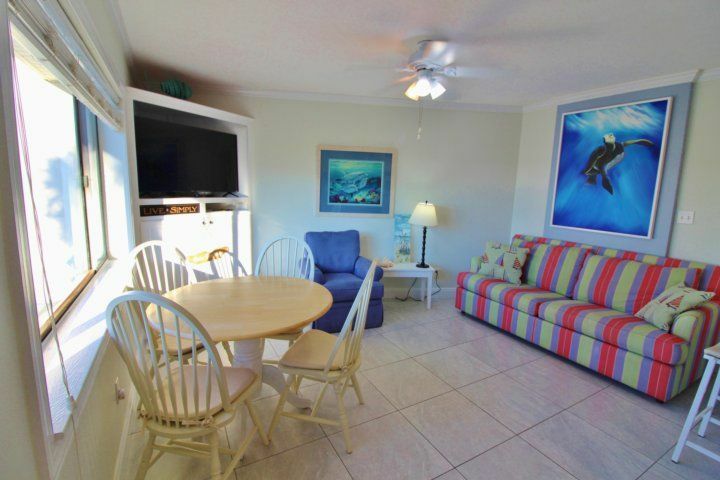 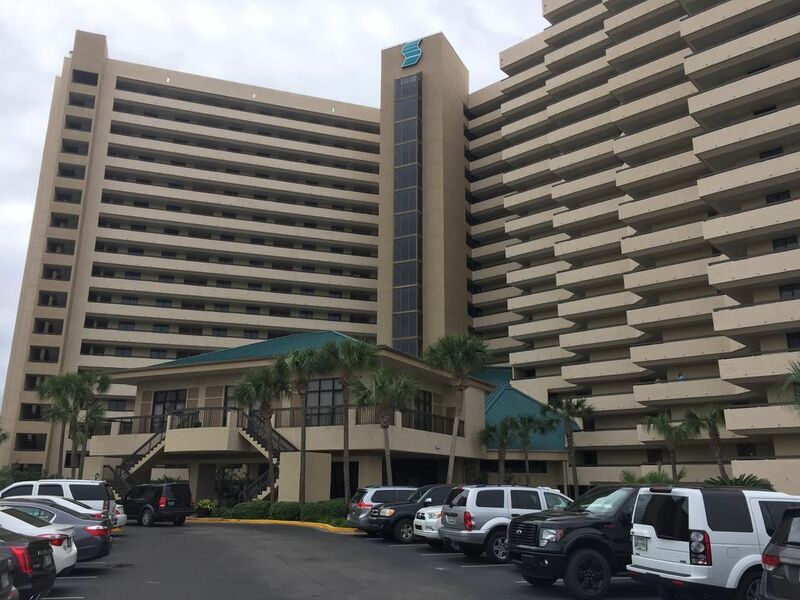 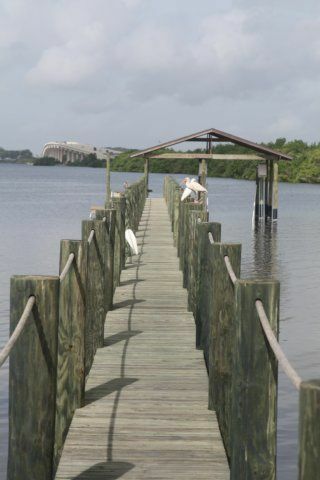 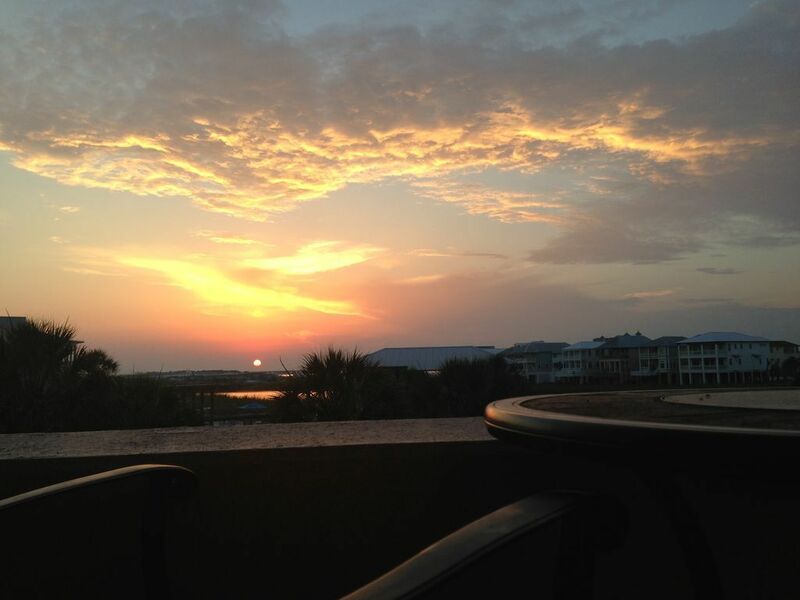 Staying at White Sands Village 205 is about as close to visiting a beloved friend as you can get. 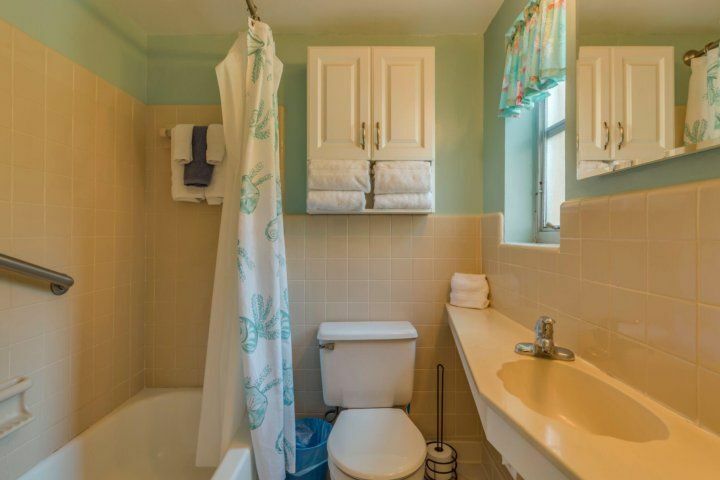 There is free WiFi here, and a washer and dryer for your use, as well as fresh towel sets and sheets for every bath and bed -- including the pullout sleeper! 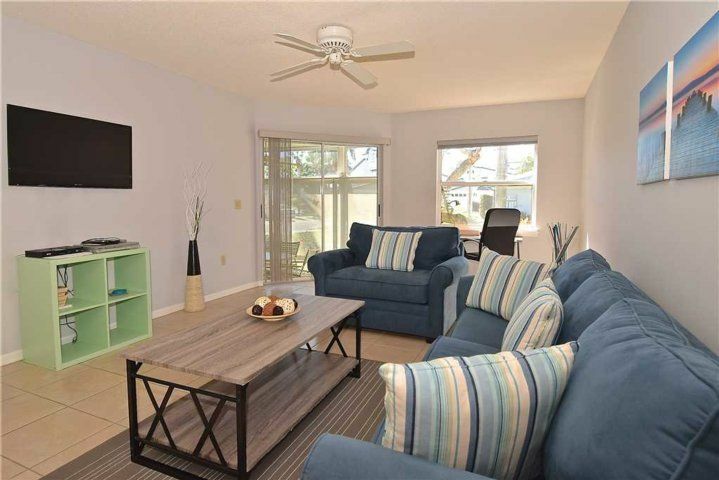 You can economically sleep up to 8 in this condo without bumping elbows, and you will love the White Sands Village amenities. 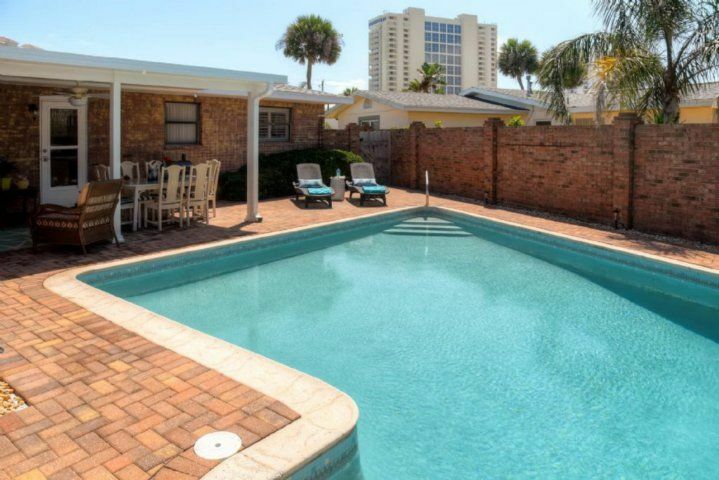 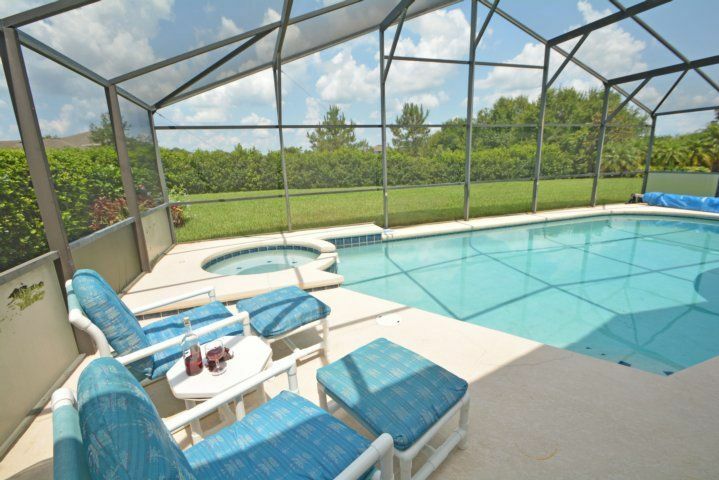 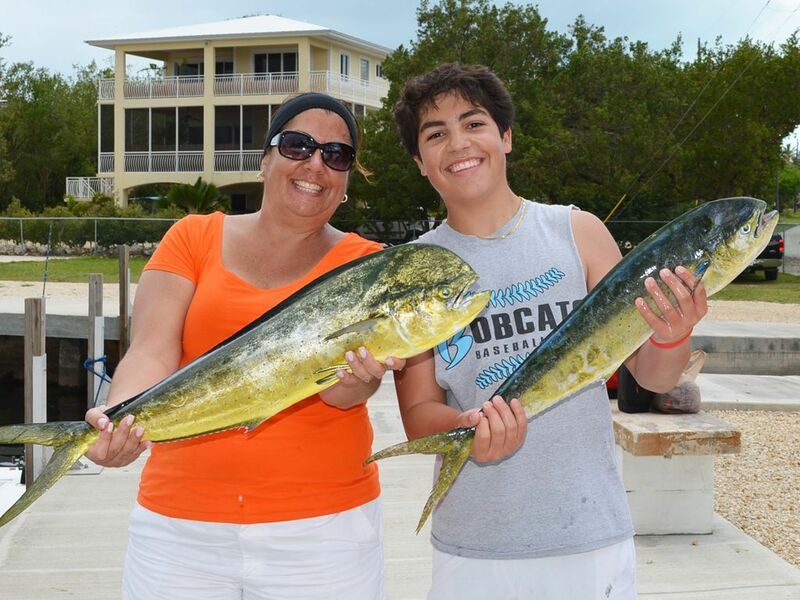 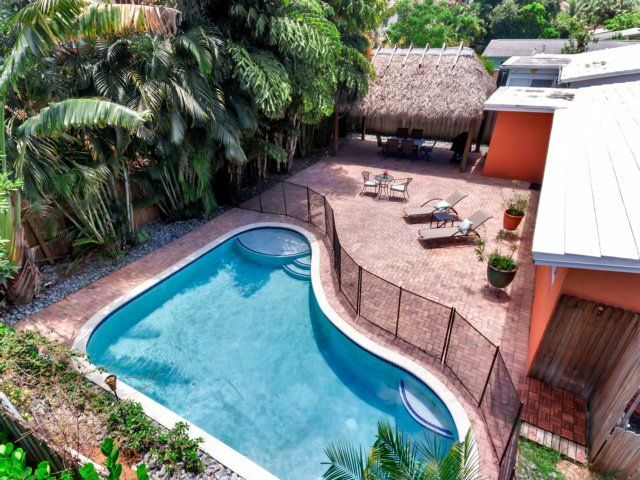 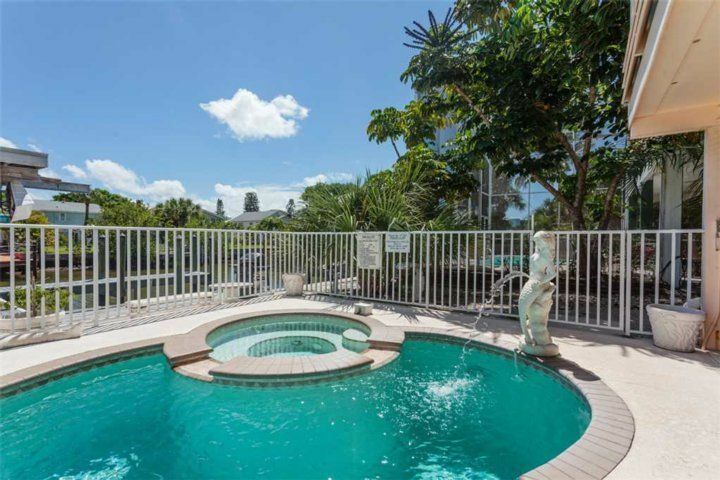 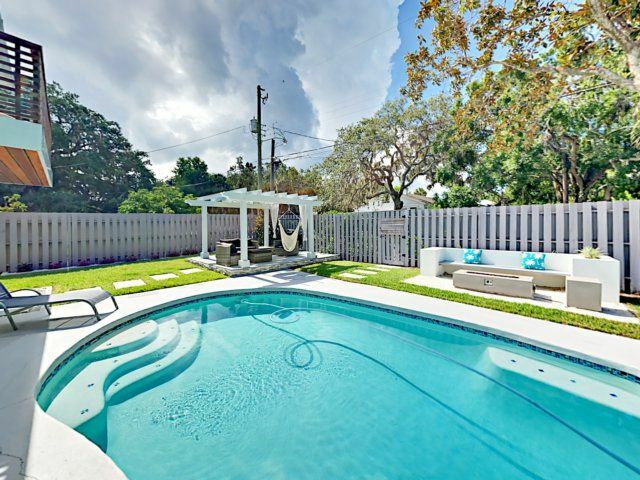 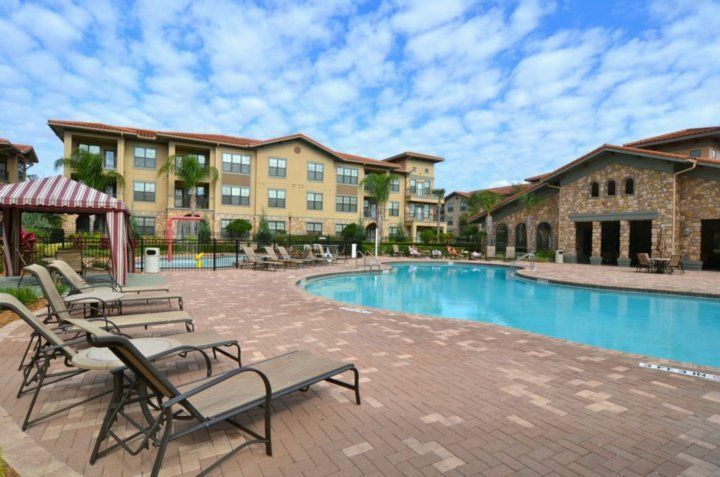 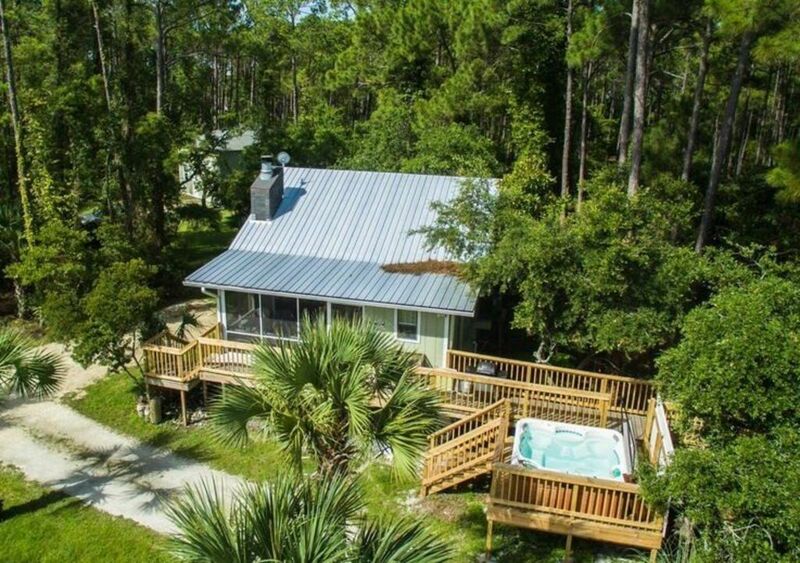 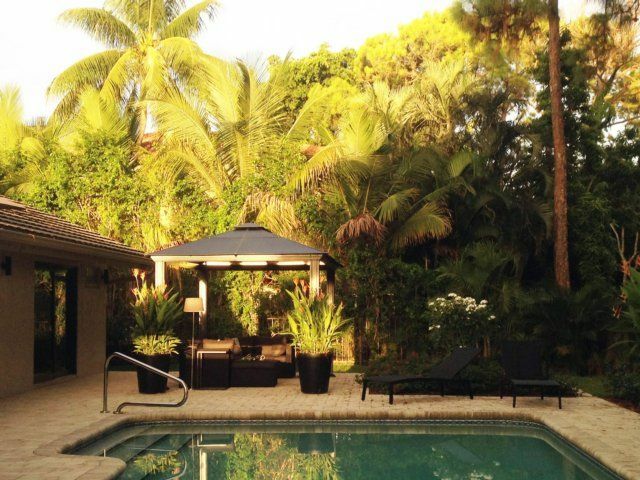 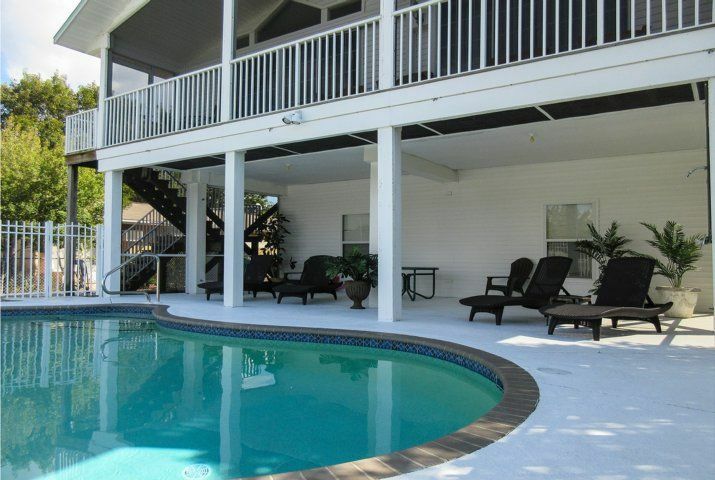 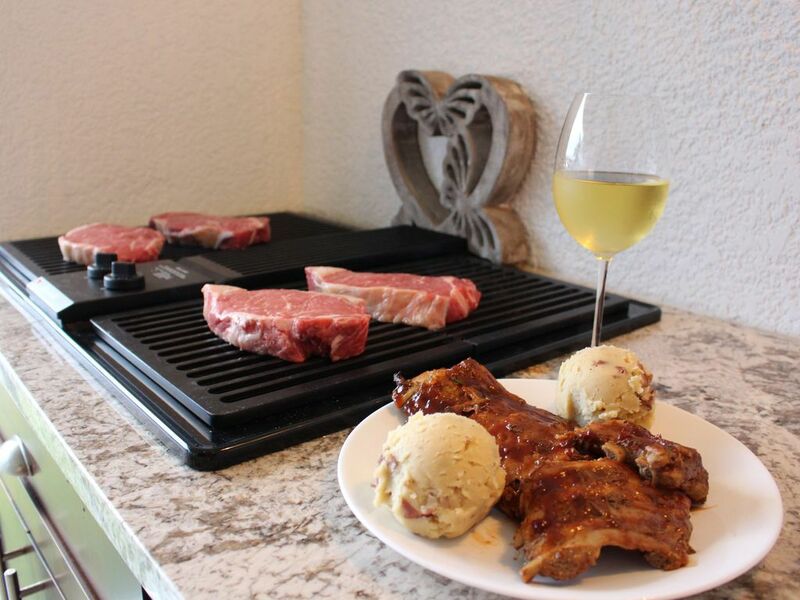 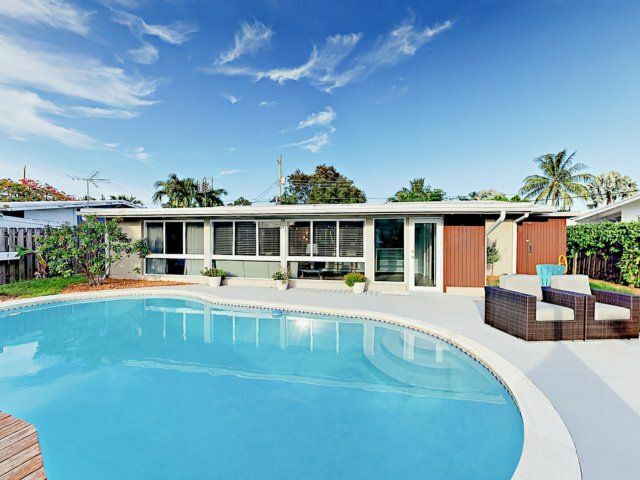 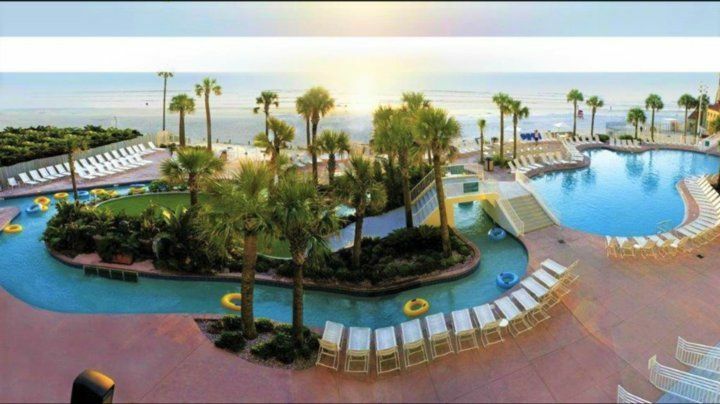 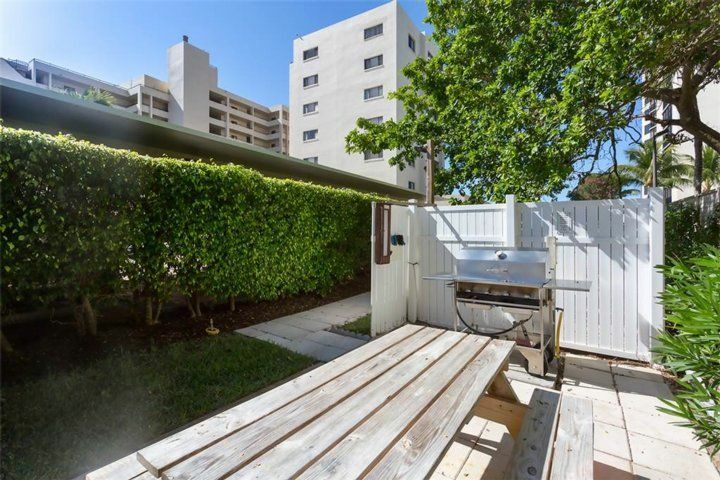 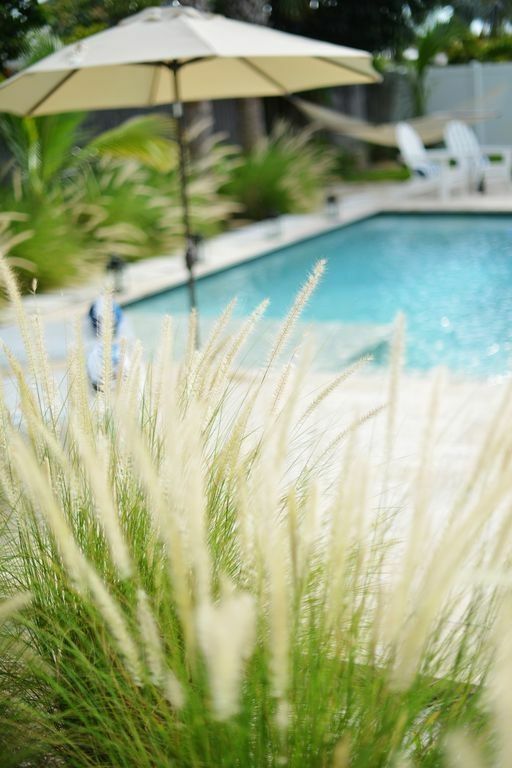 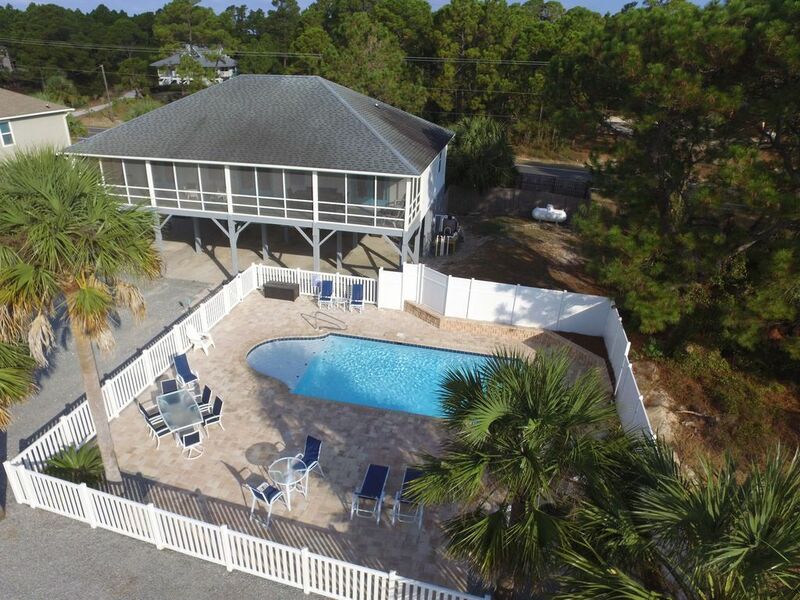 Take a dip in the heated pool, lounge on the sun shelf, or cook up some fresh-caught seafood in the grilling area! 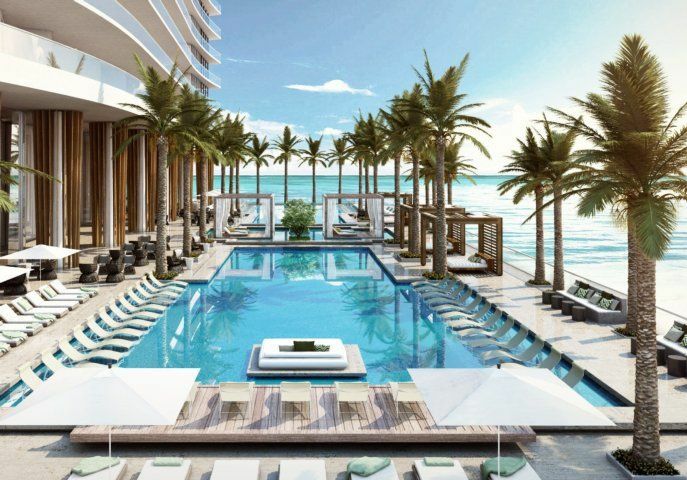 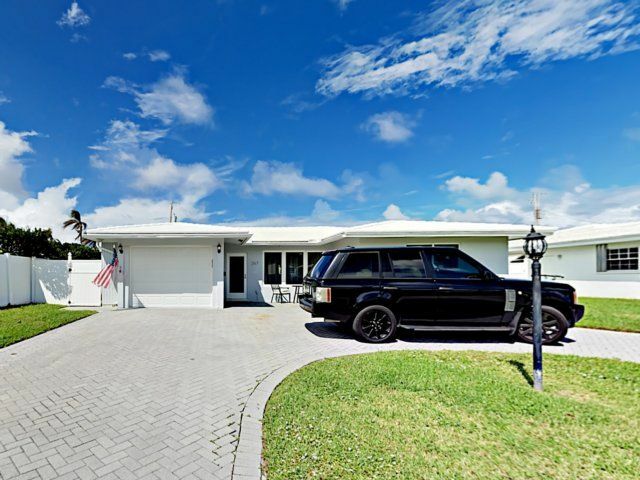 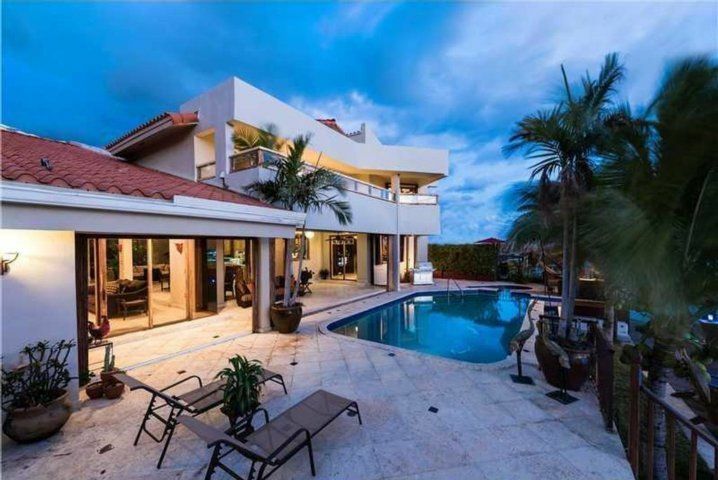 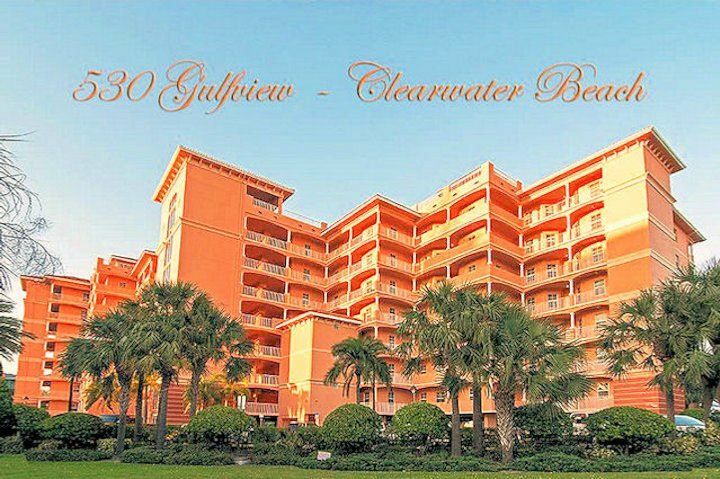 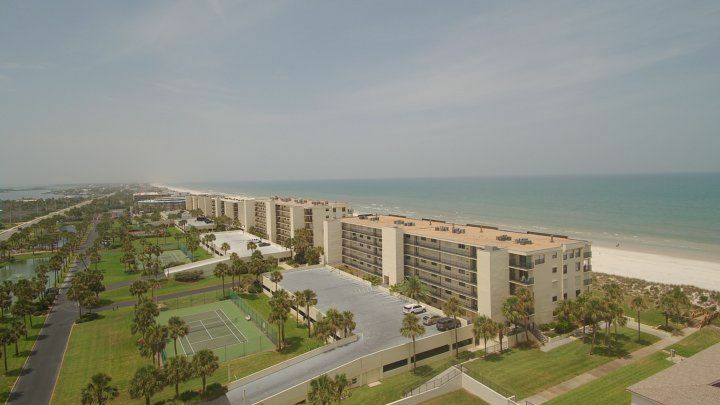 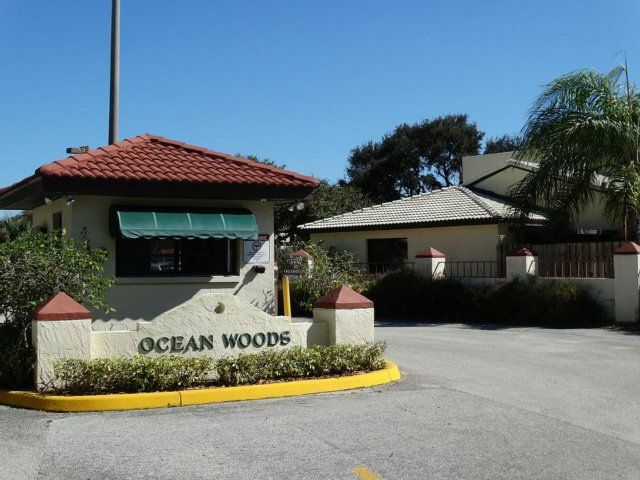 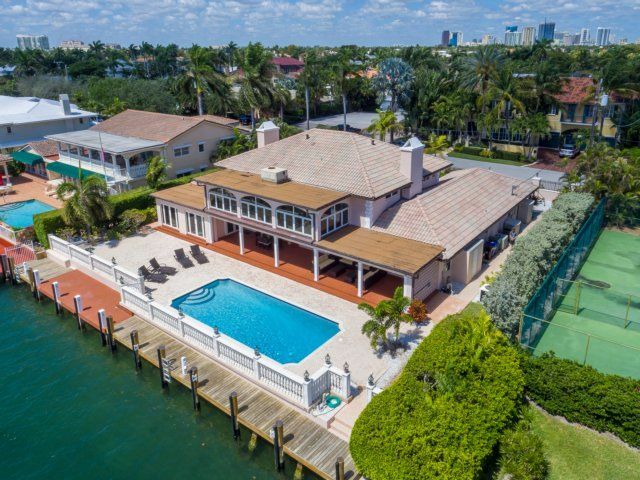 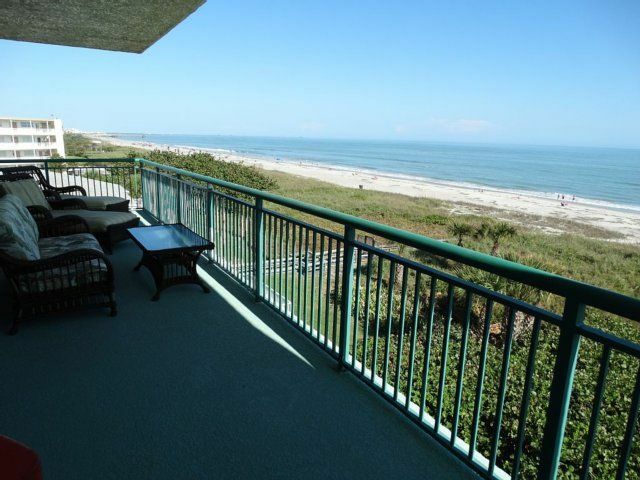 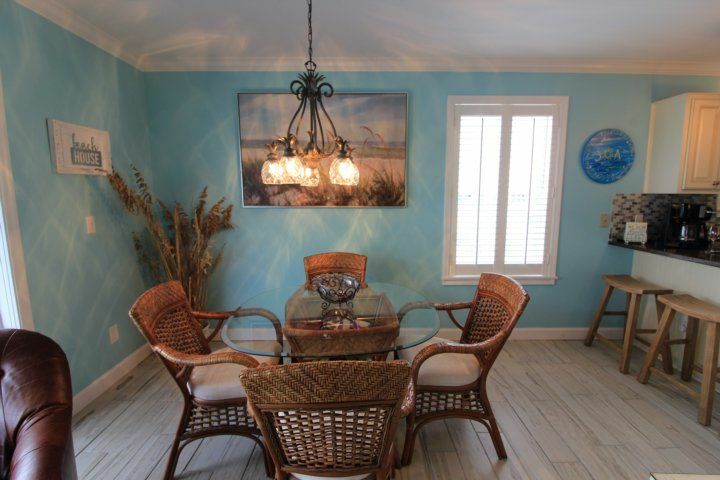 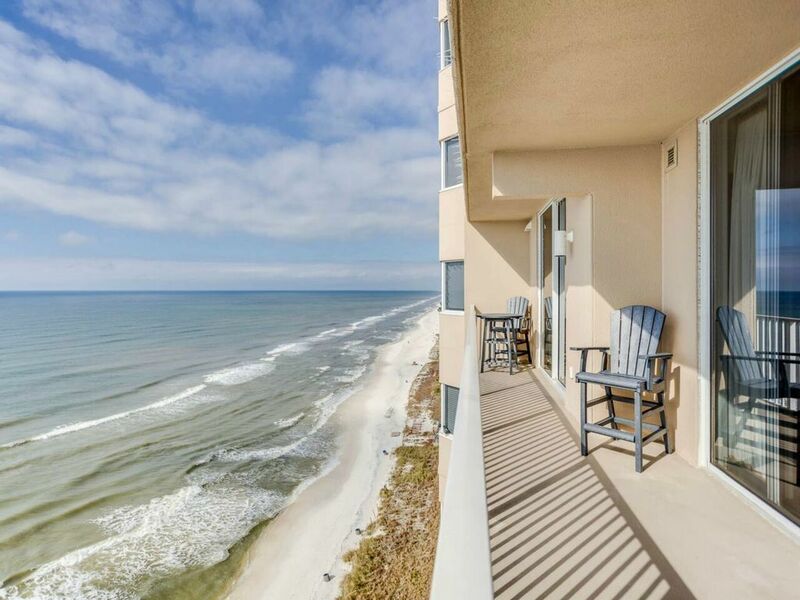 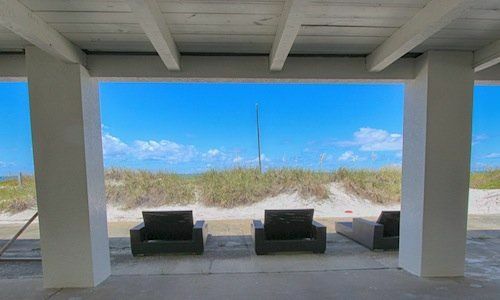 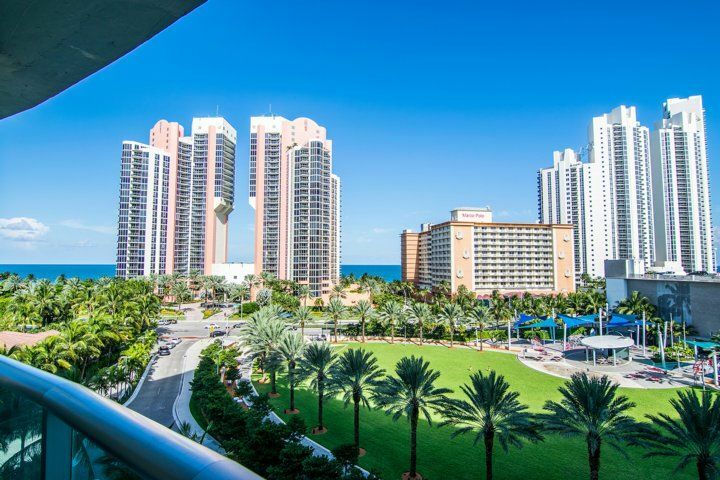 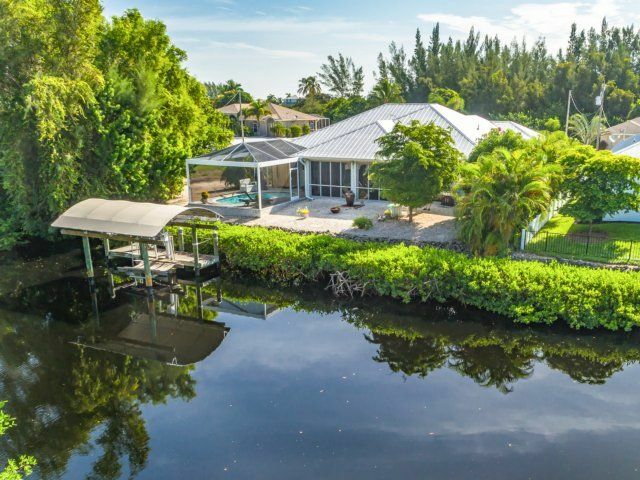 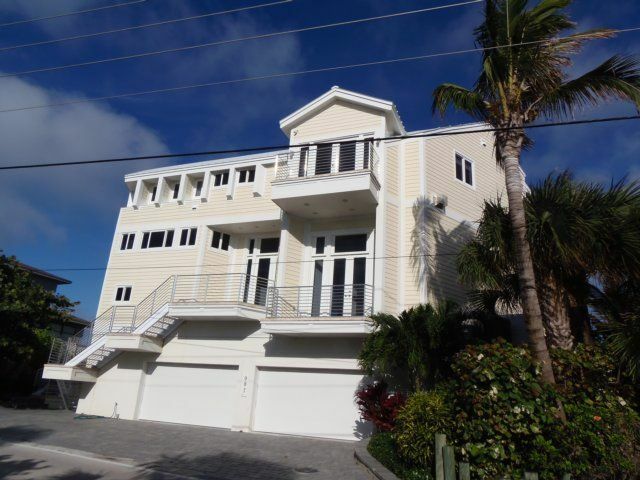 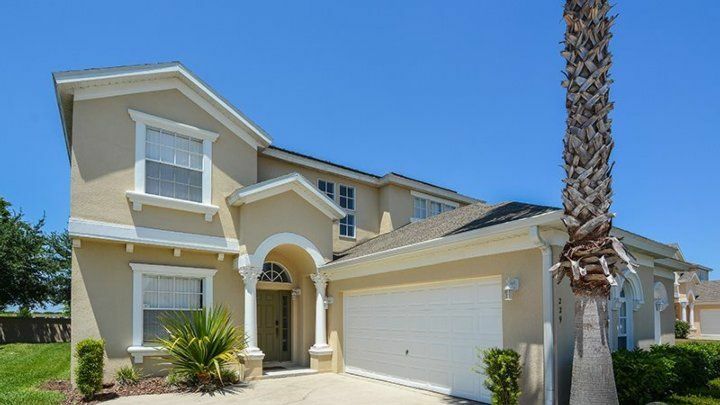 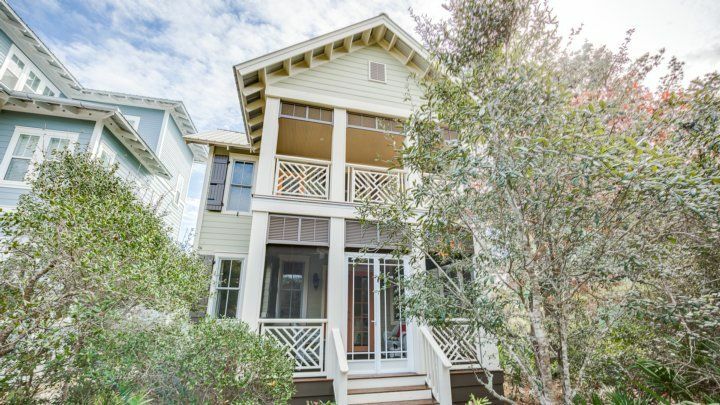 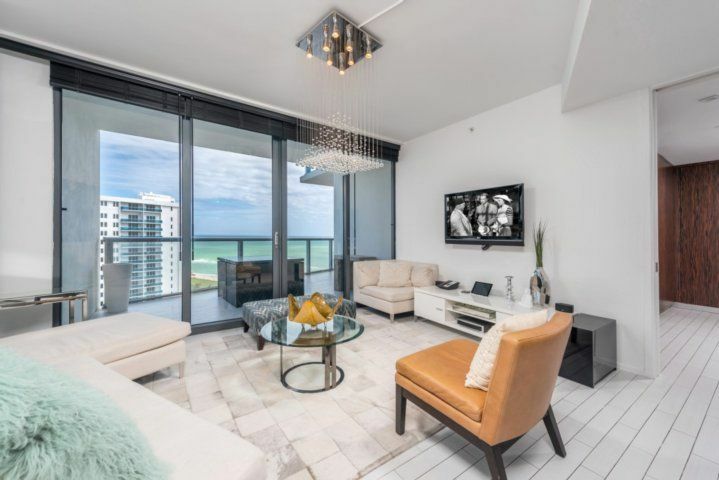 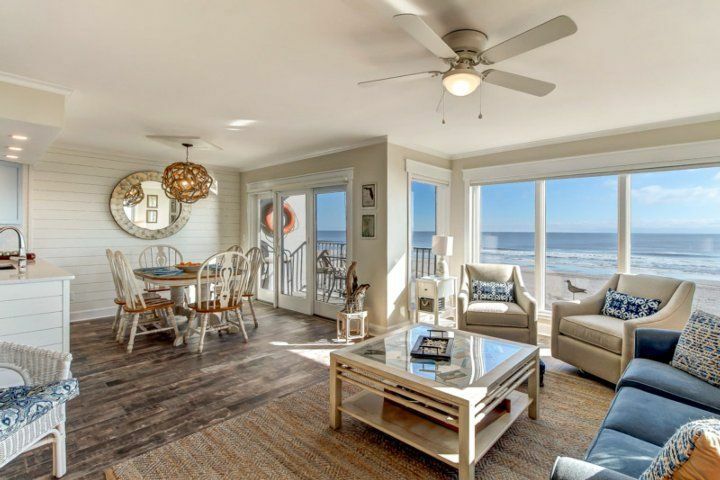 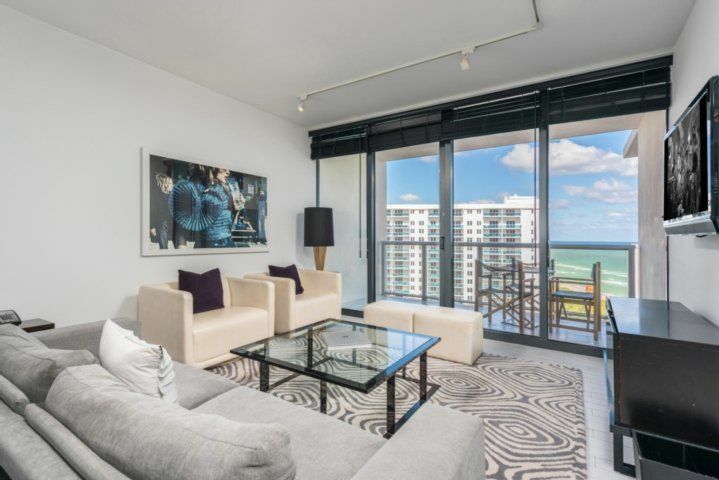 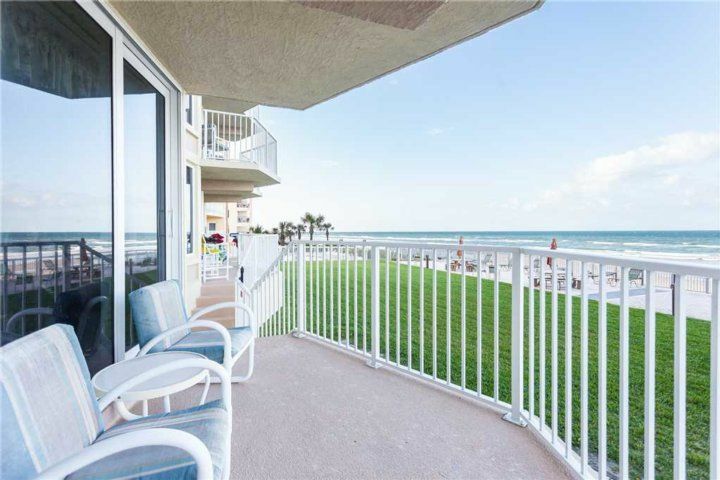 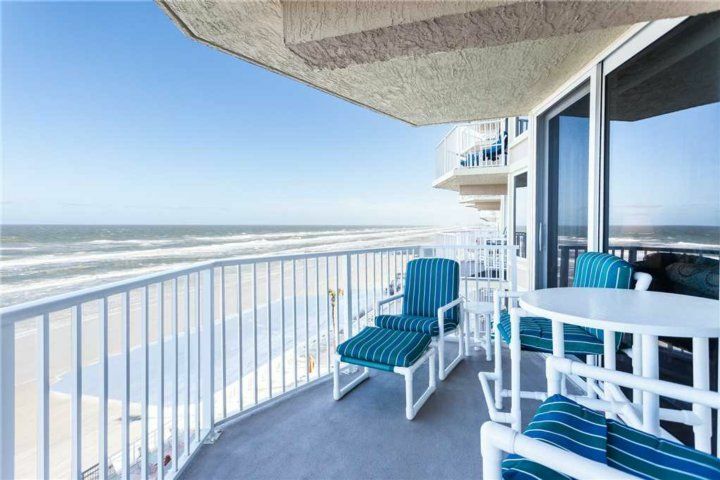 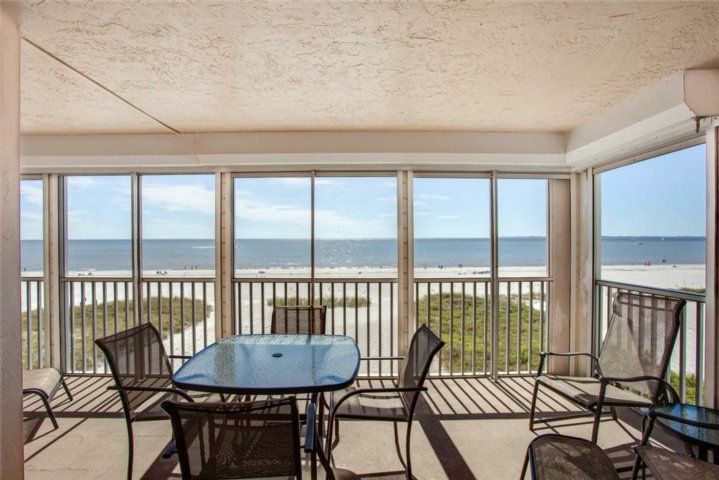 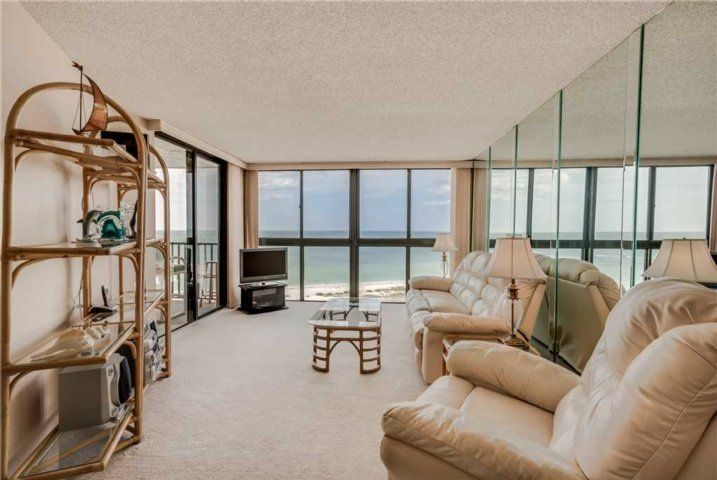 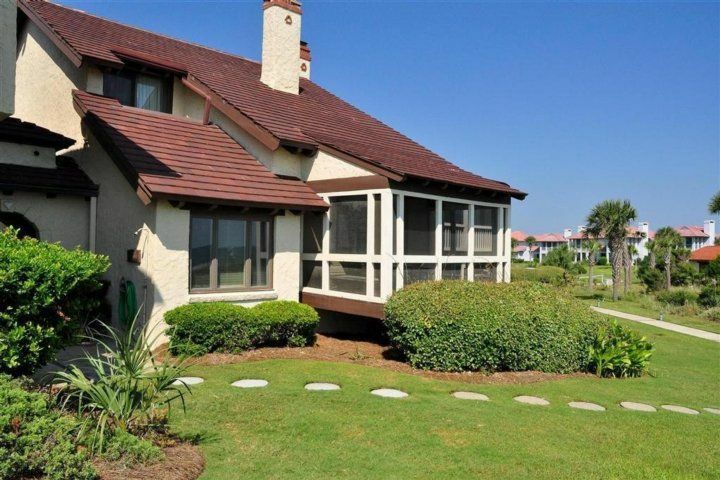 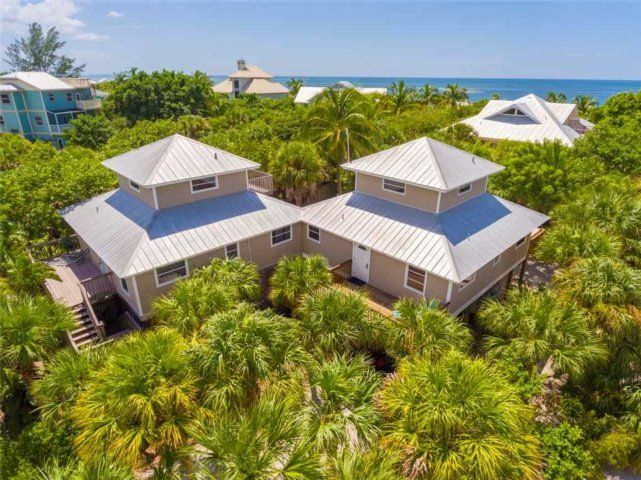 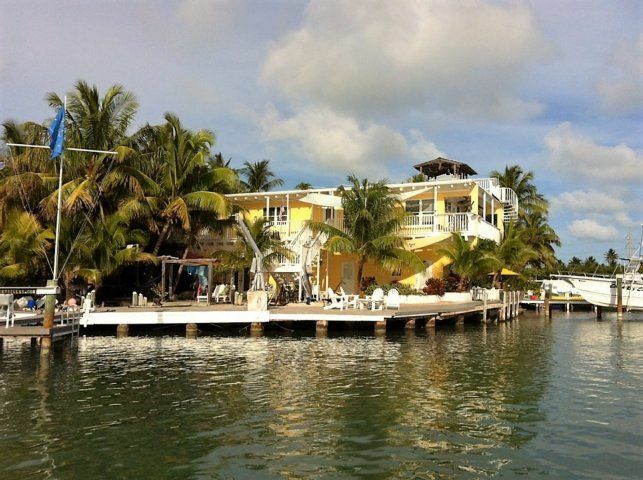 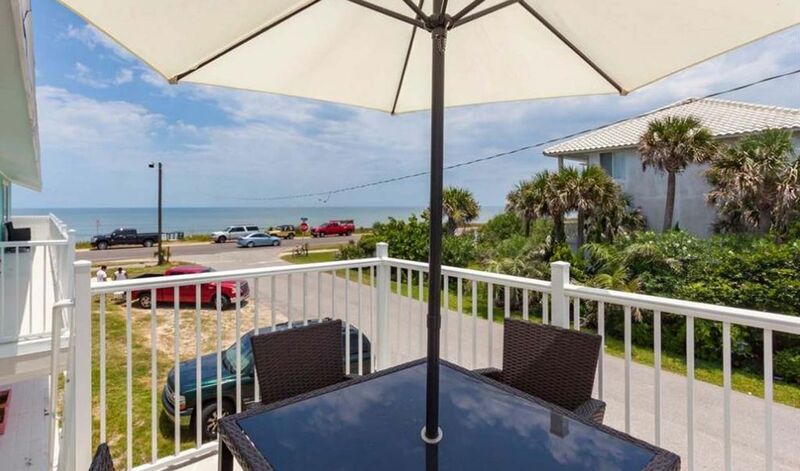 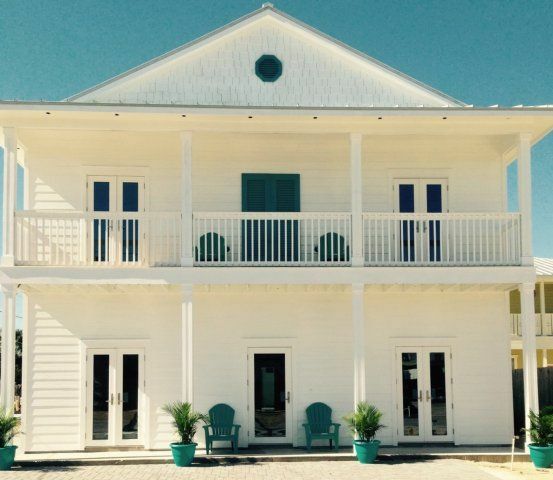 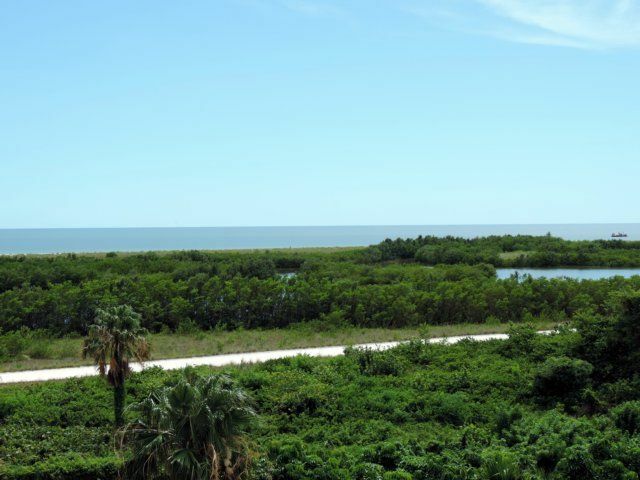 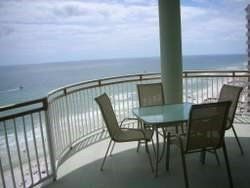 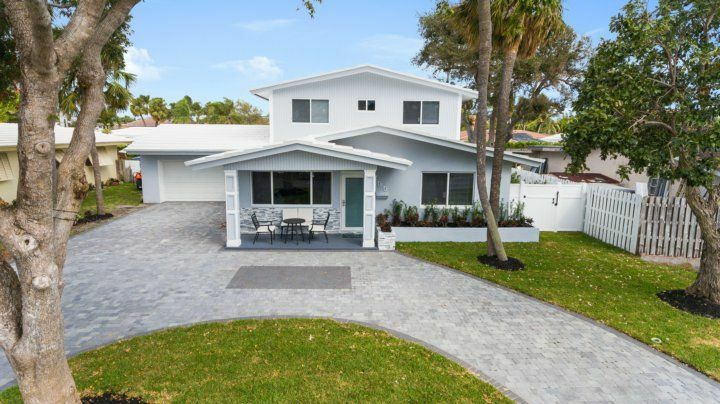 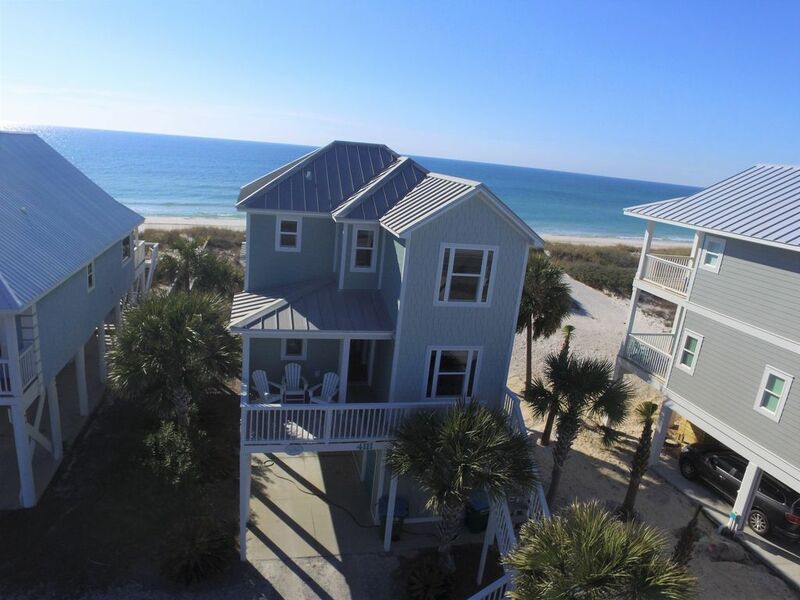 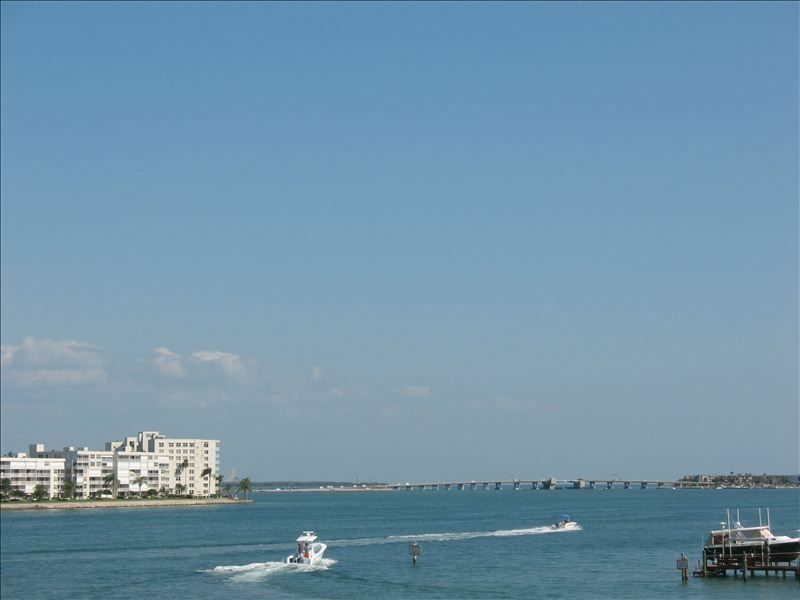 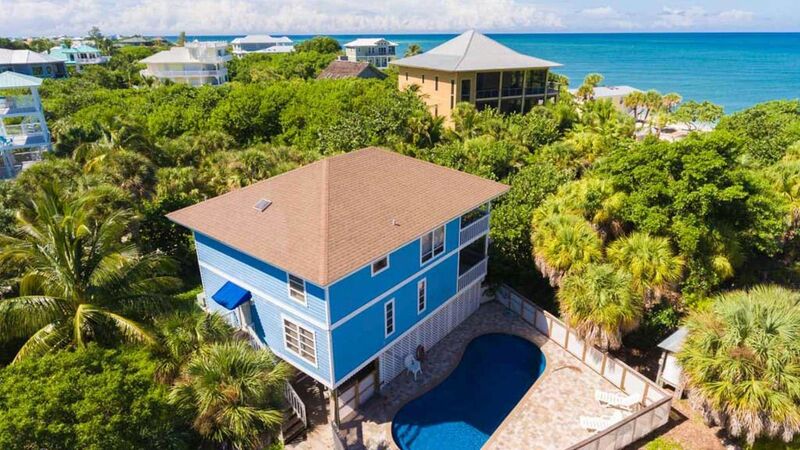 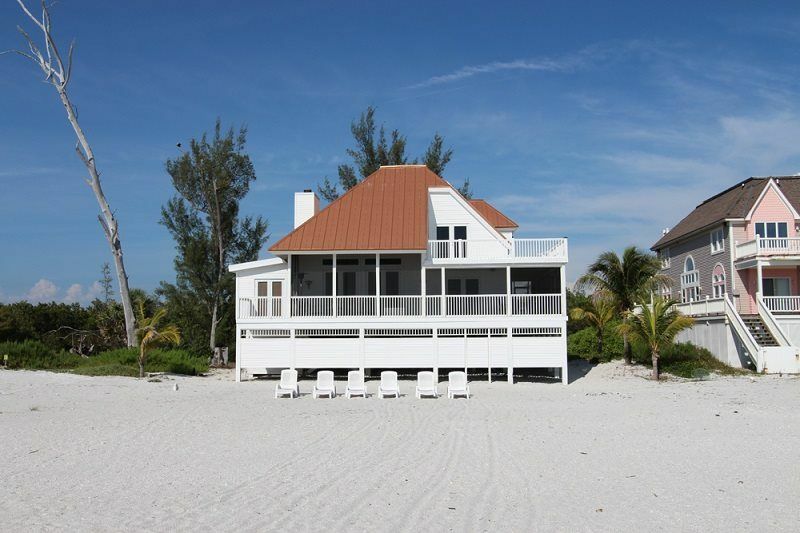 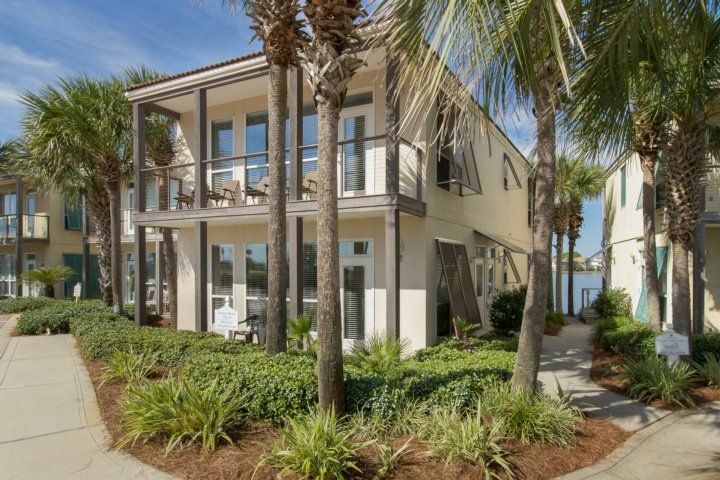 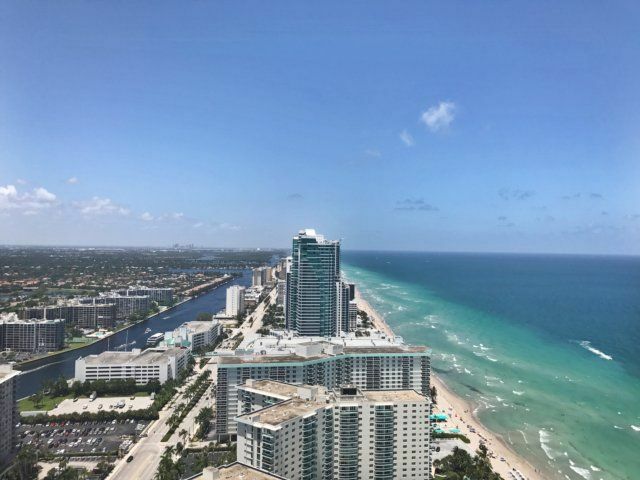 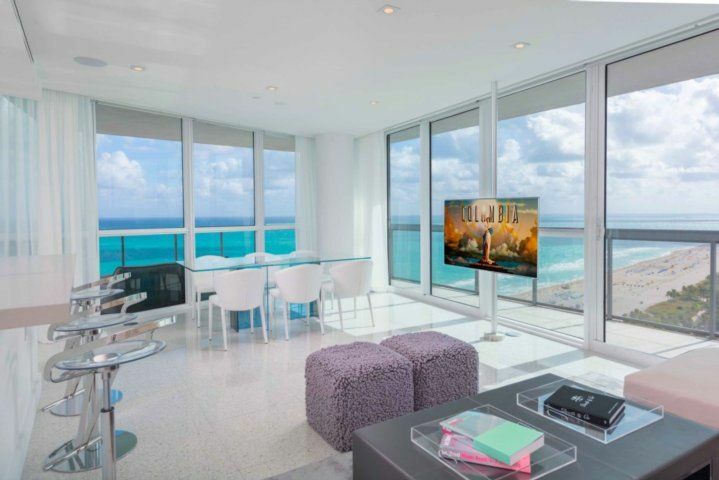 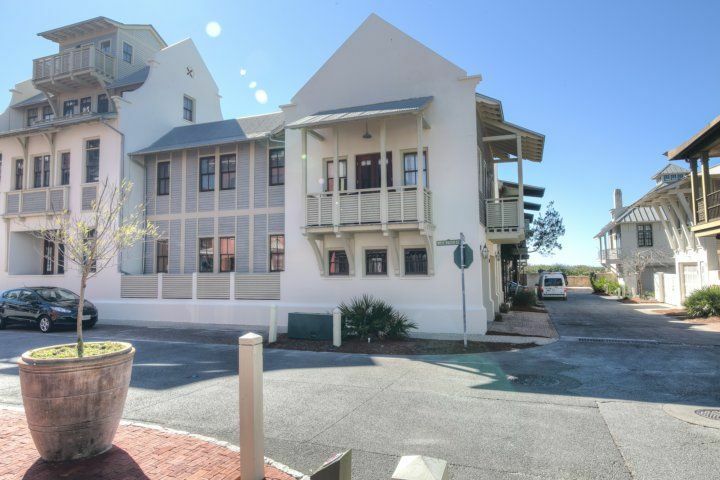 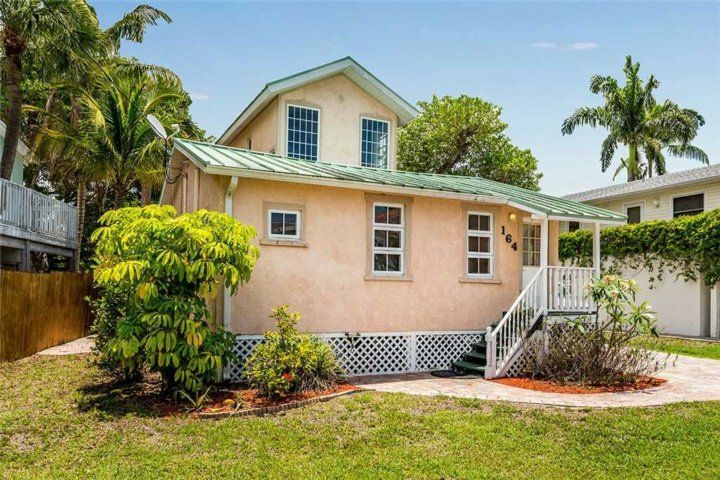 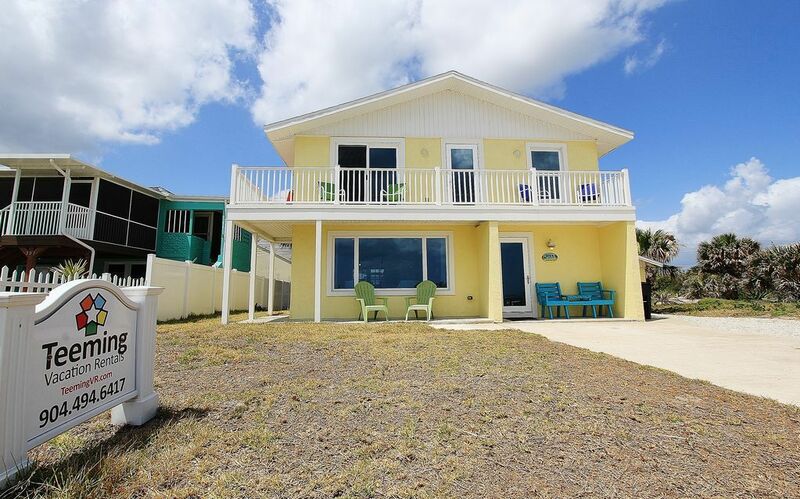 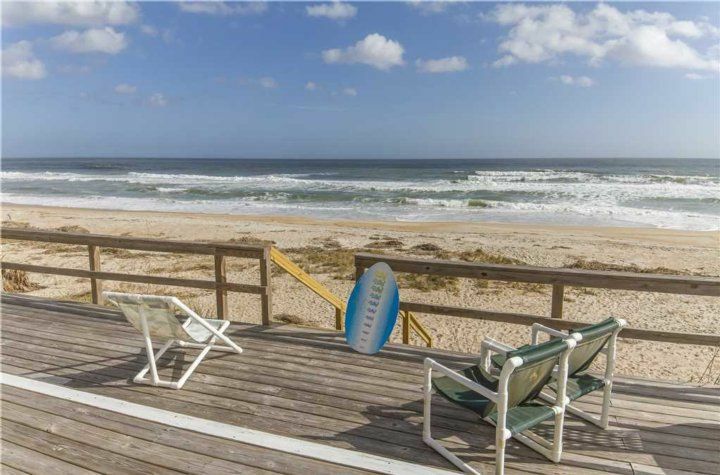 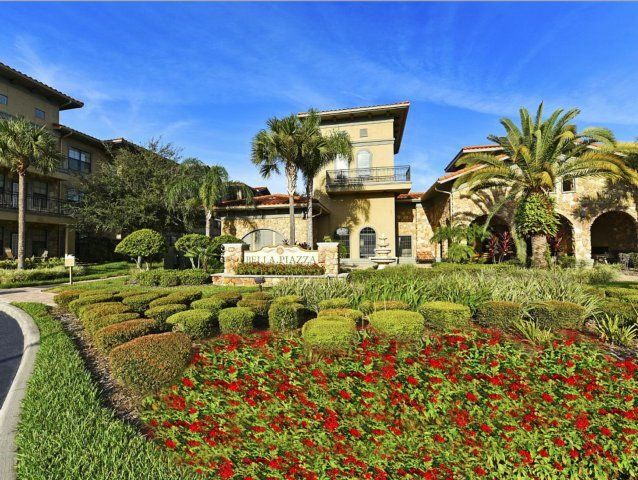 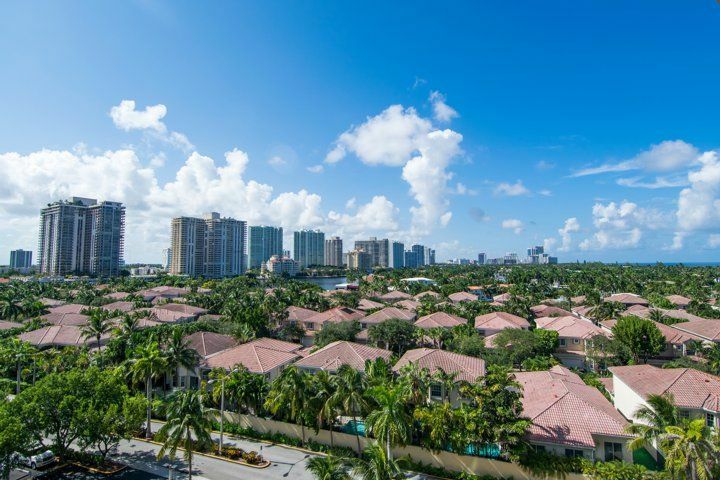 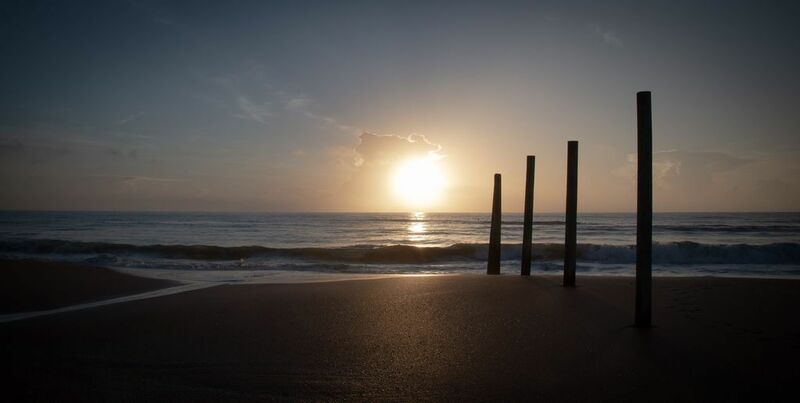 Just a short hop from the beach, it is the epitome of oceanfront living. 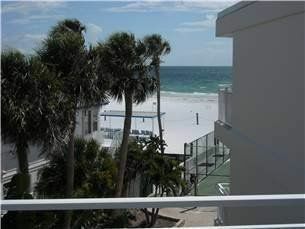 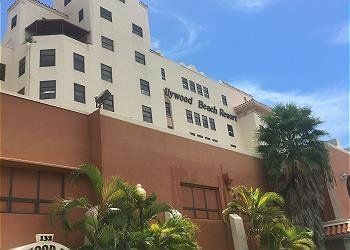 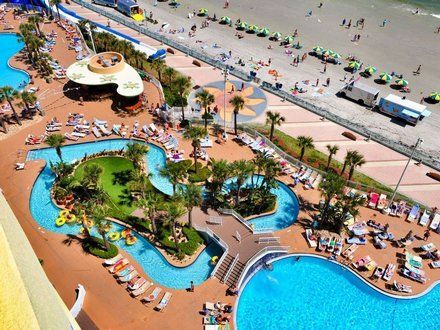 Come stay here very soon!